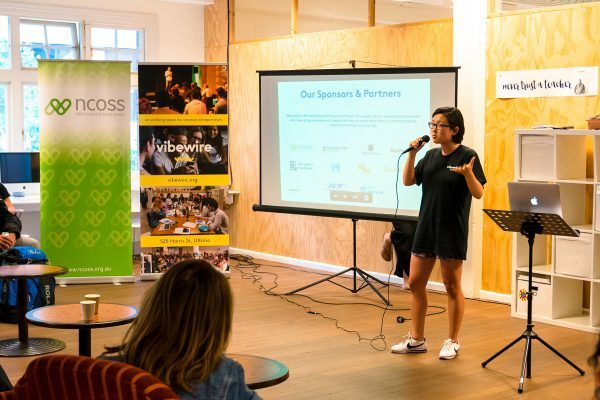 2017 – What a year! It’s been non-stop planning, passionate people, late nights, crazy ideas we’ve scrapped and crazy ideas that we’ve made a reality! 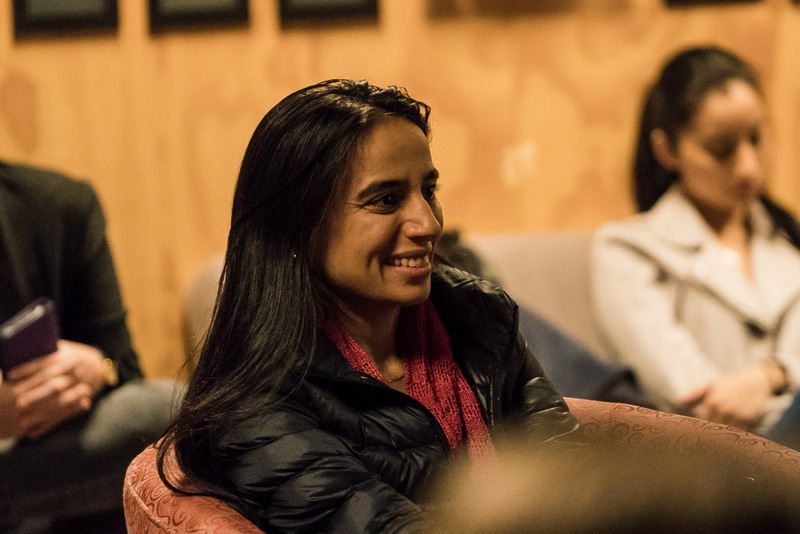 Below is a celebration of the highlights and an announcement that I will be taking on a new opportunity in the United States. 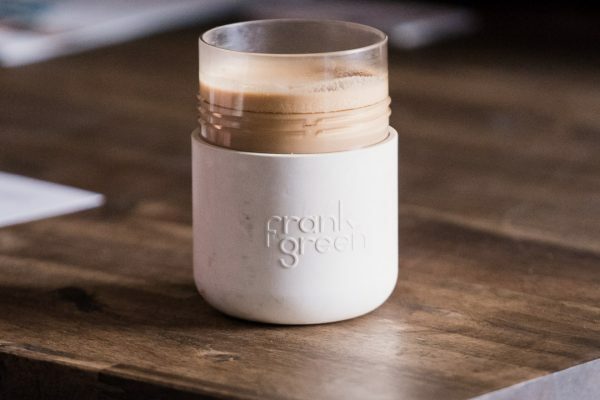 I’ve built a new team from the ground up with a culture centring around integrity, bias for action and purpose. 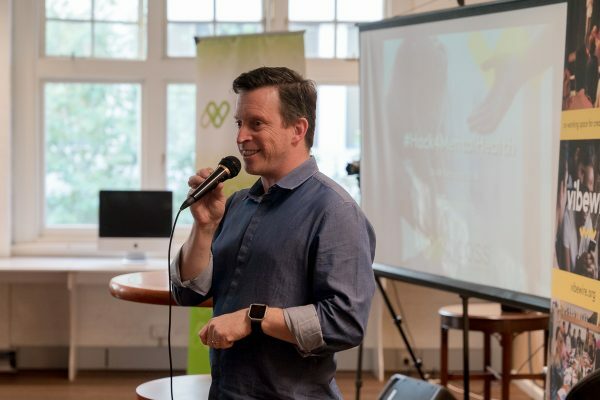 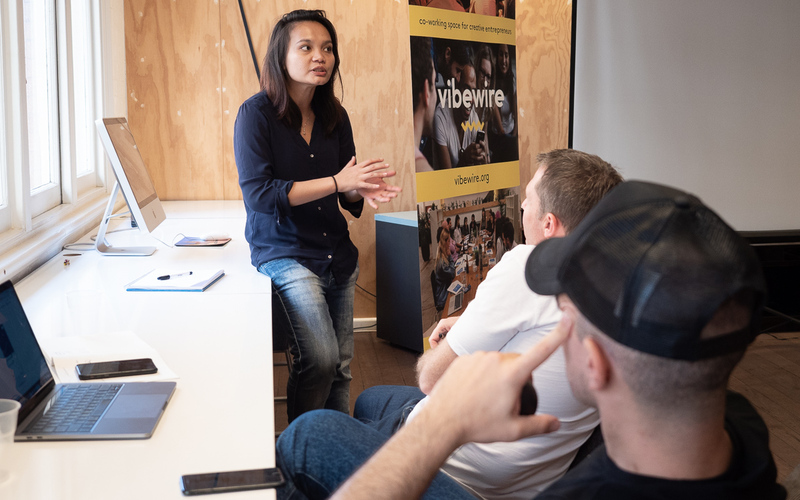 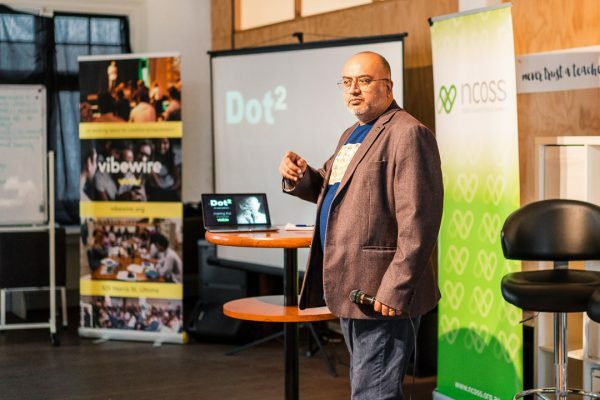 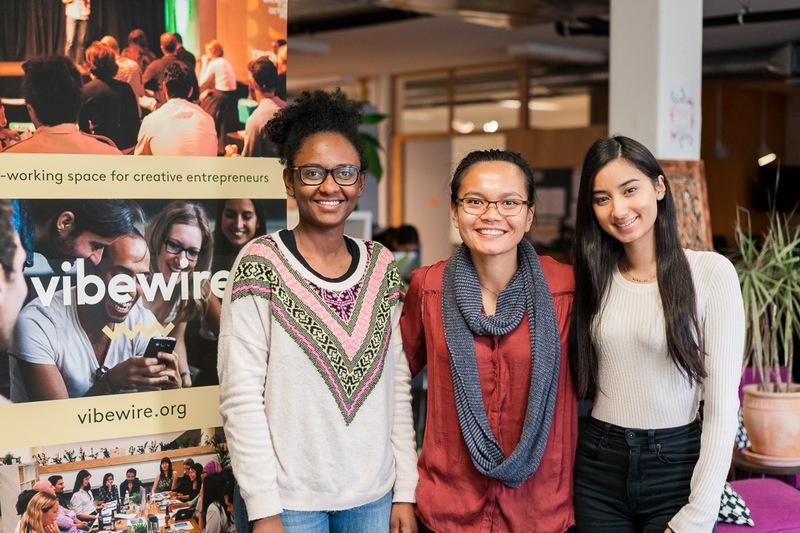 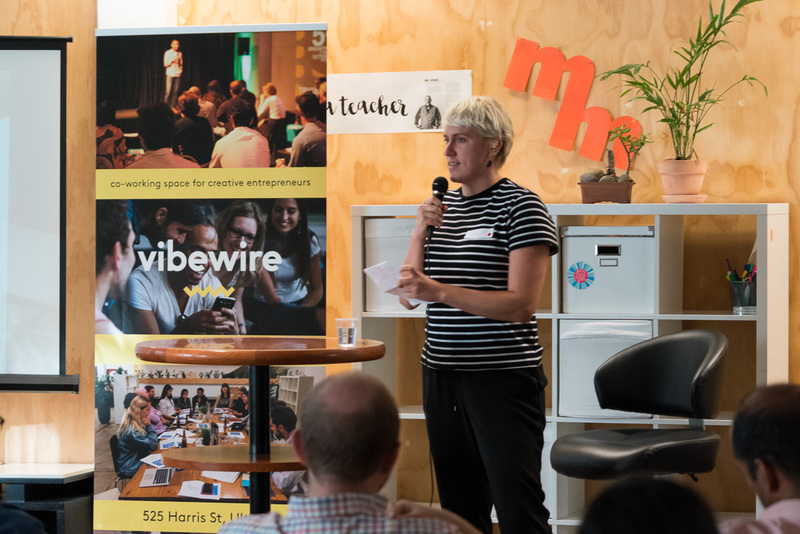 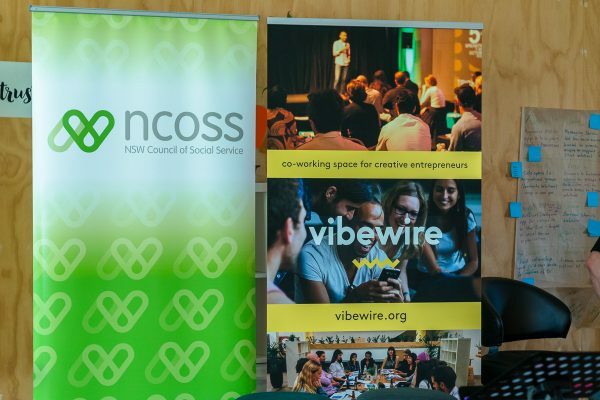 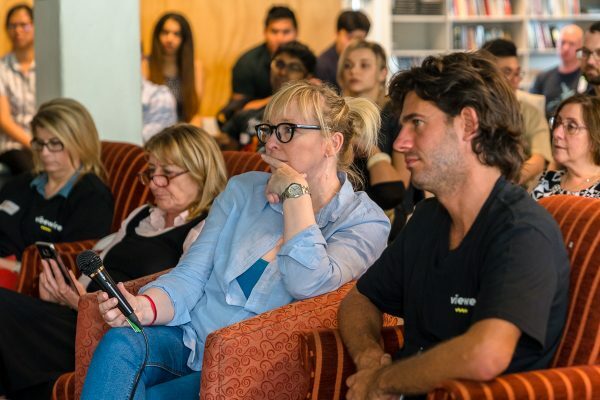 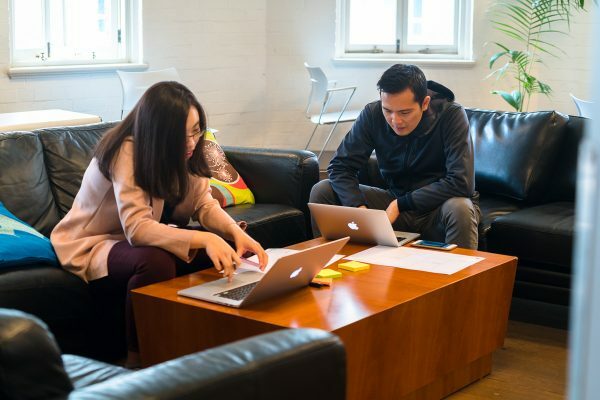 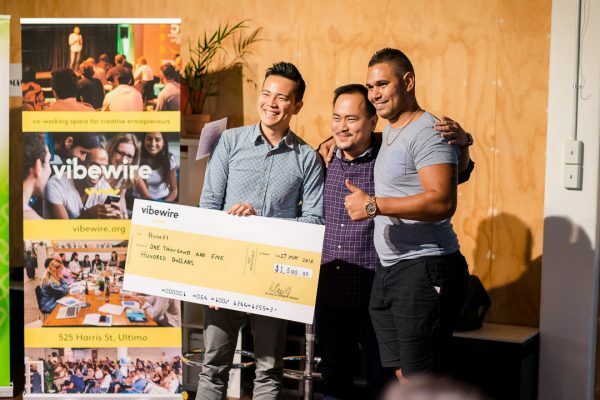 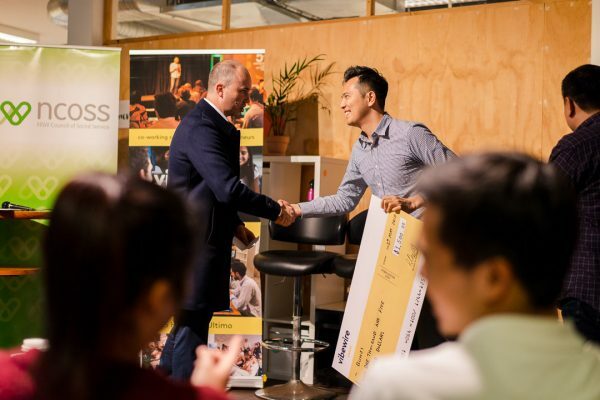 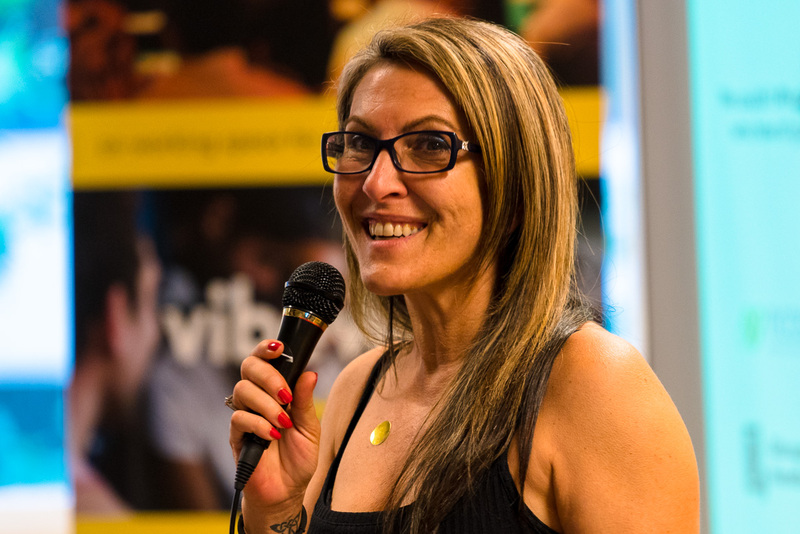 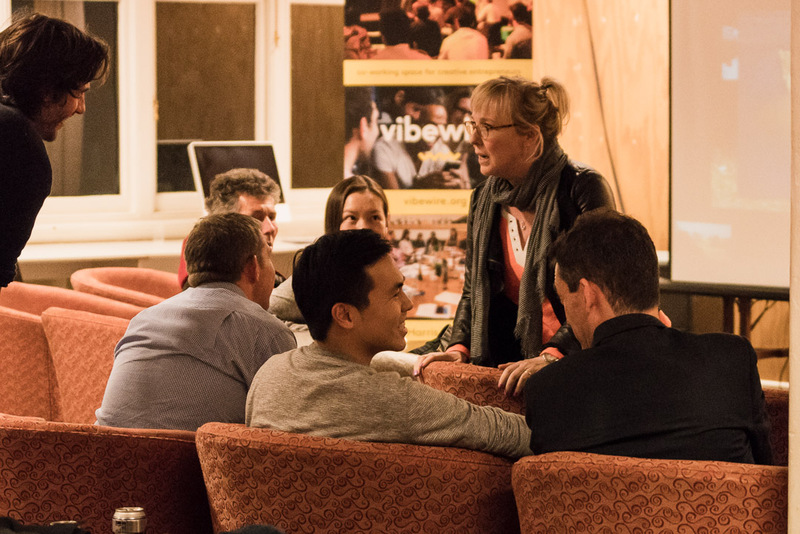 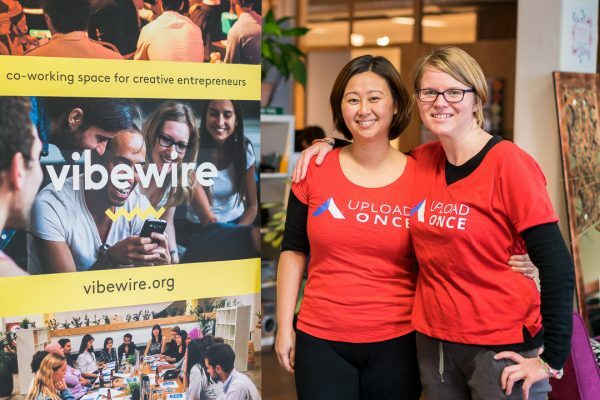 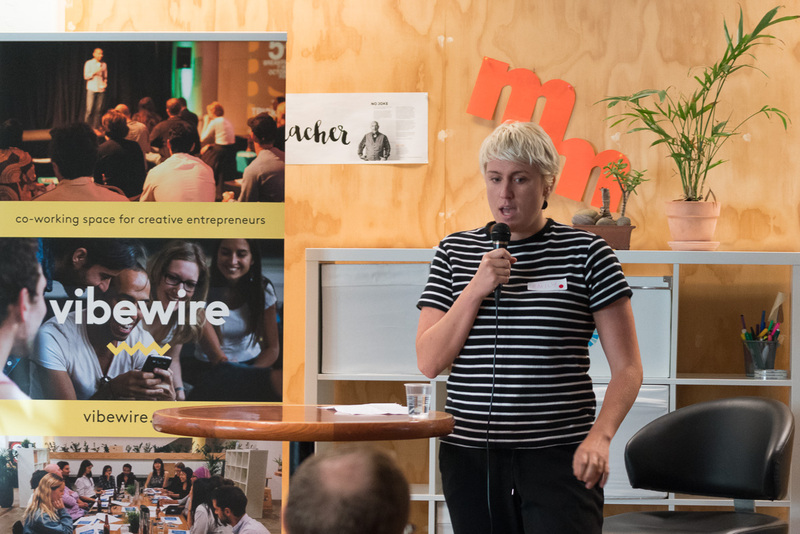 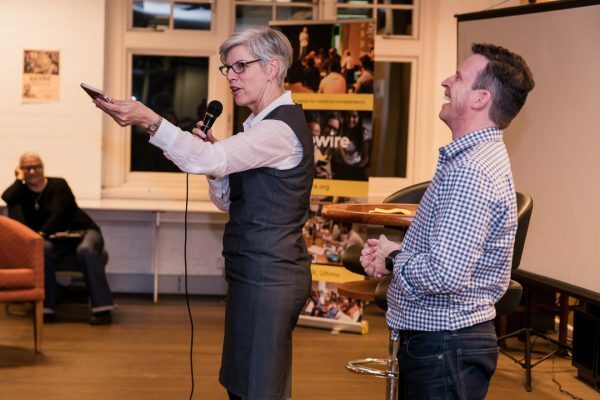 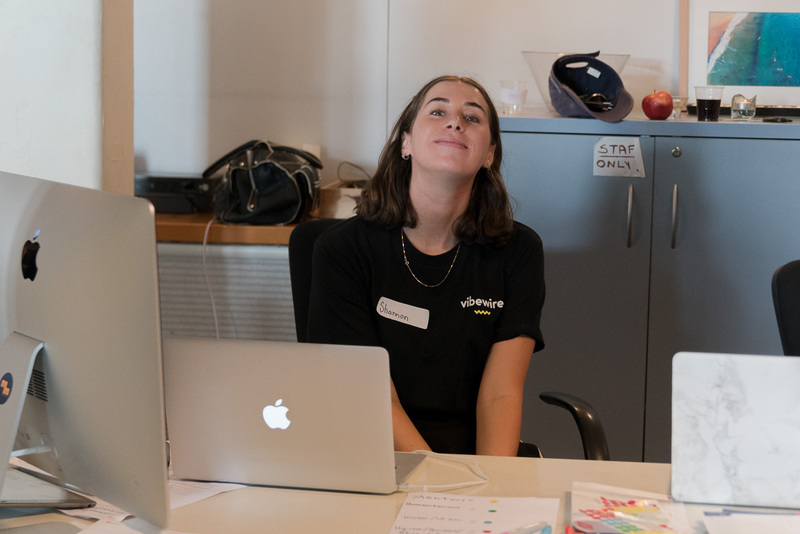 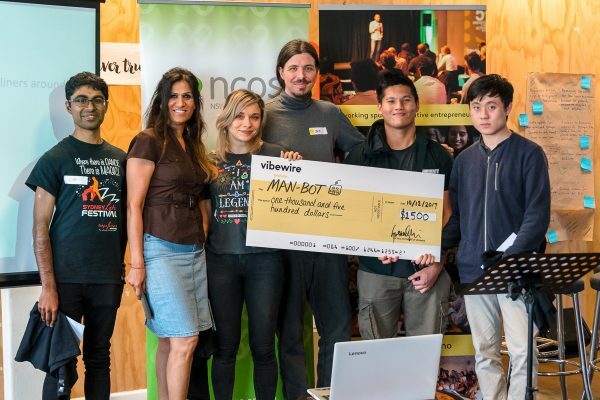 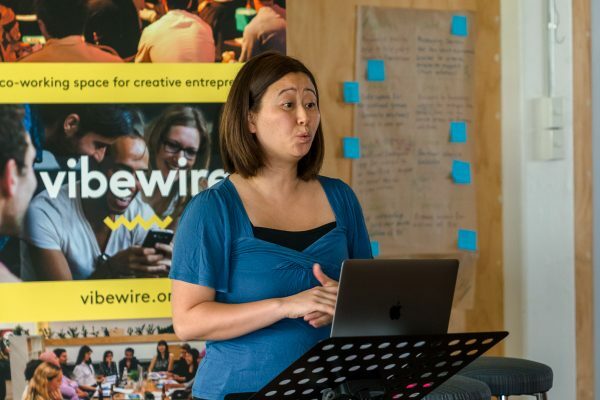 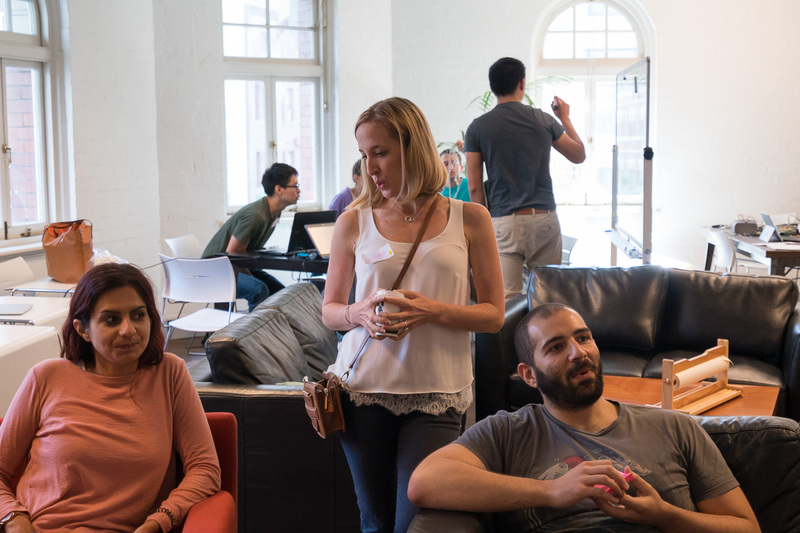 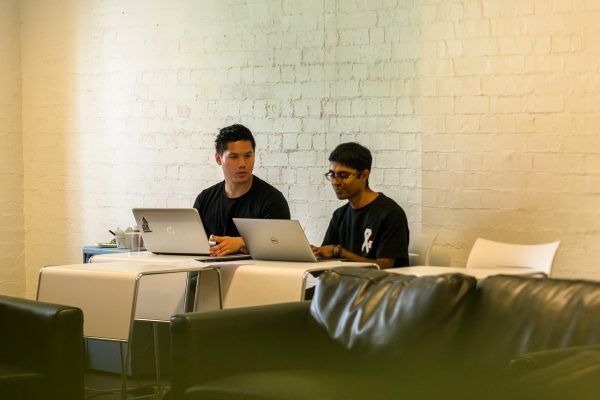 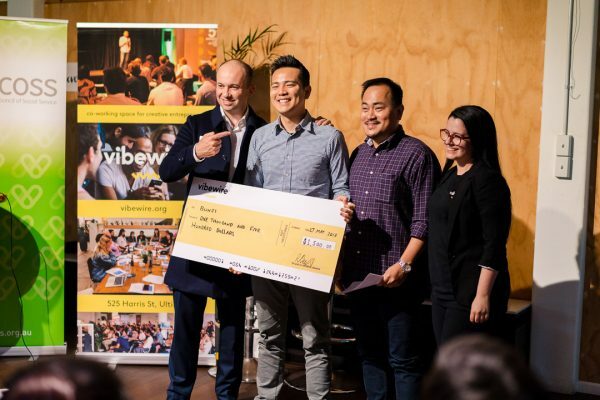 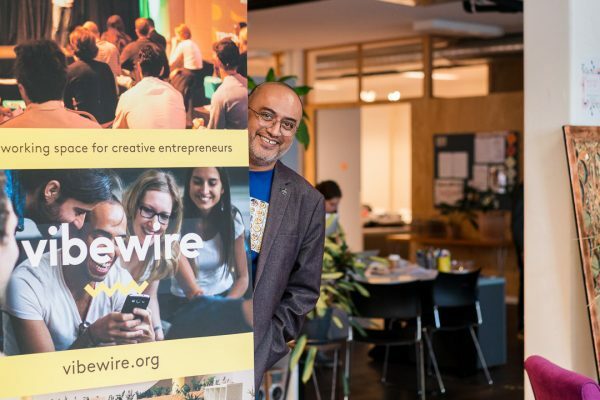 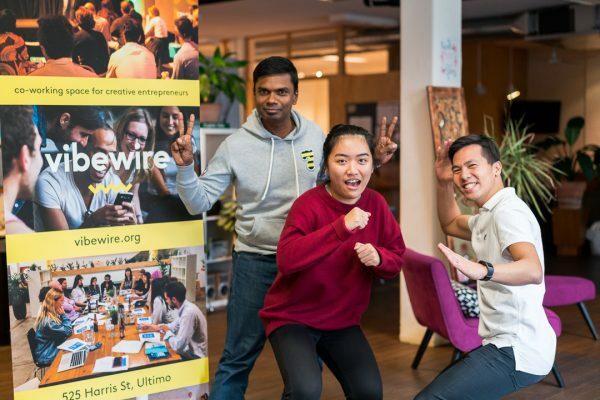 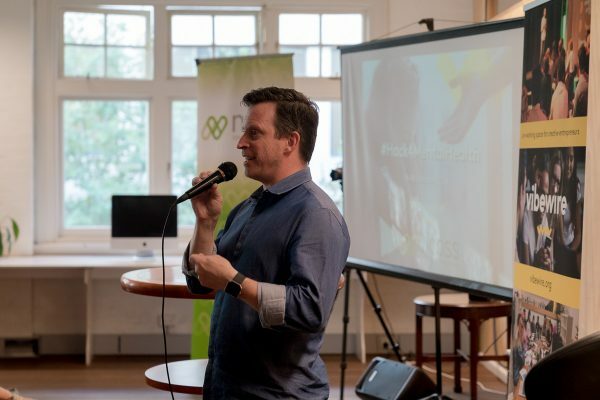 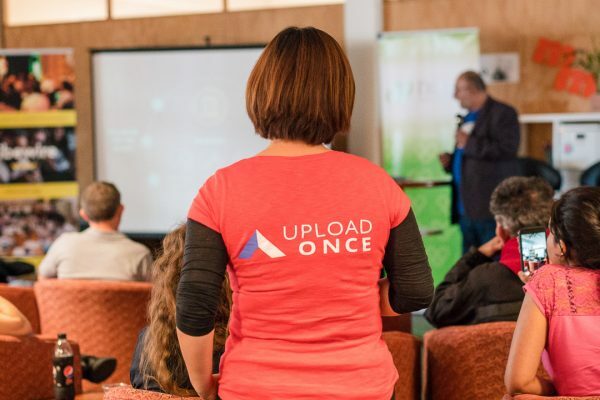 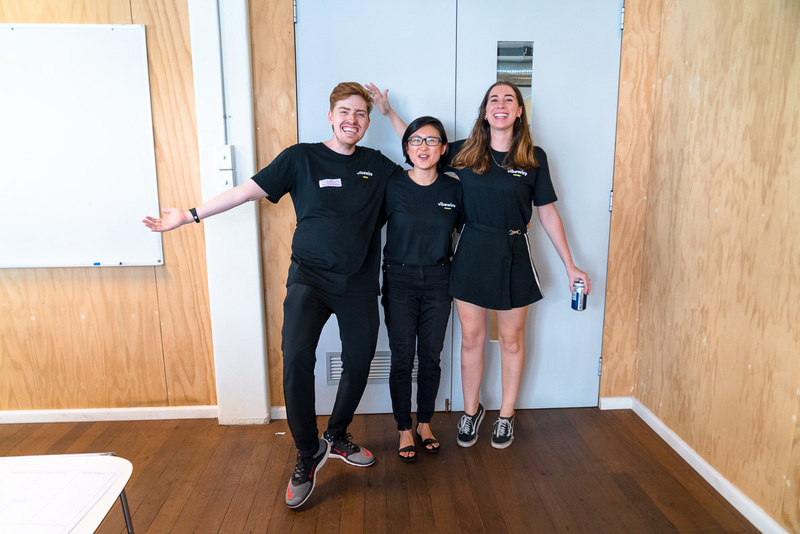 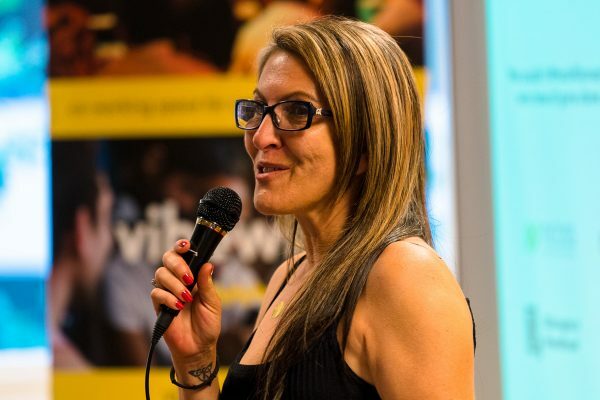 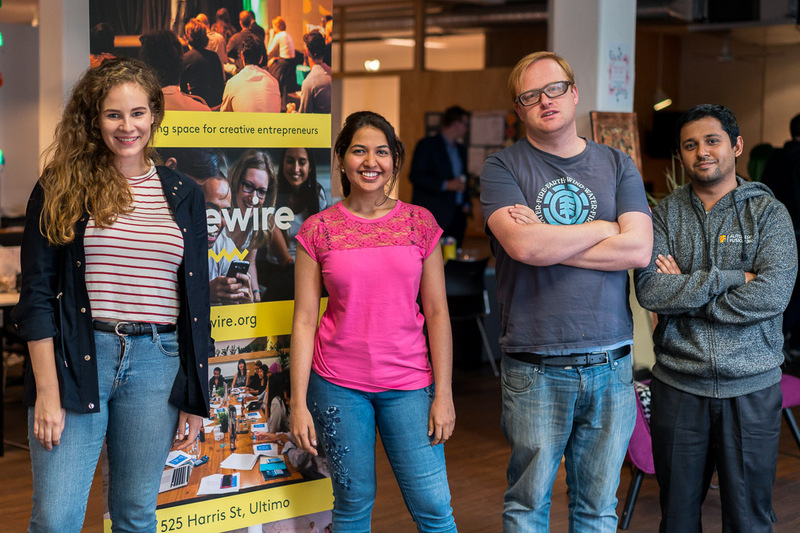 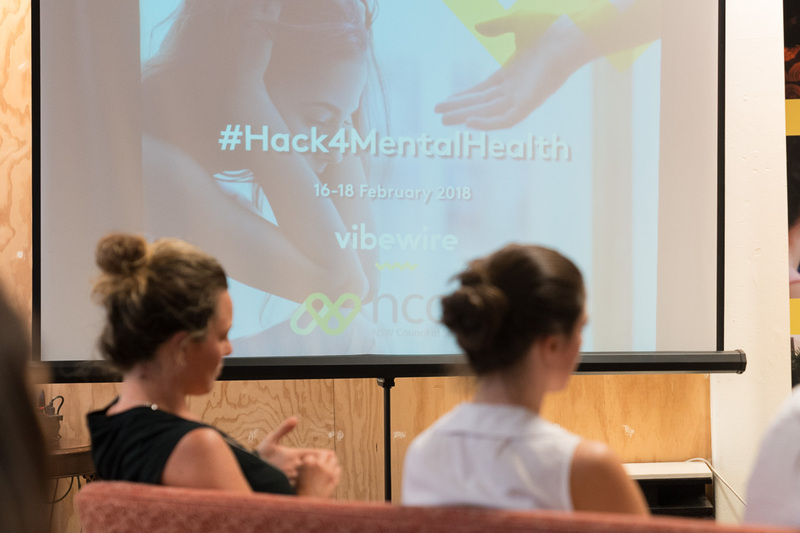 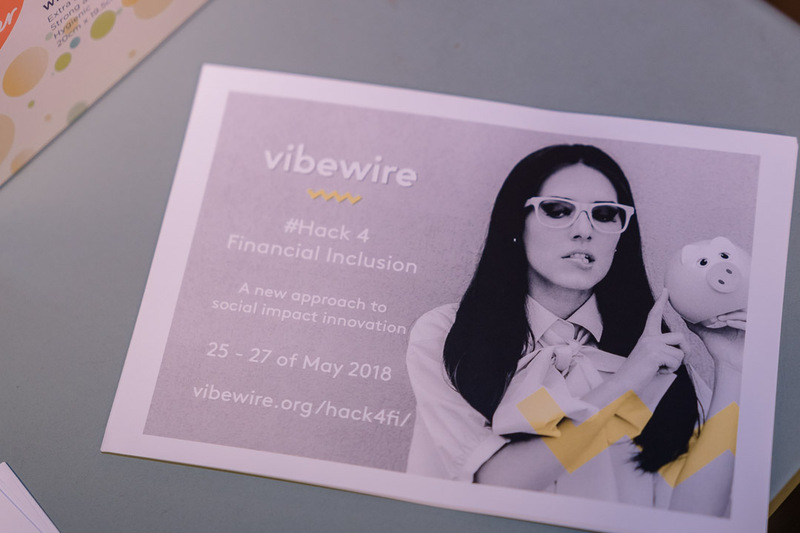 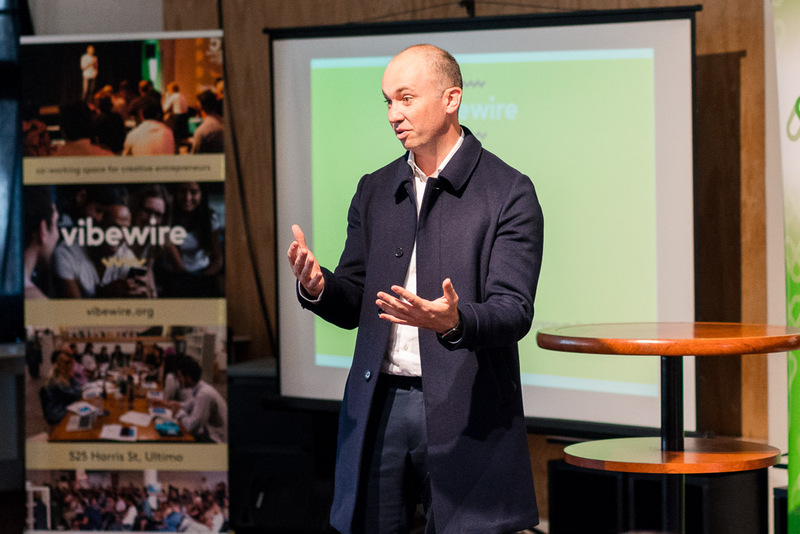 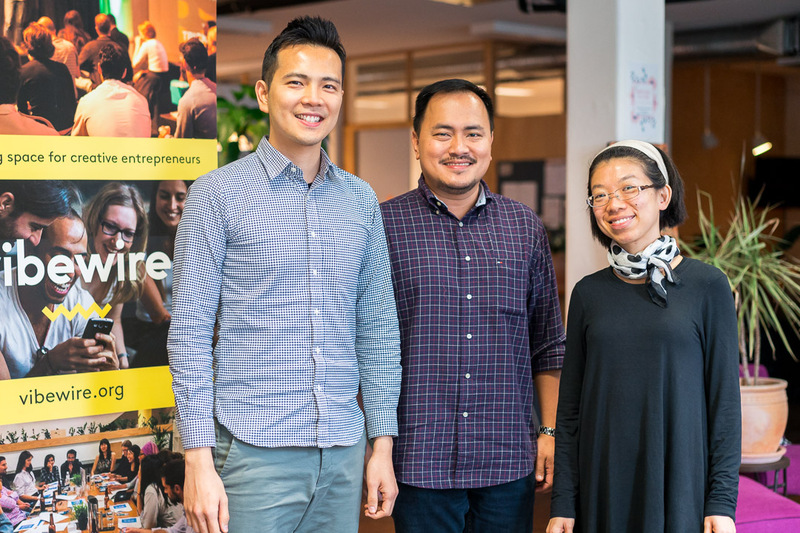 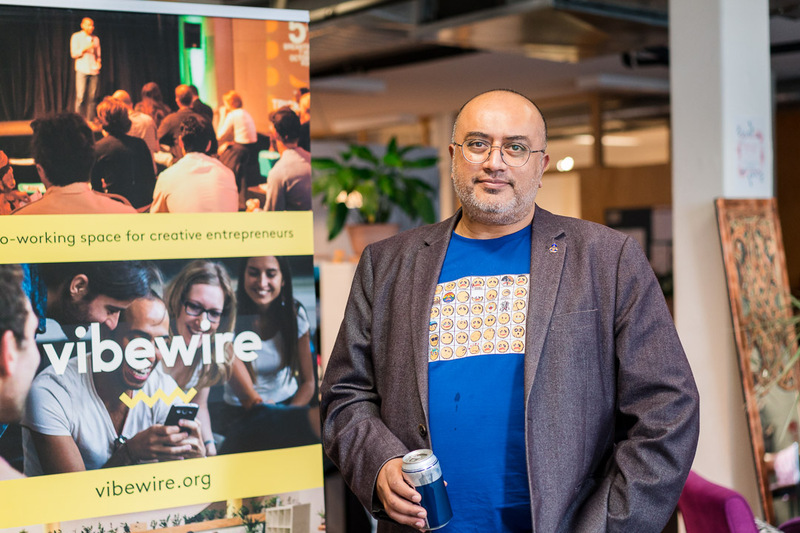 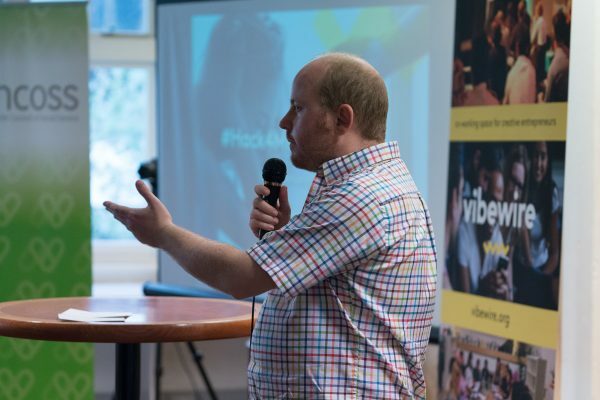 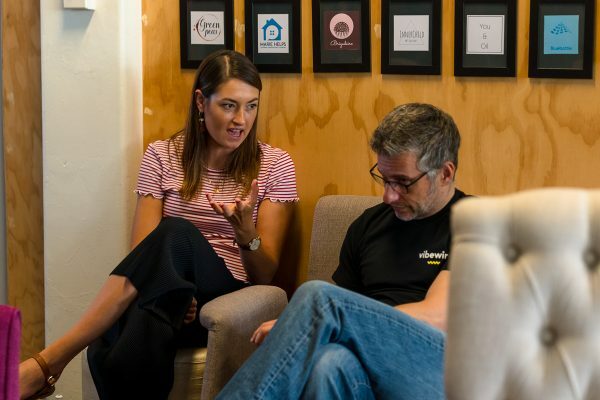 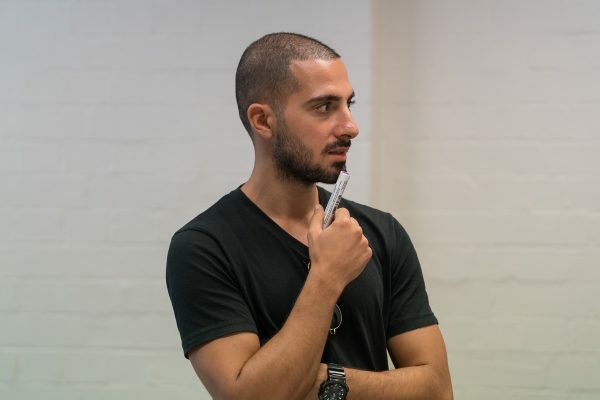 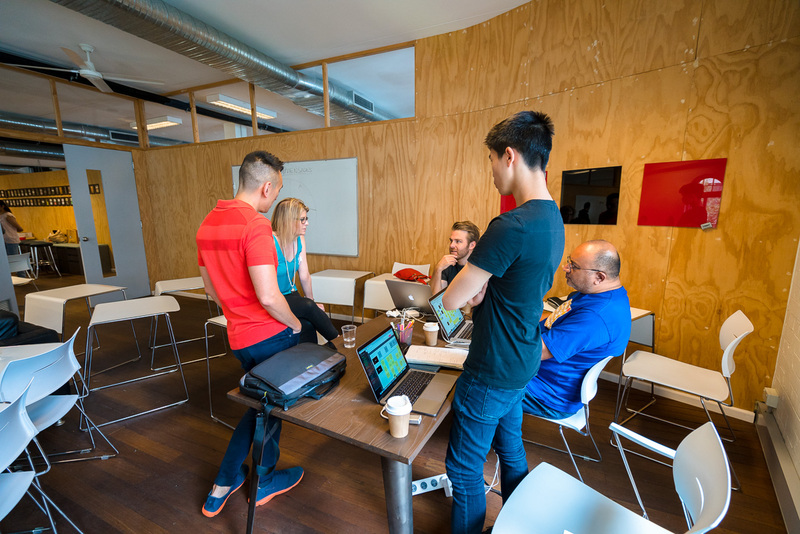 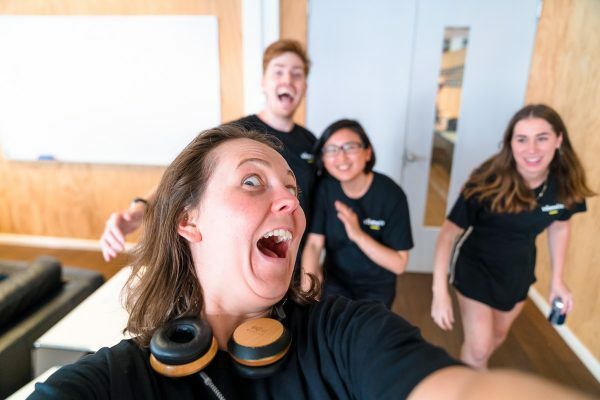 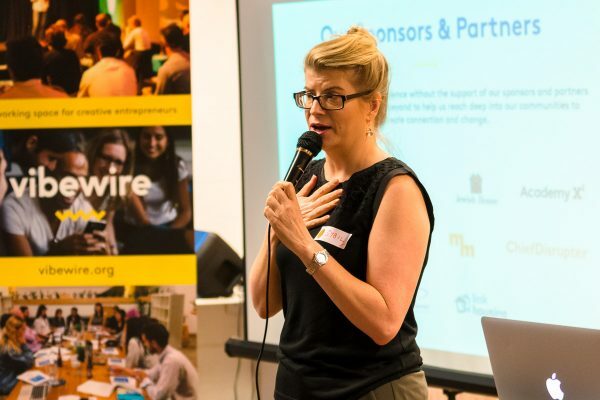 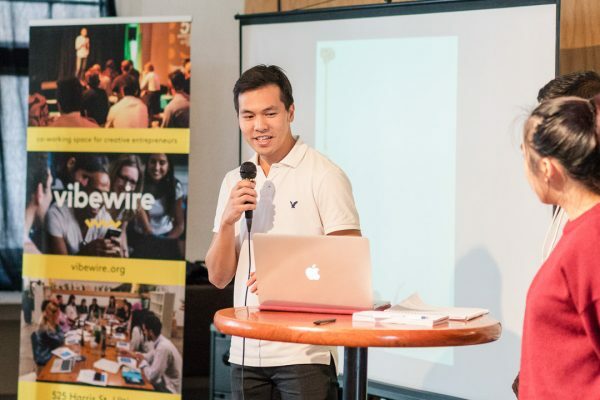 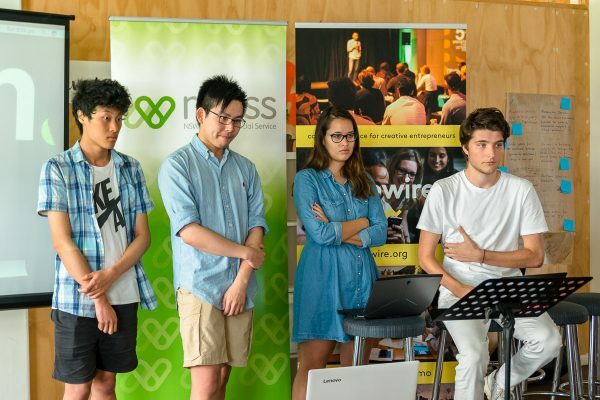 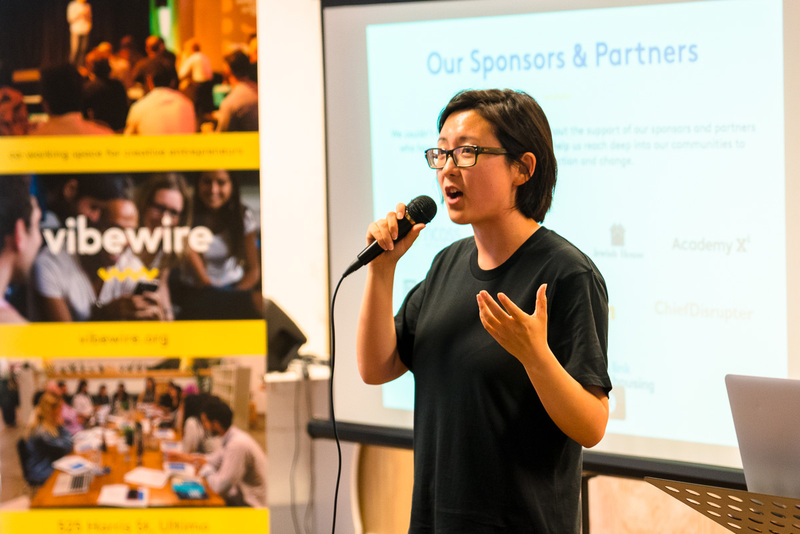 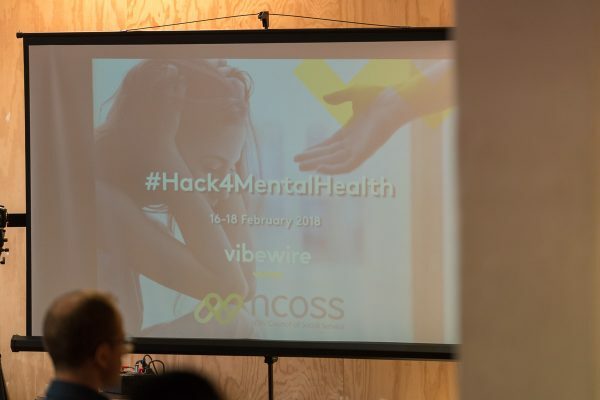 Our mission was to realign the organisation back to its roots – Vibewire as platform to help young Australians enterprise. 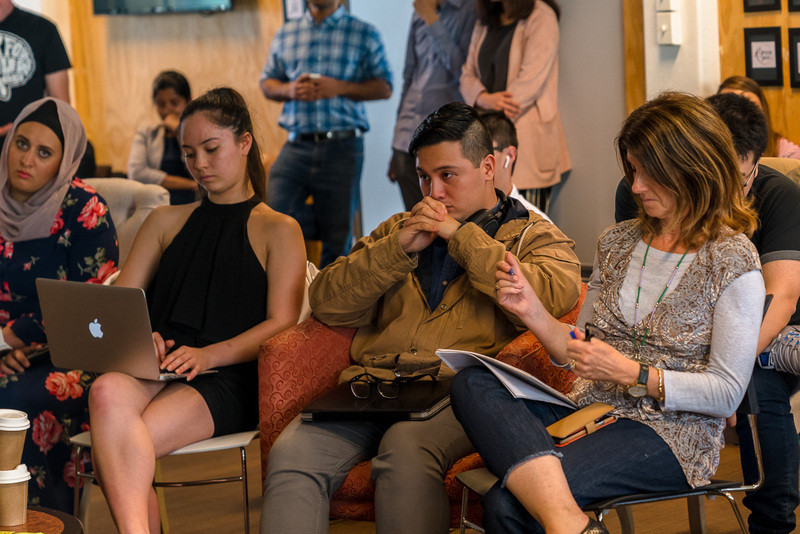 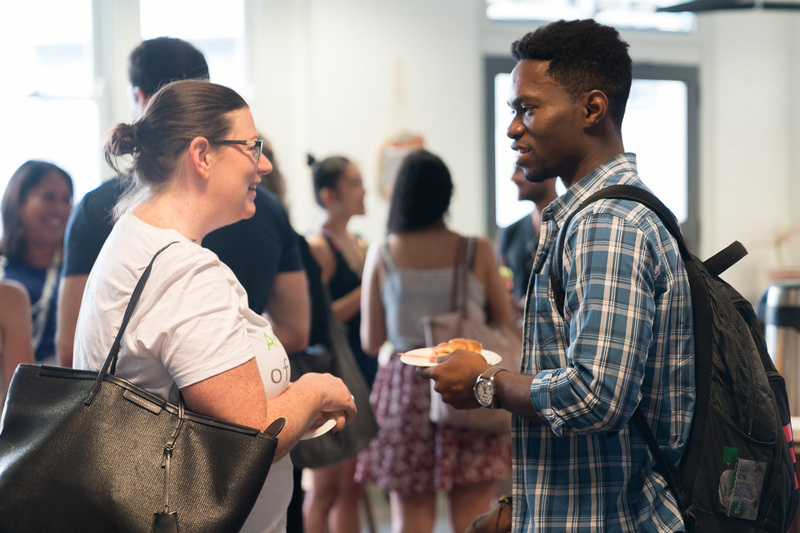 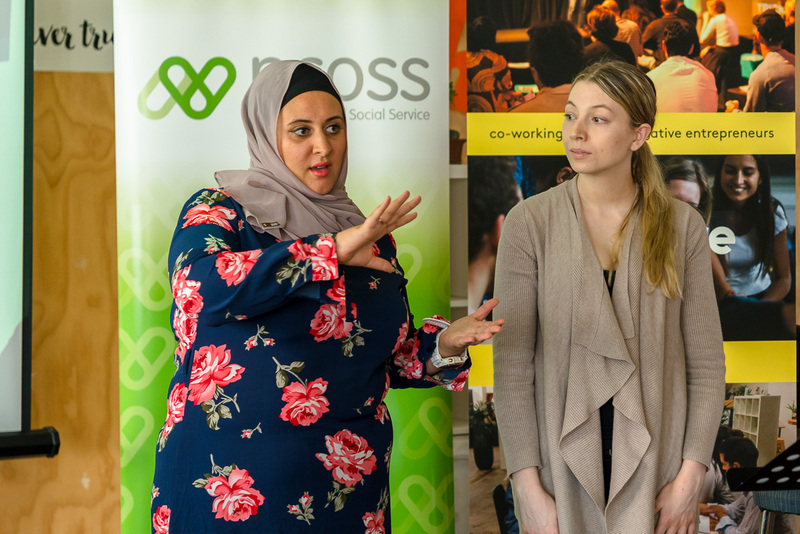 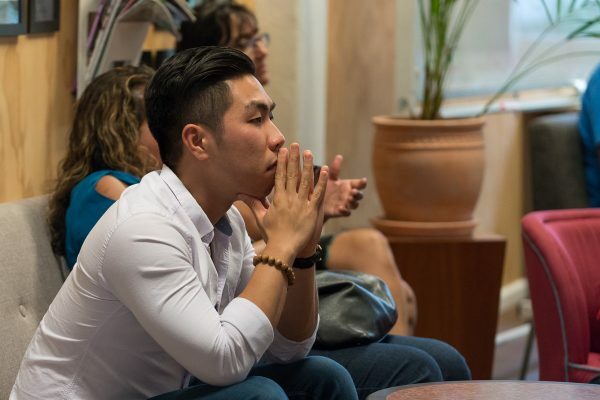 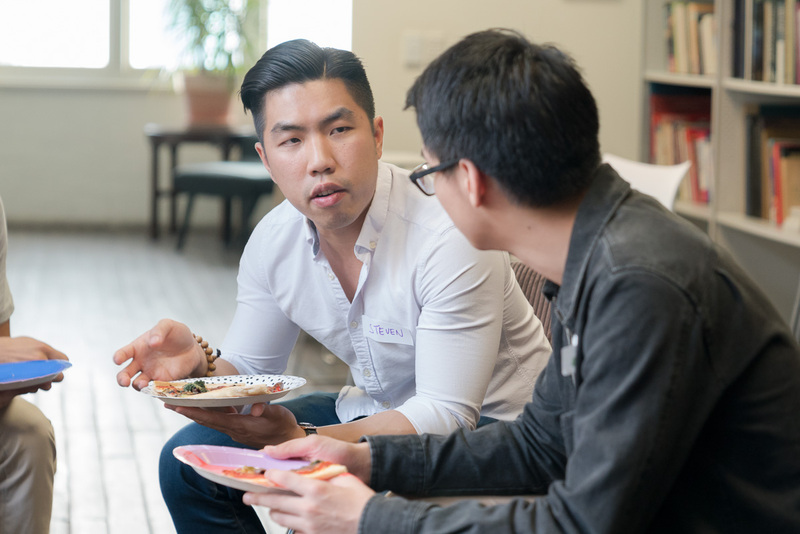 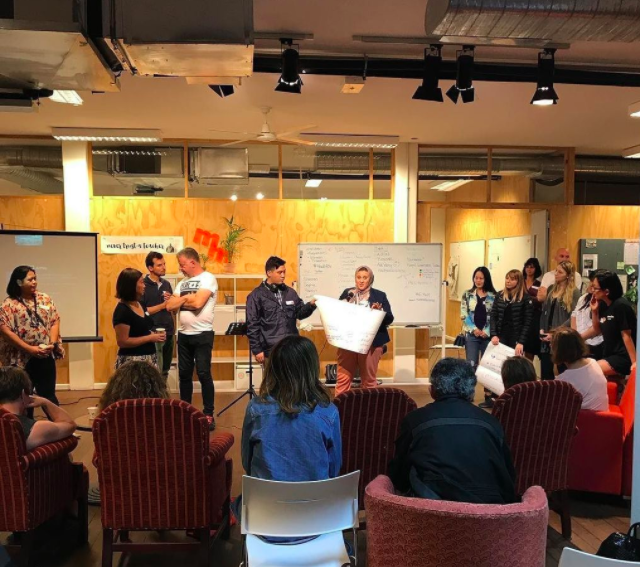 Today’s demands are ever changing and we wanted to ensure that young people weren’t just responding to changes in their careers and businesses, but they have the mindset and tools to instigate and lead that change. 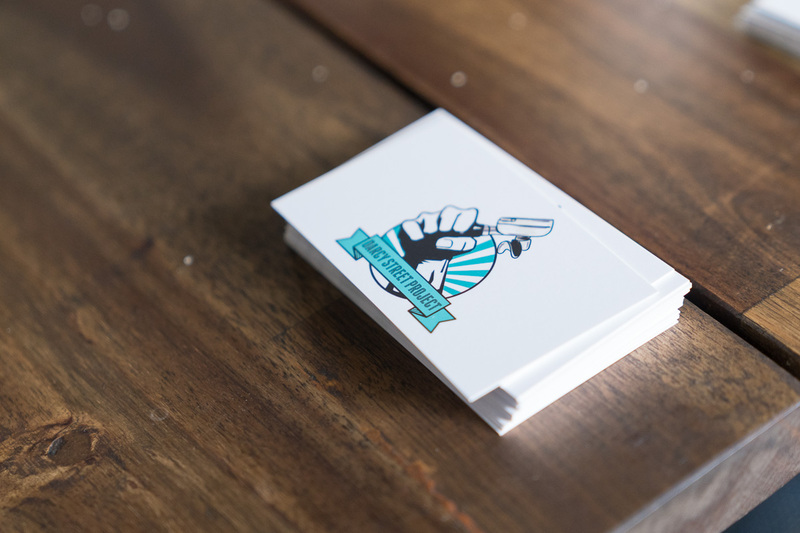 To prepare them, we built the Skills Gym. 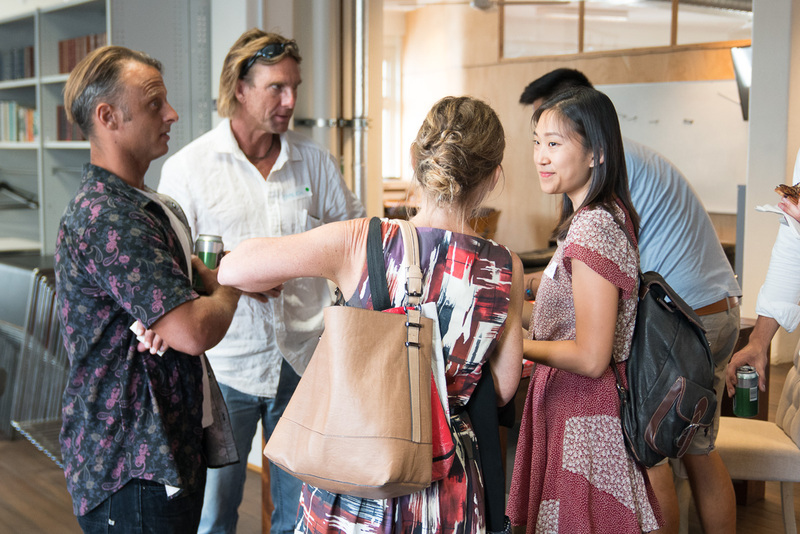 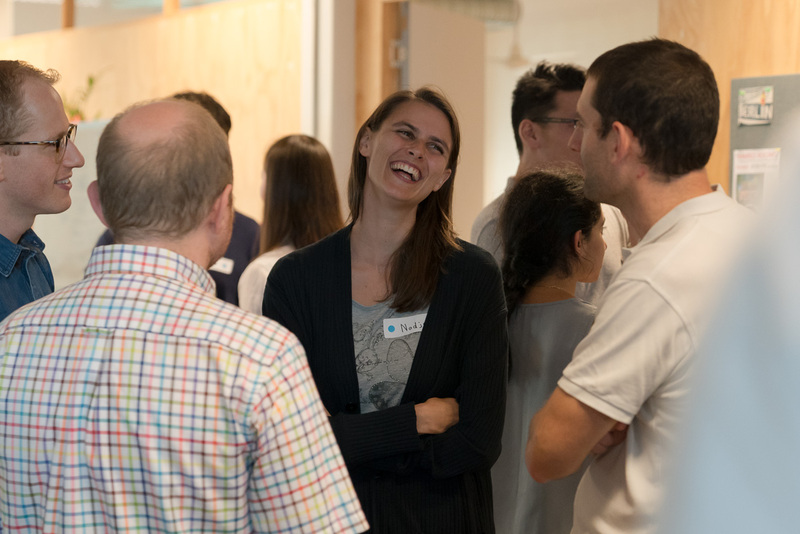 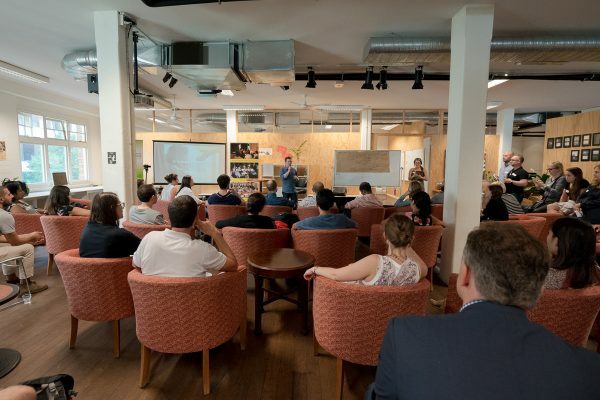 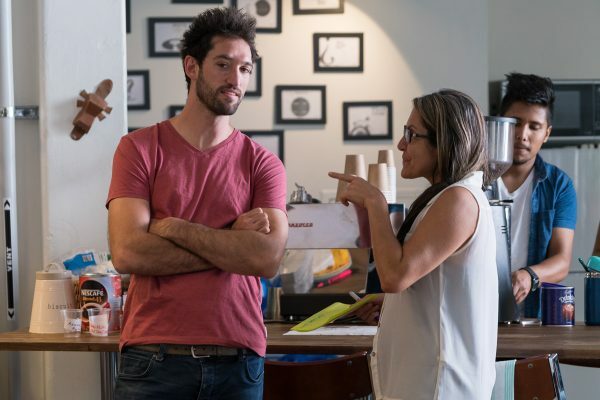 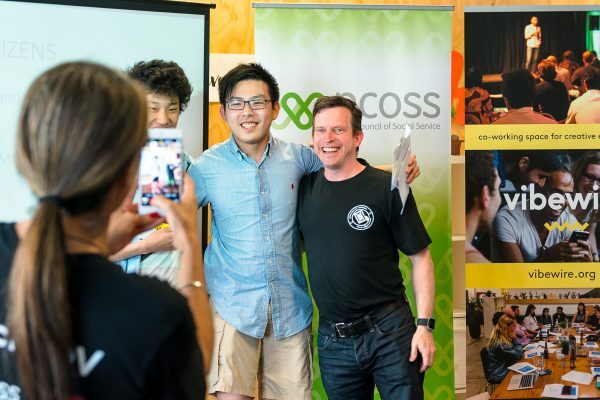 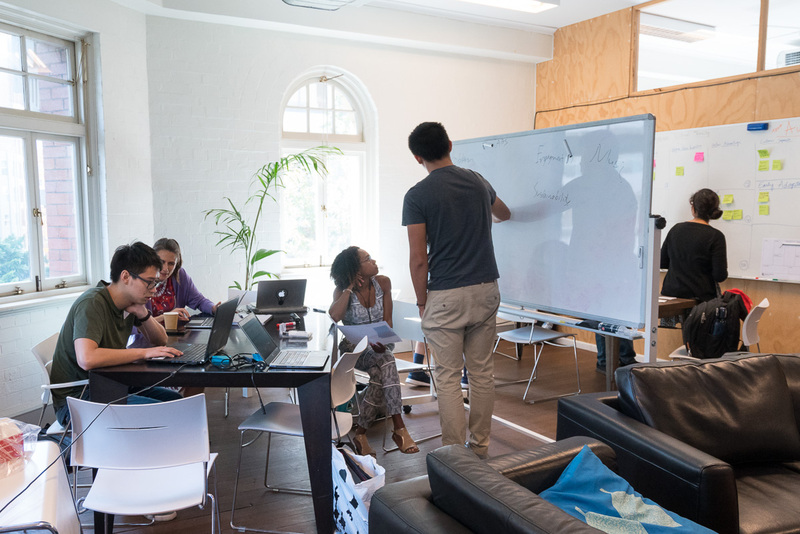 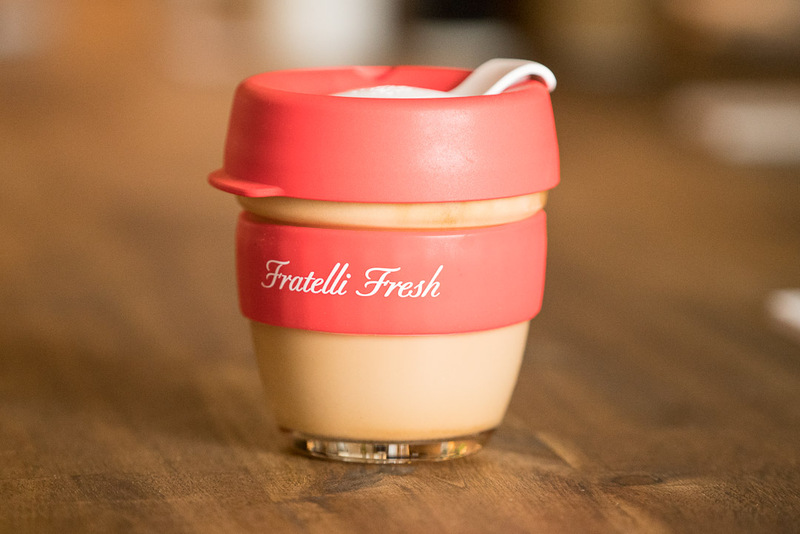 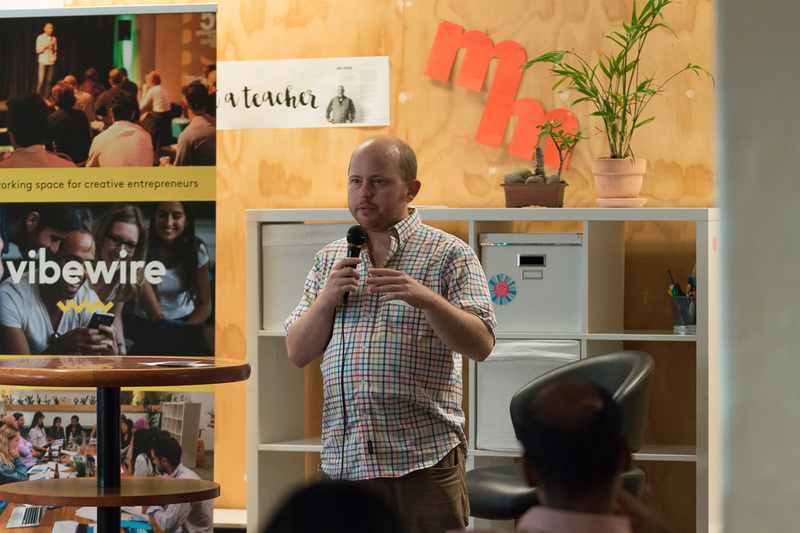 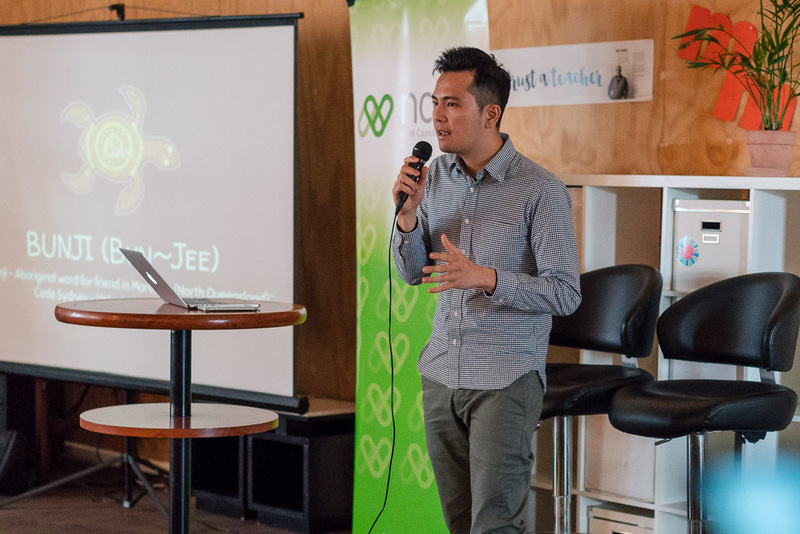 Built out our wider community to 10,000+ young Australians change makers/entrepreneurs! 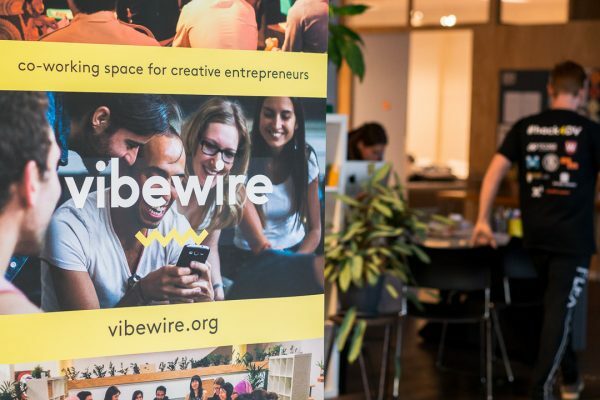 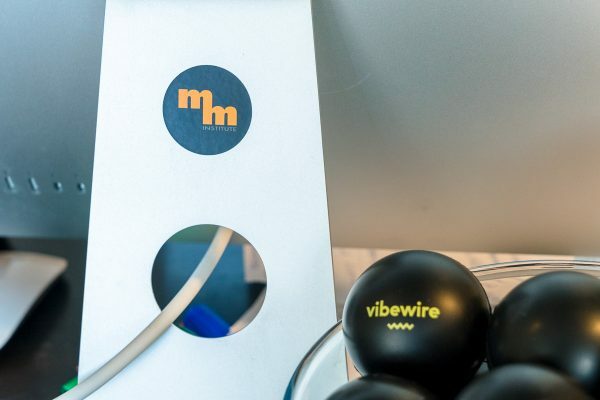 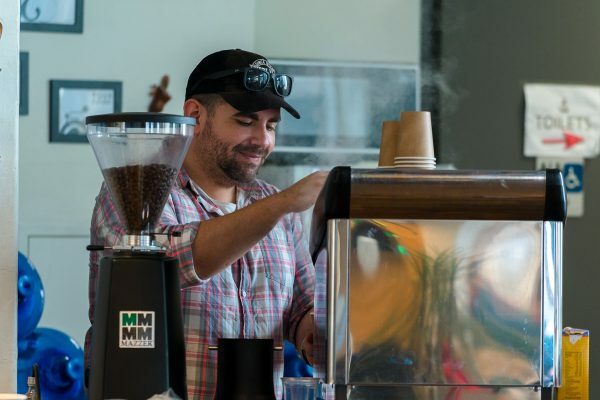 Doubled our Vibewire startup memberships! 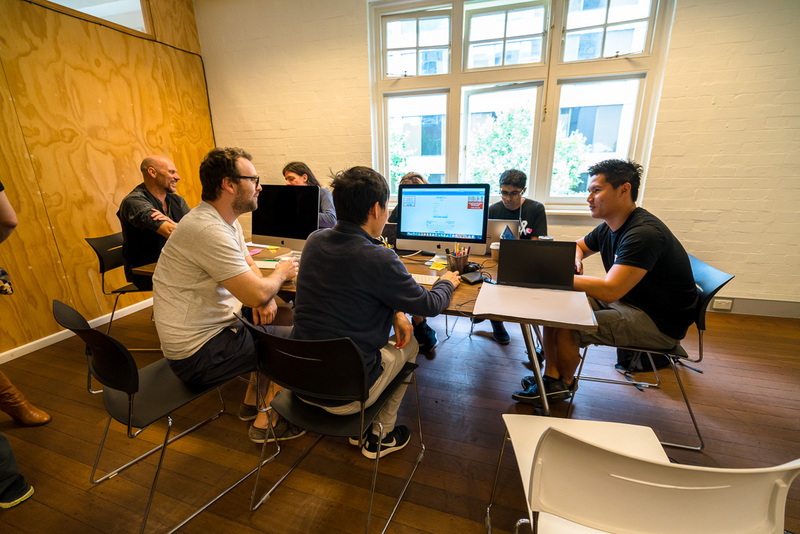 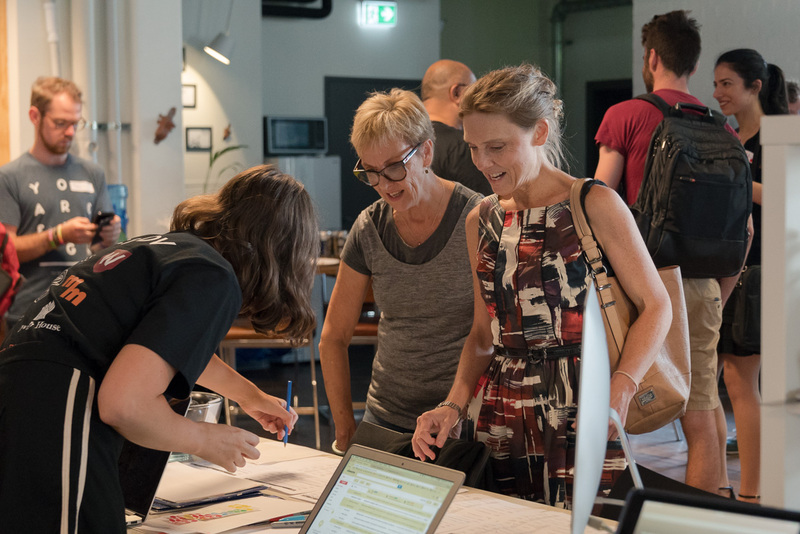 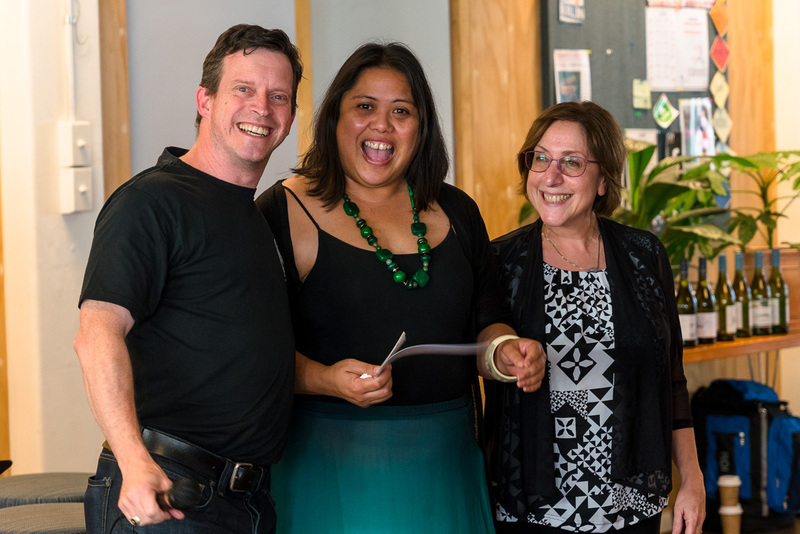 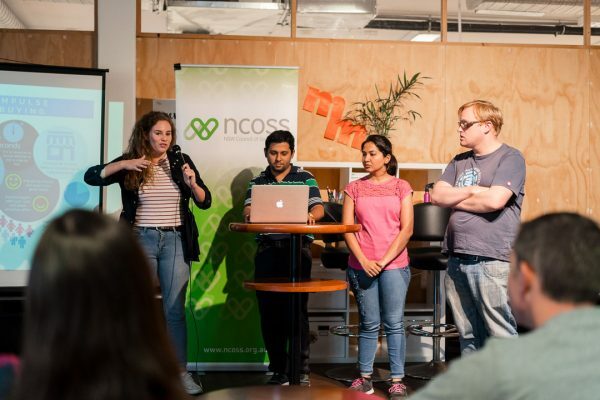 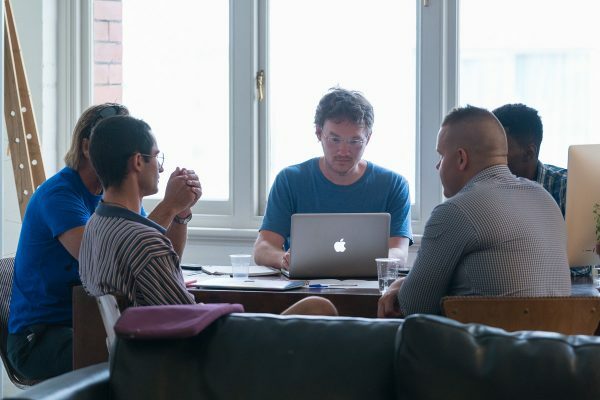 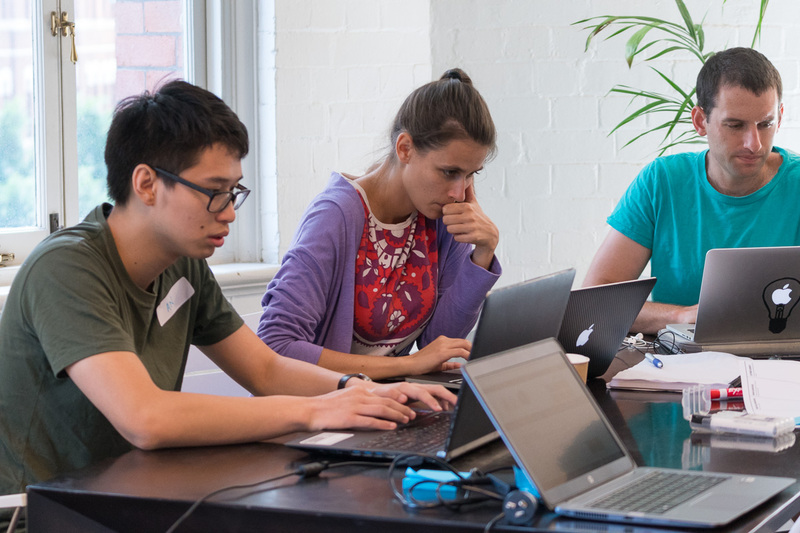 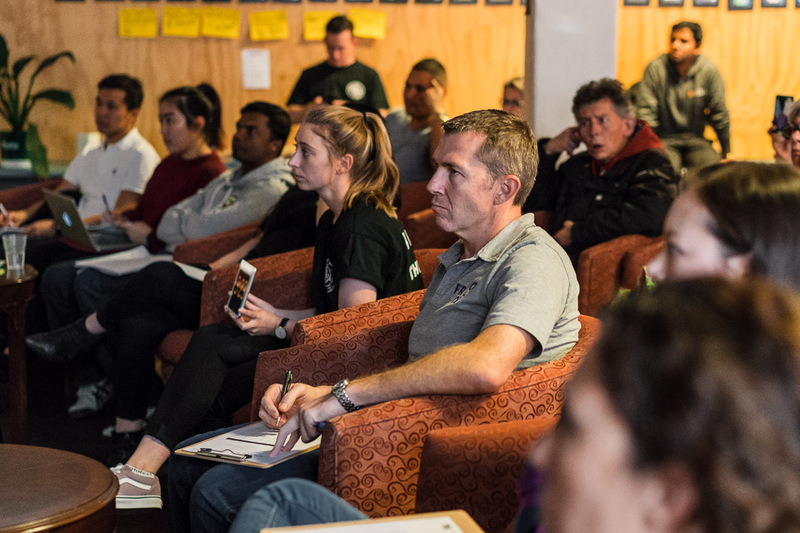 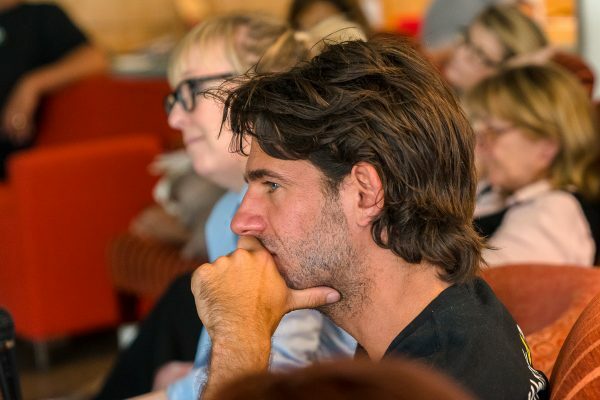 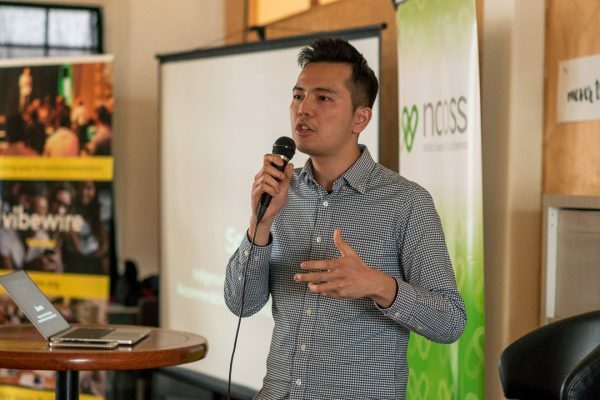 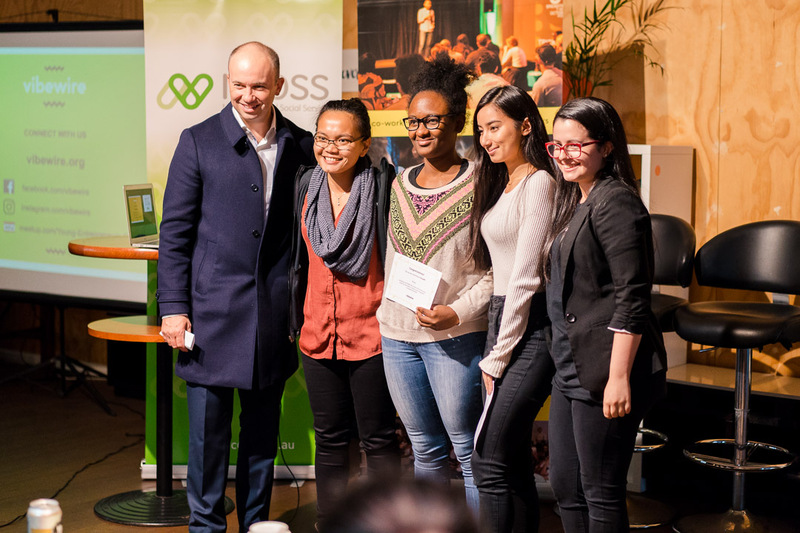 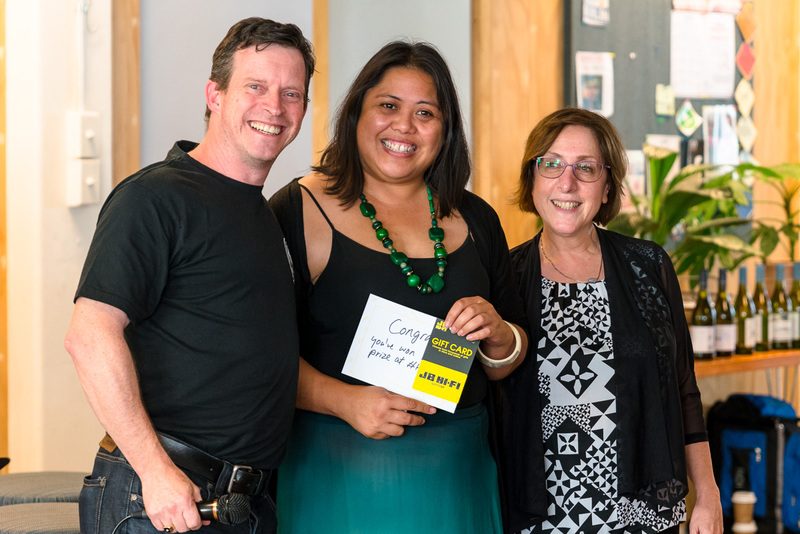 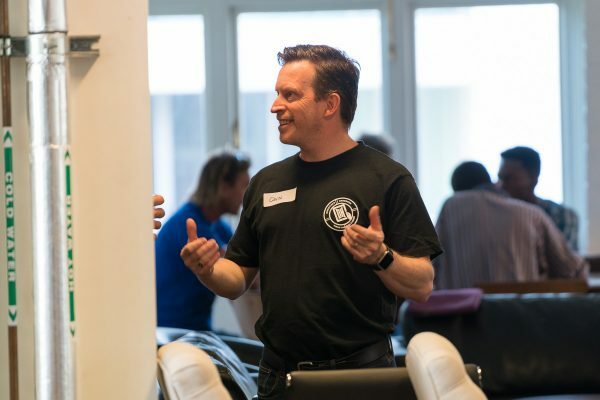 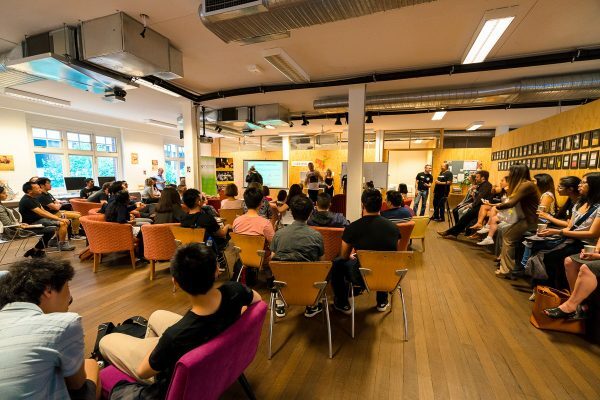 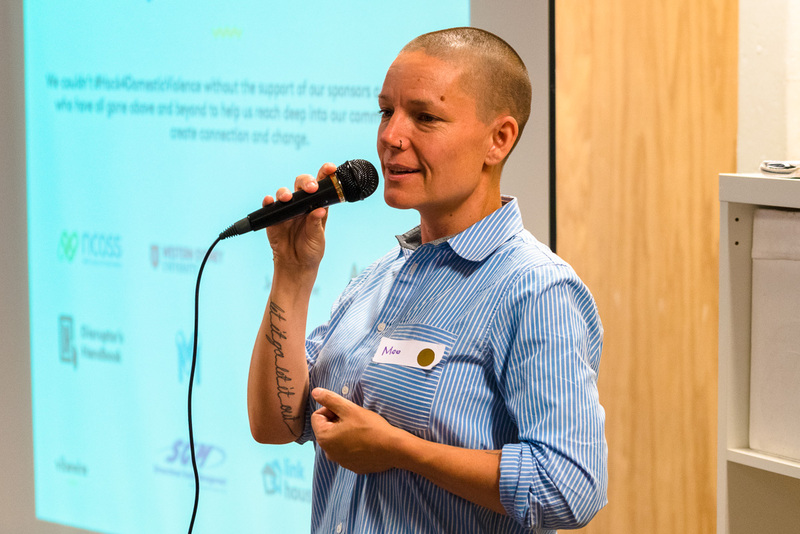 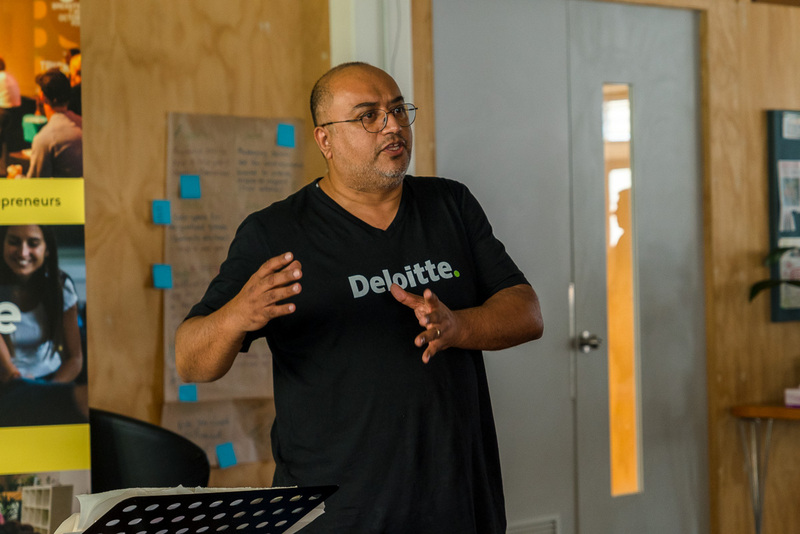 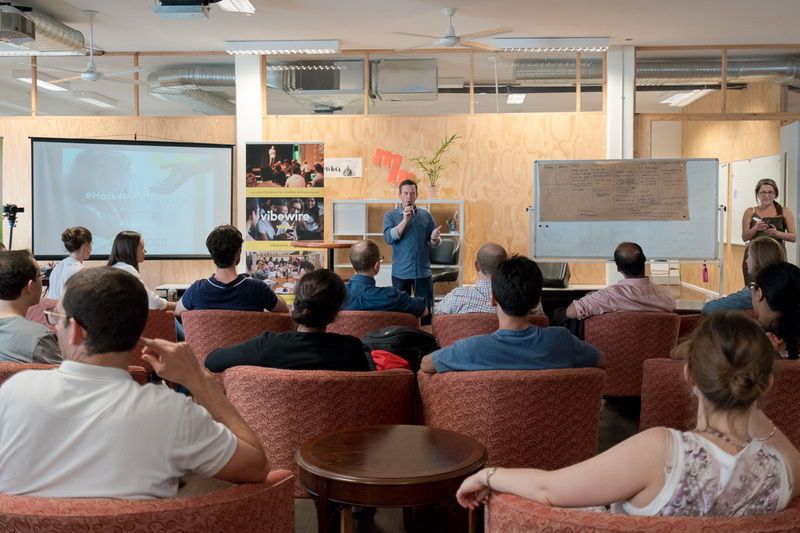 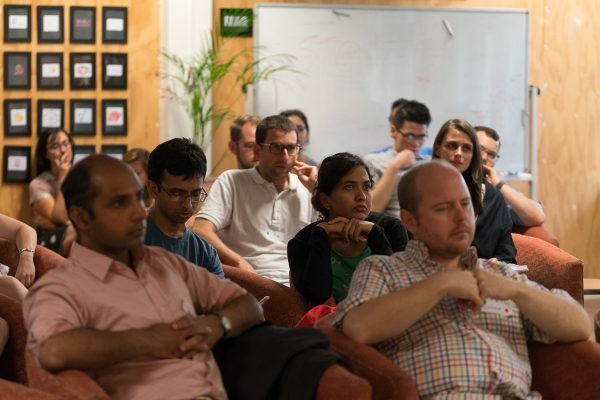 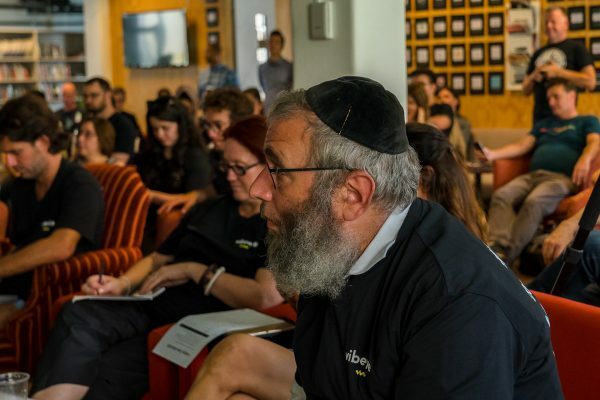 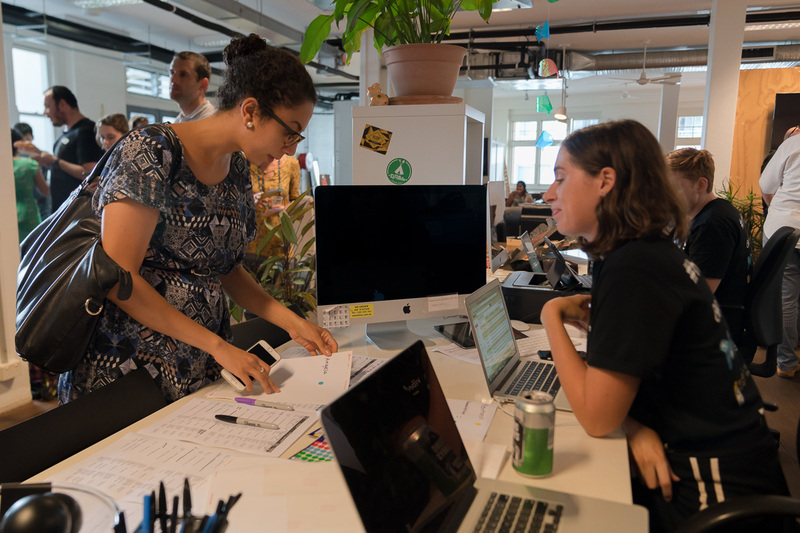 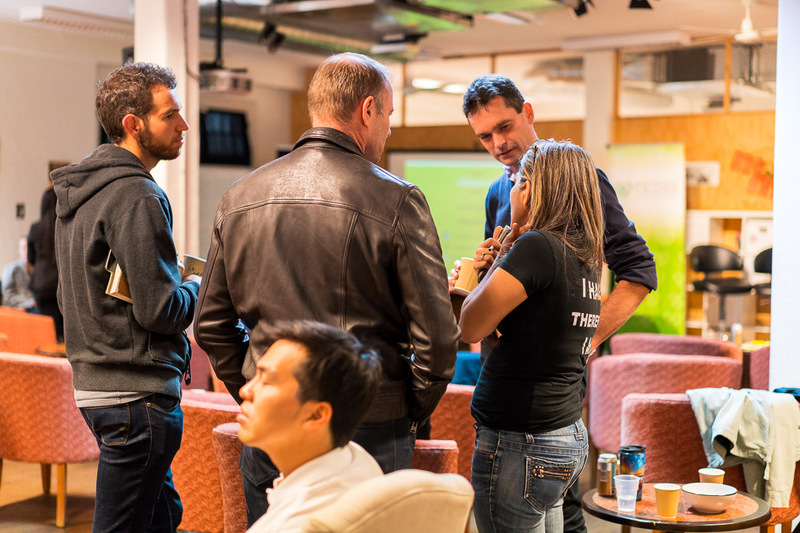 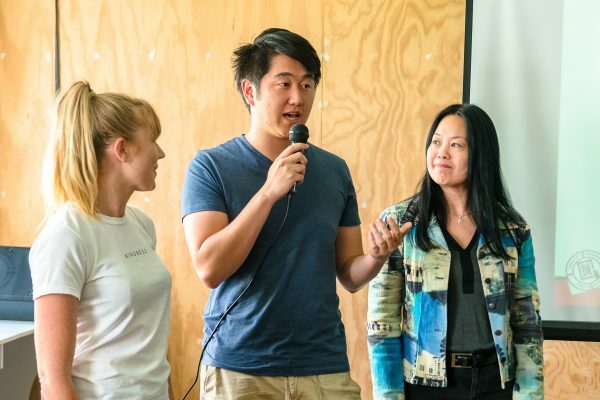 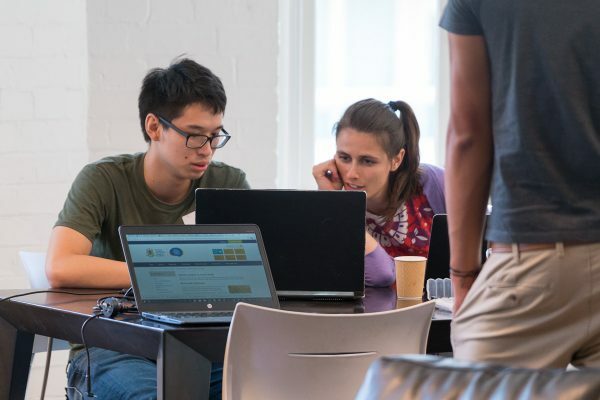 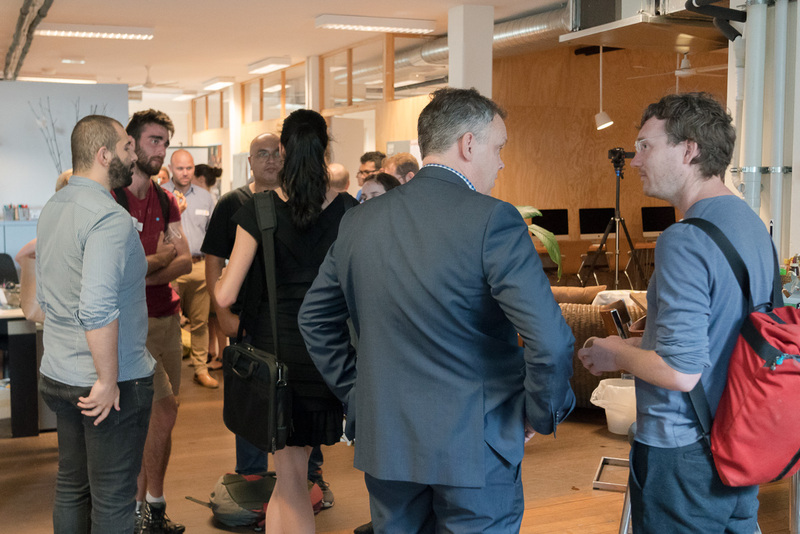 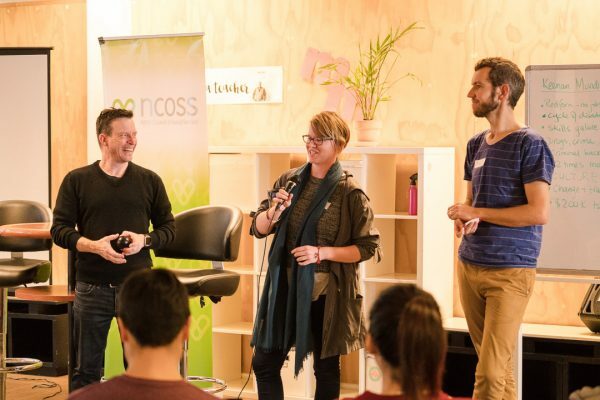 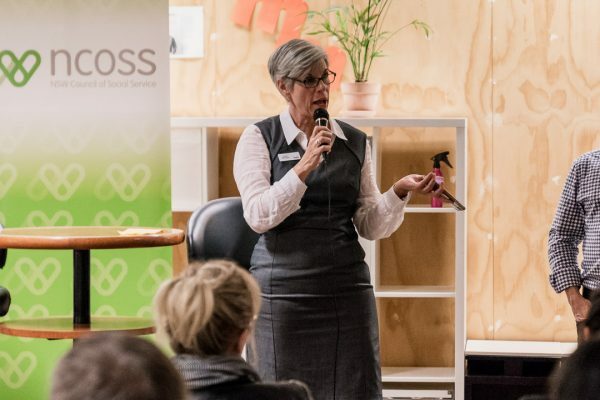 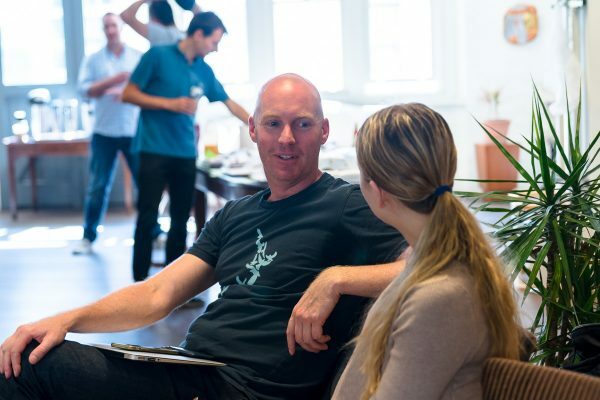 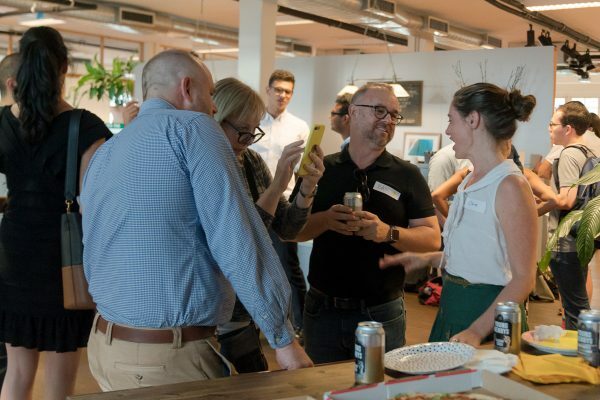 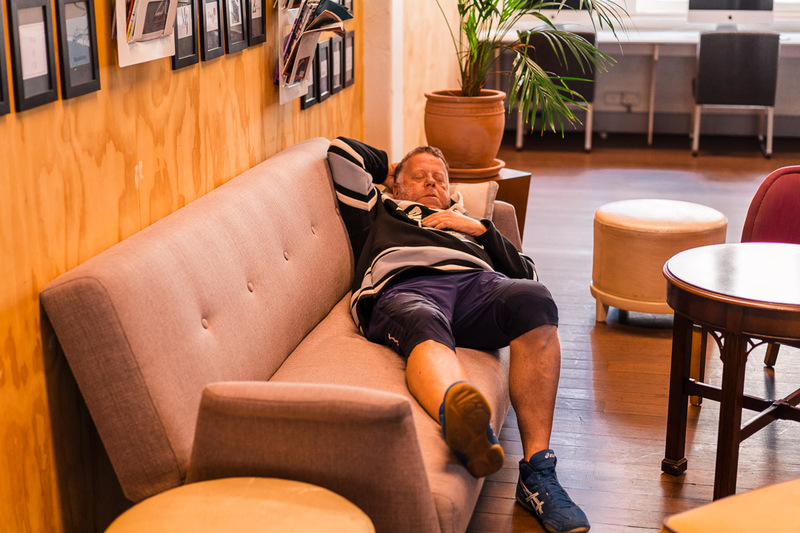 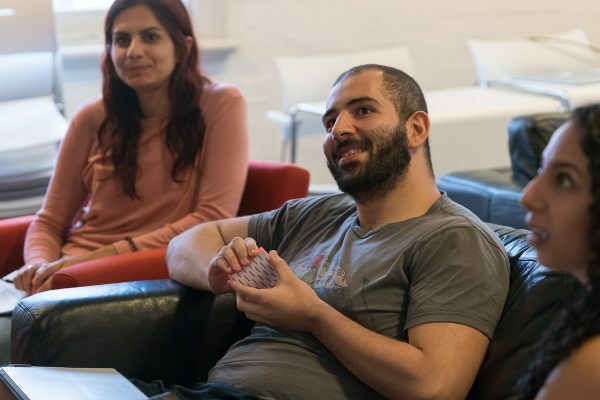 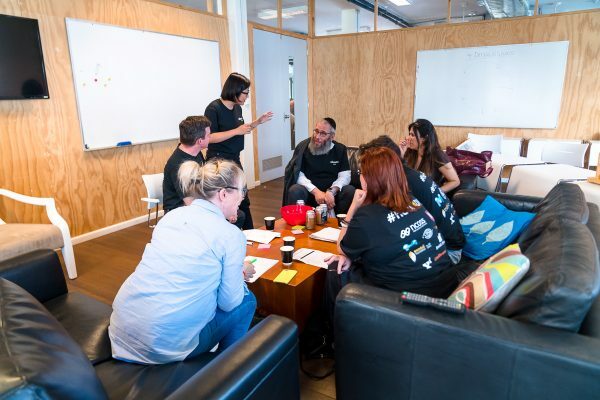 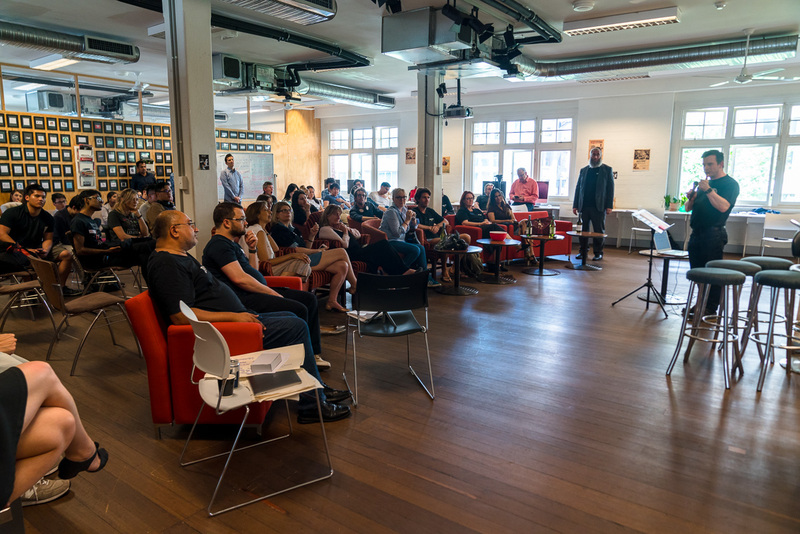 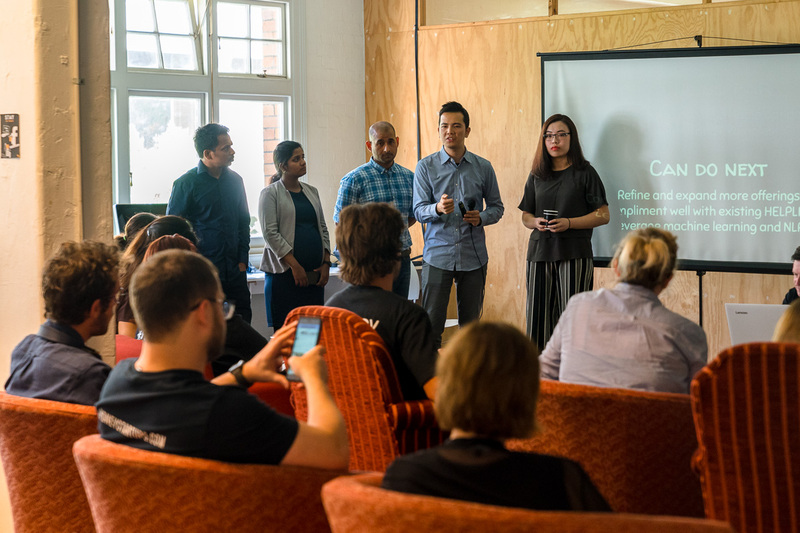 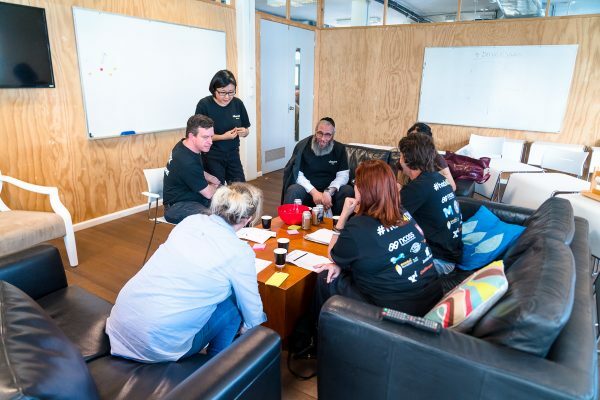 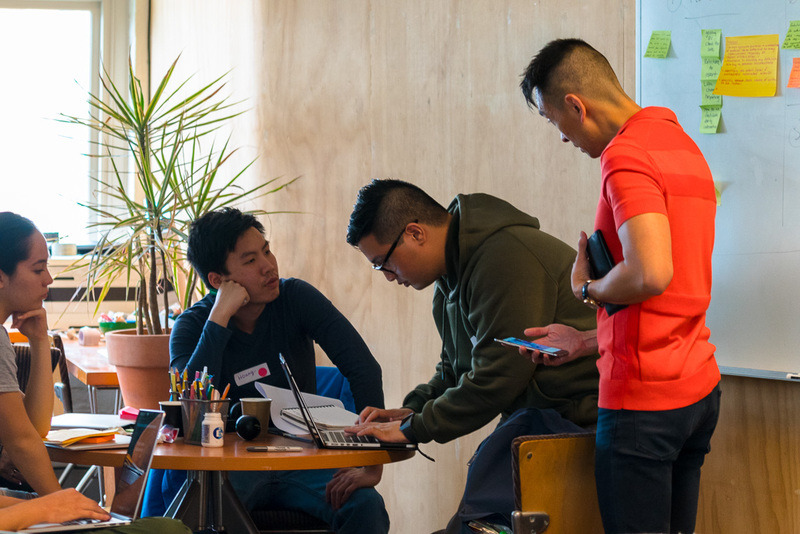 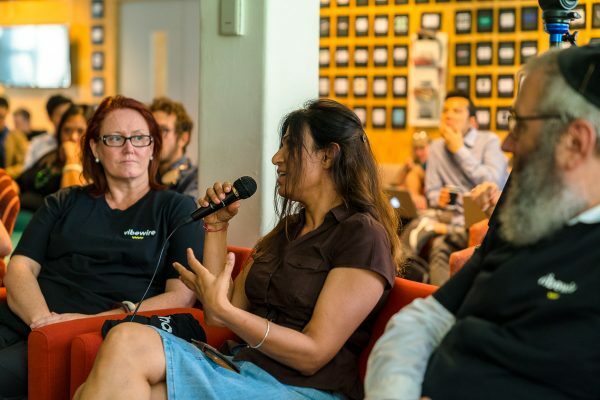 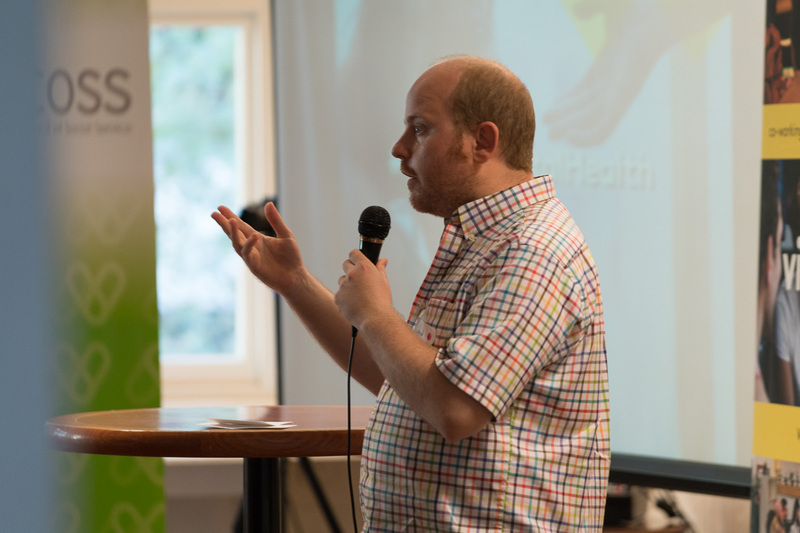 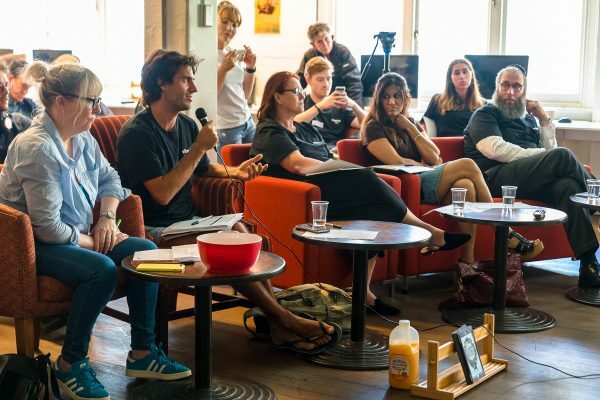 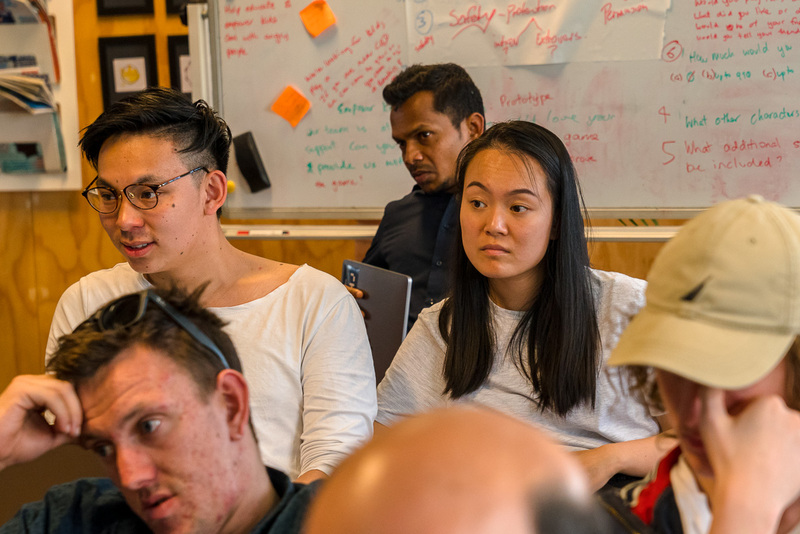 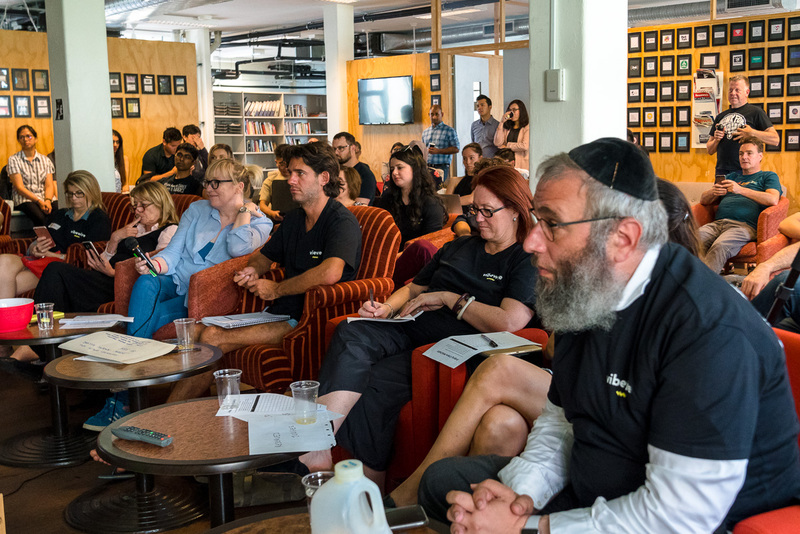 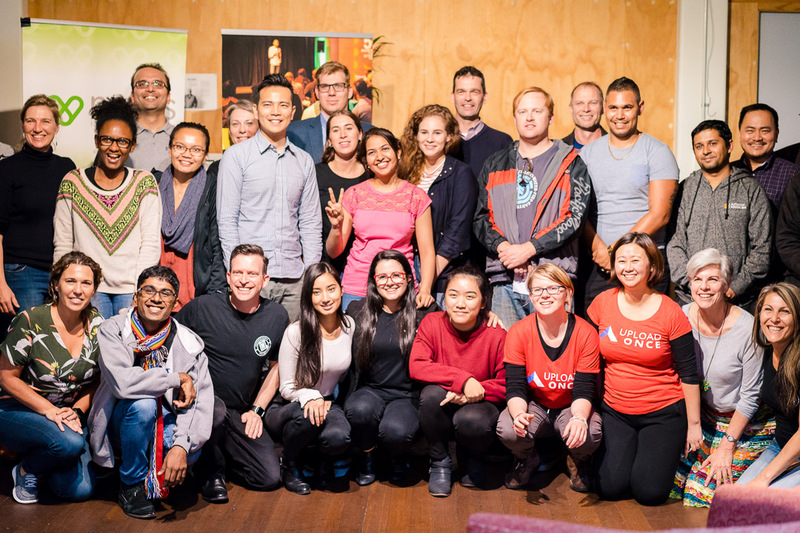 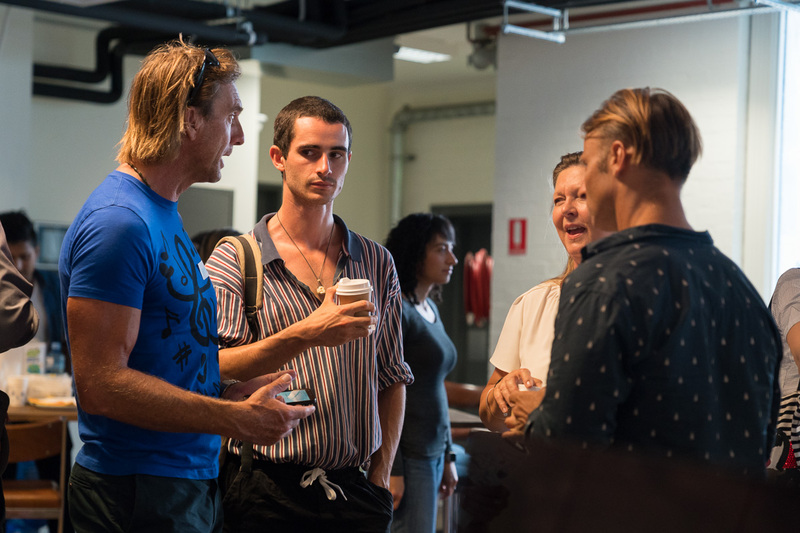 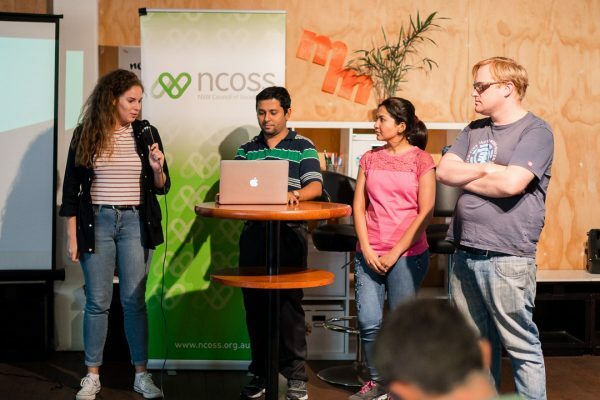 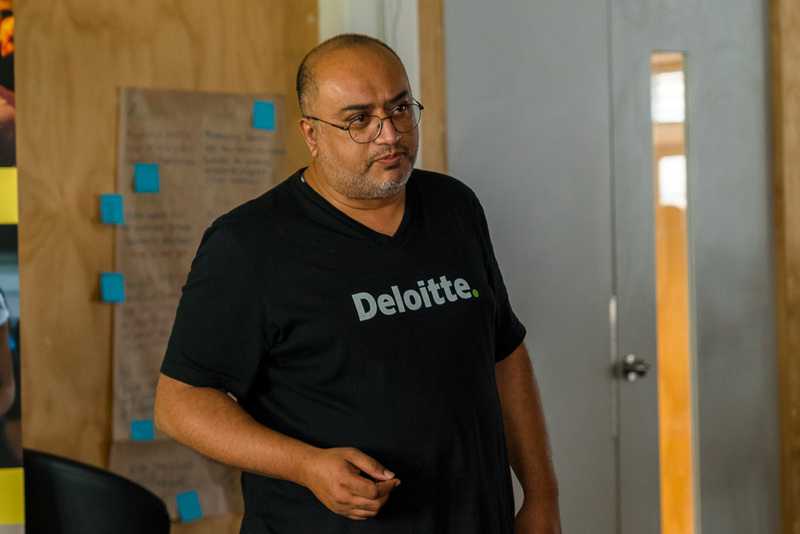 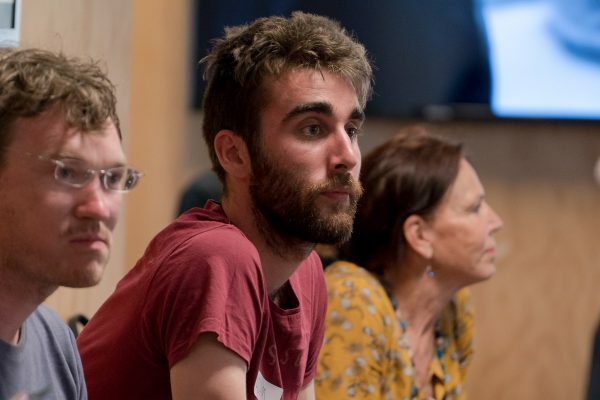 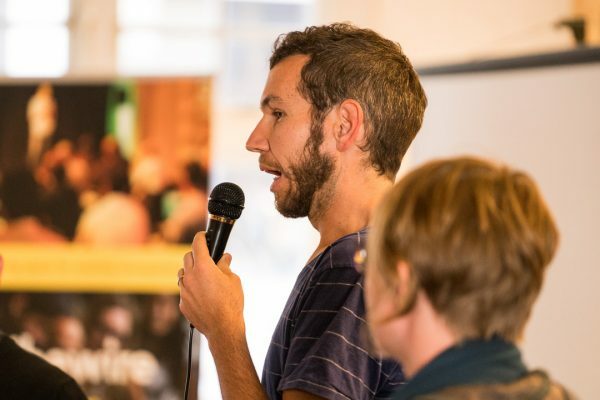 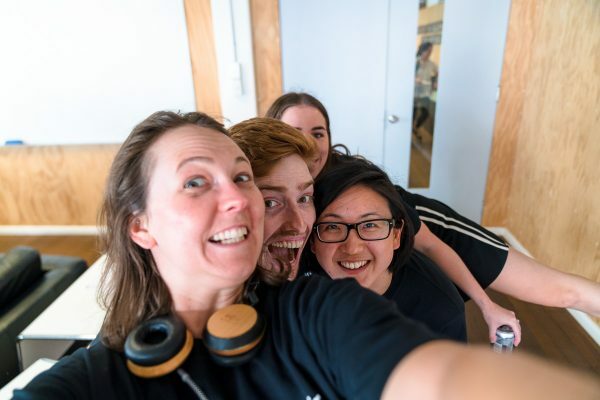 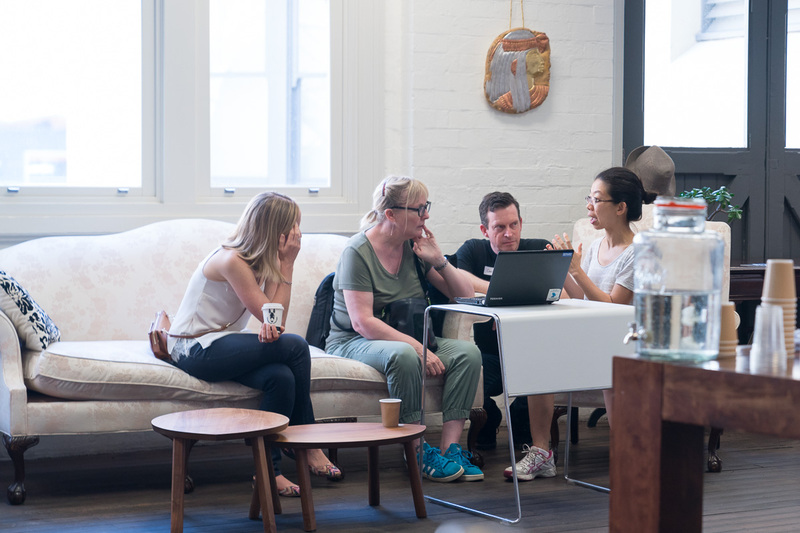 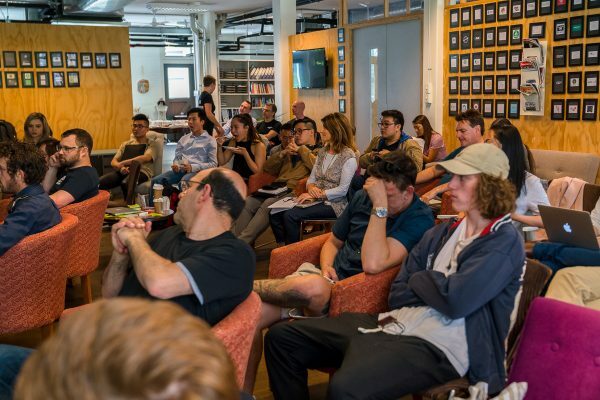 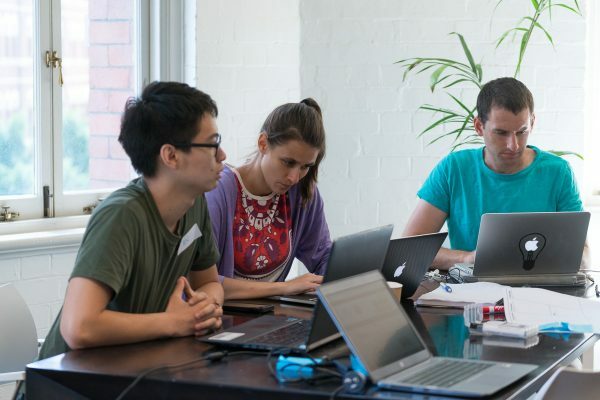 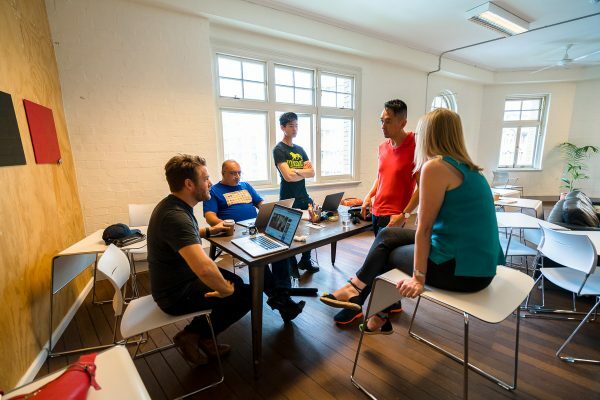 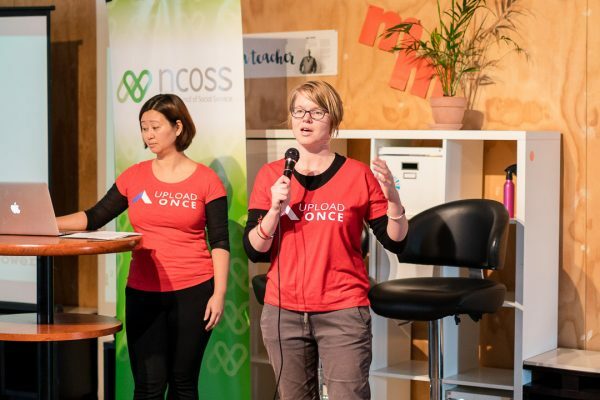 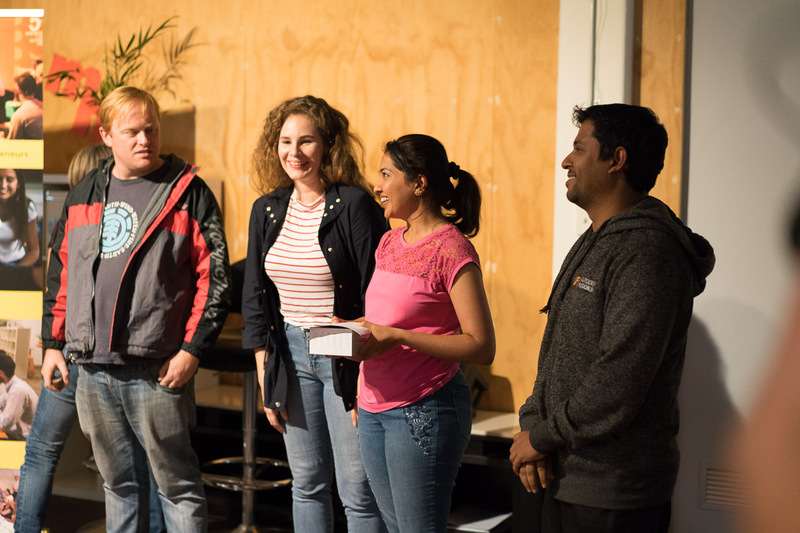 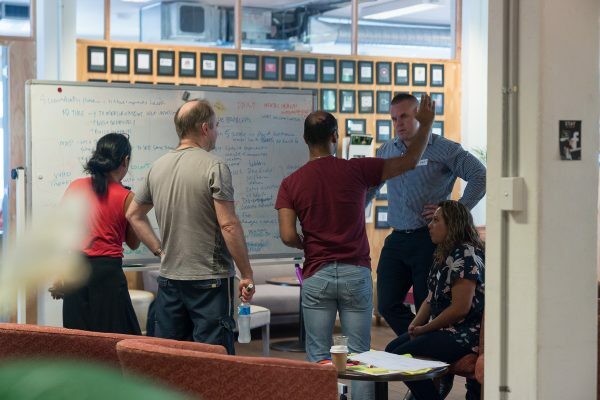 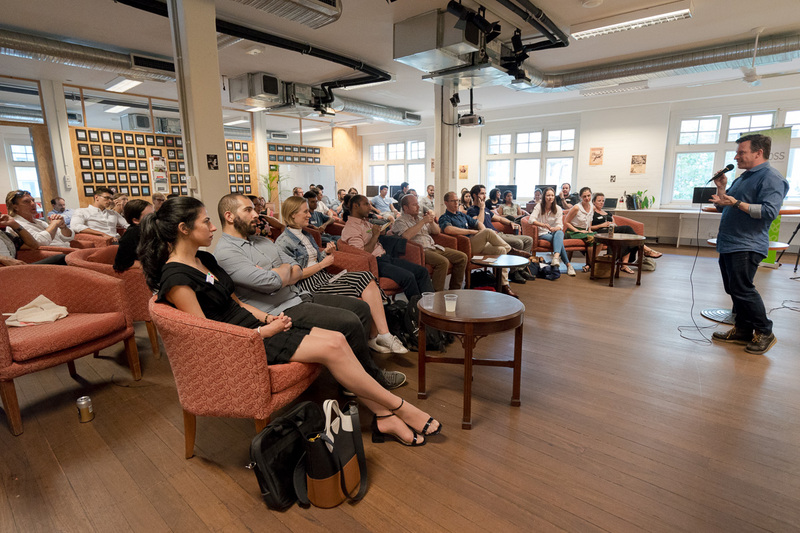 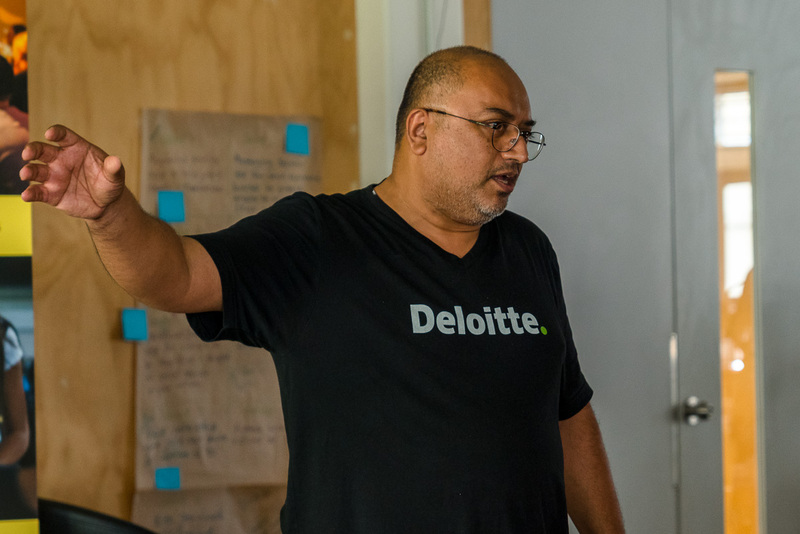 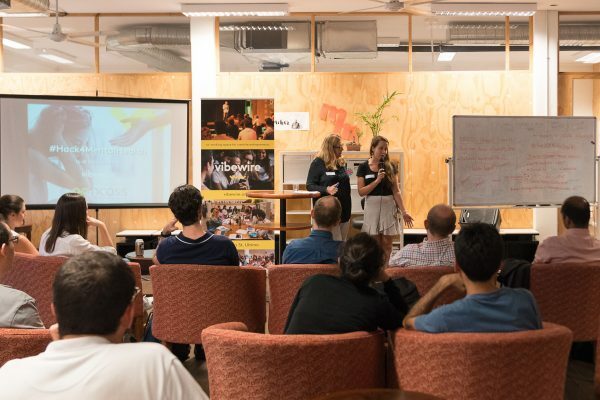 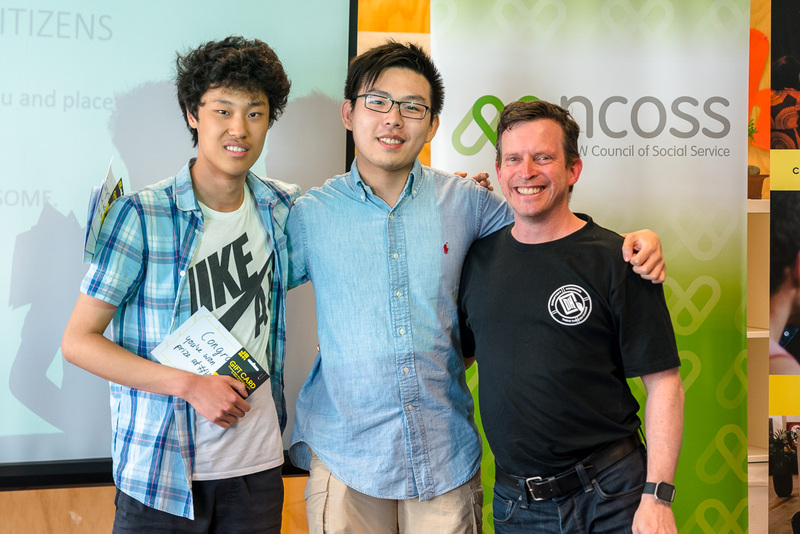 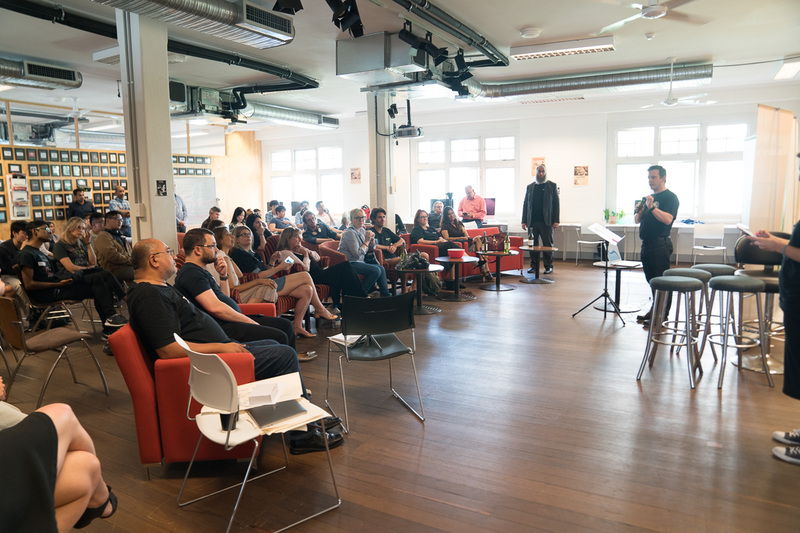 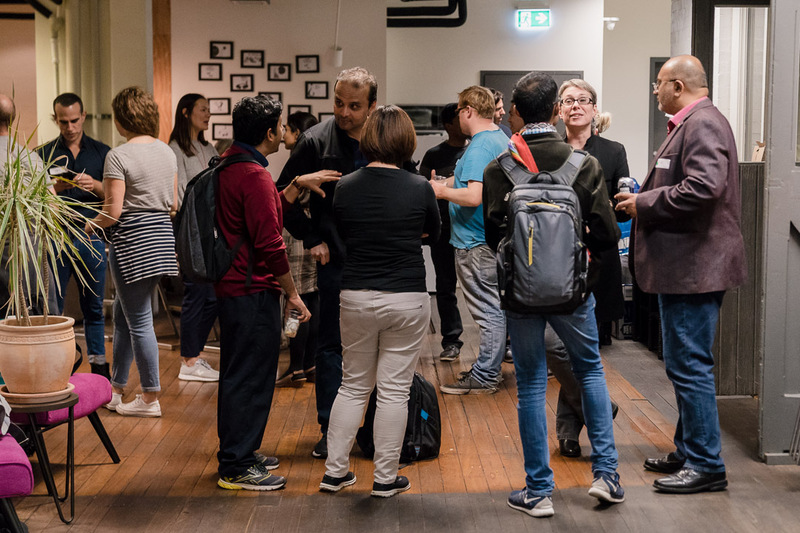 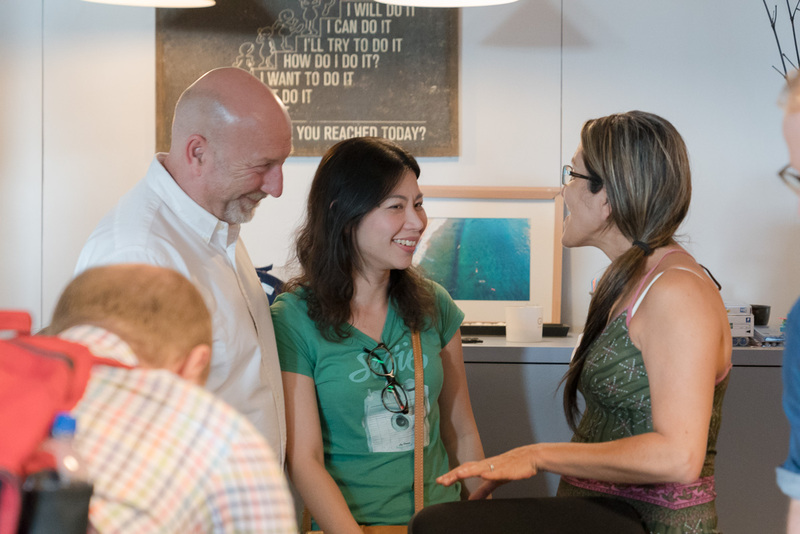 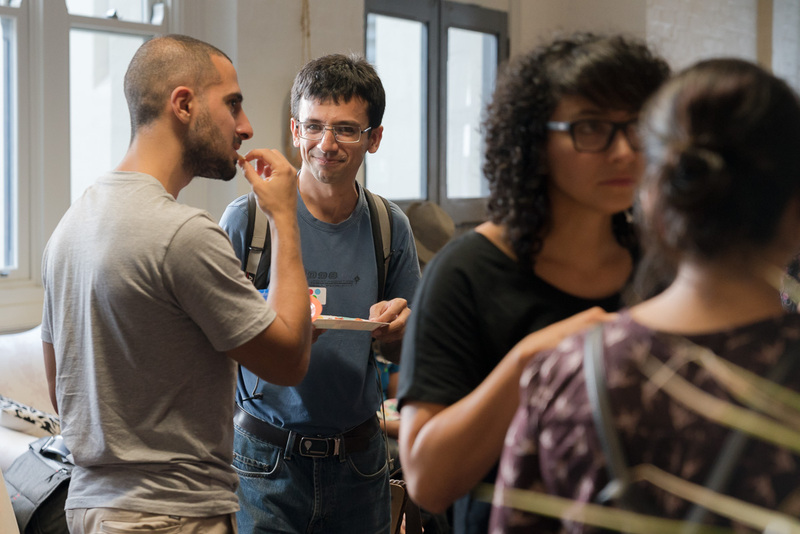 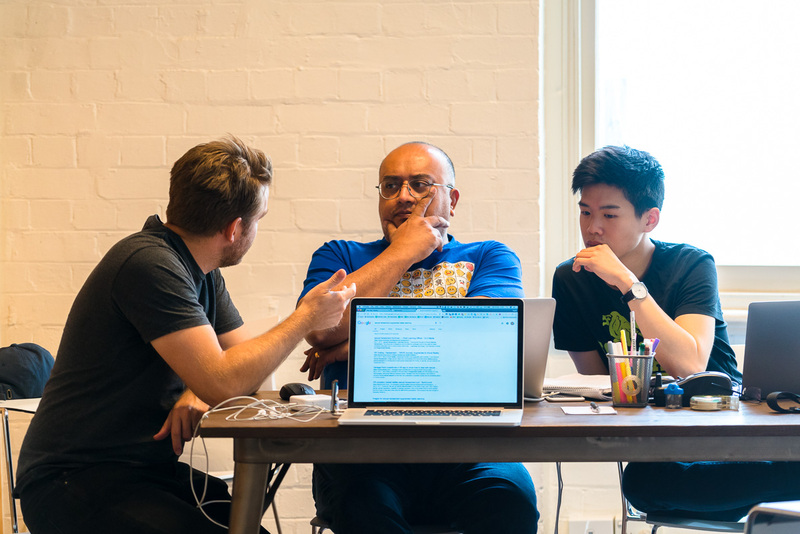 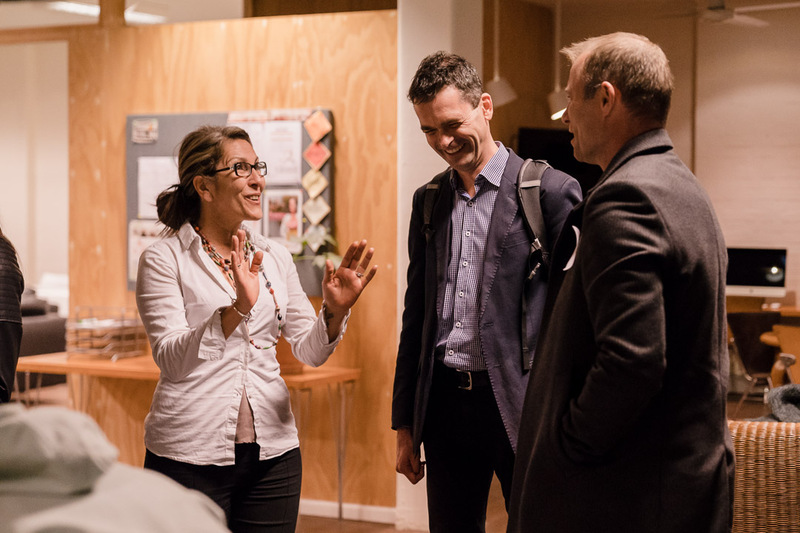 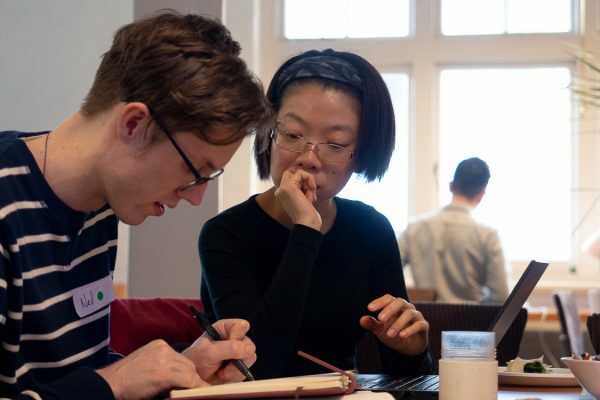 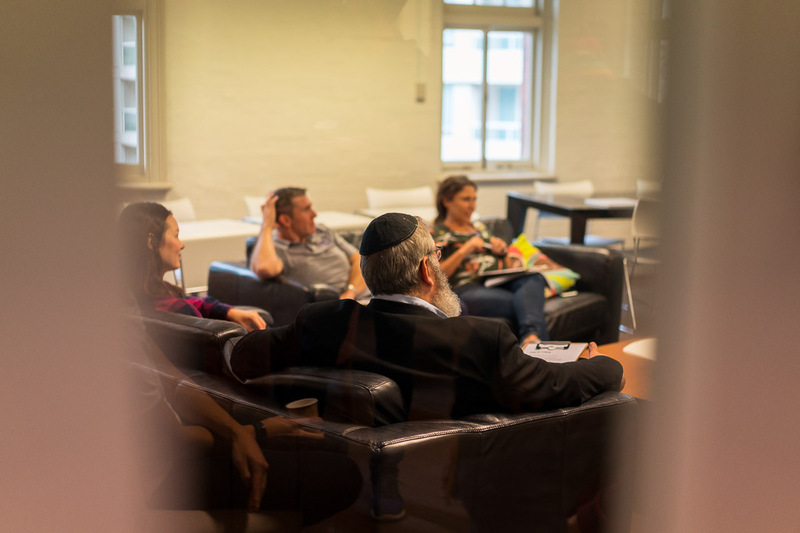 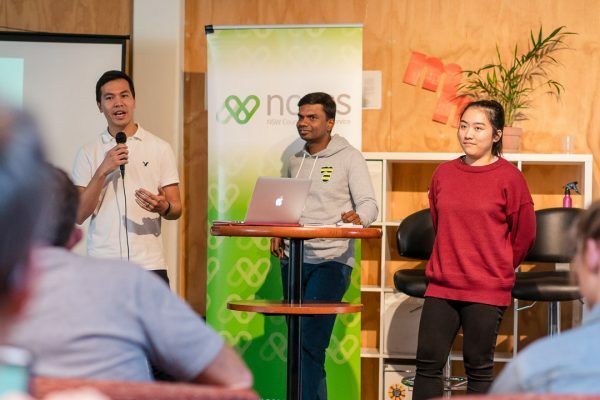 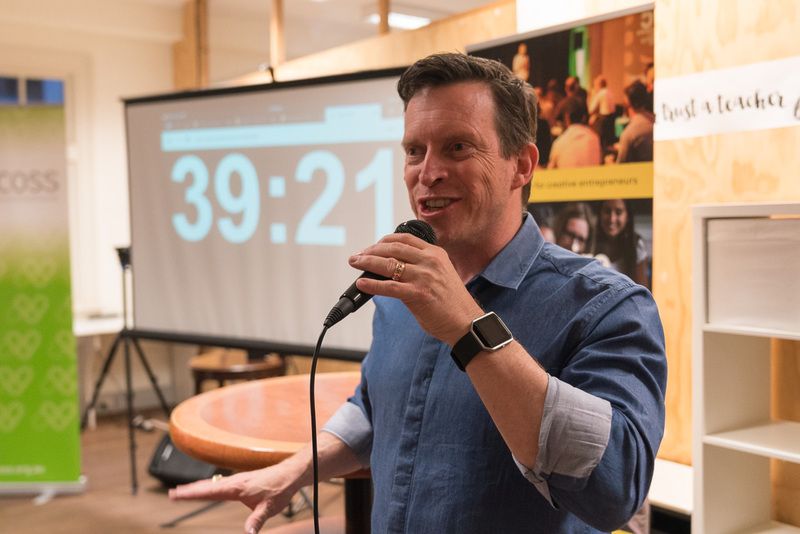 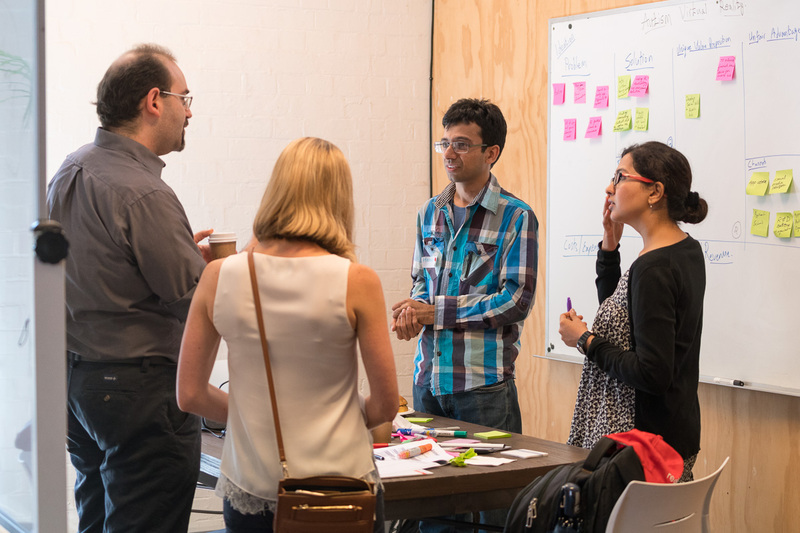 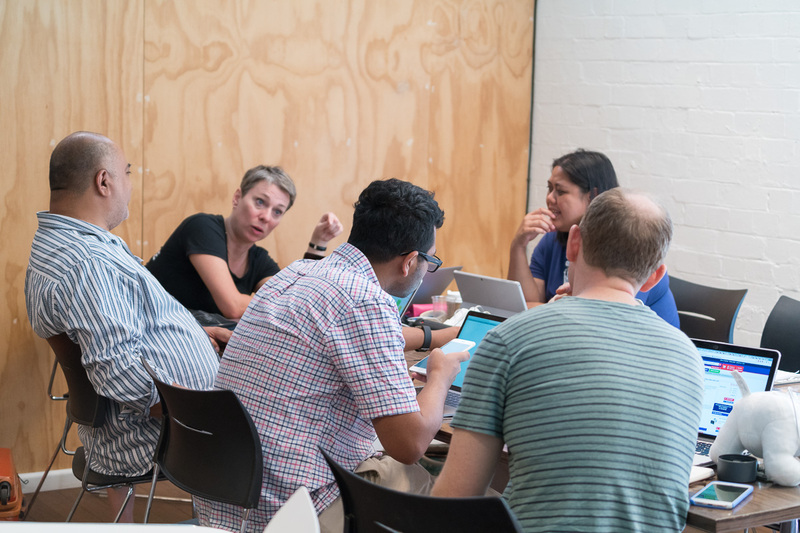 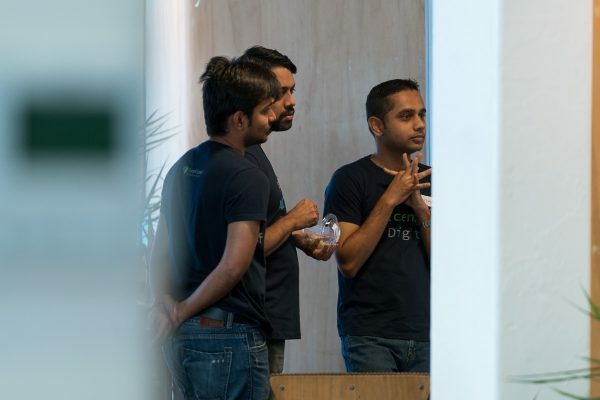 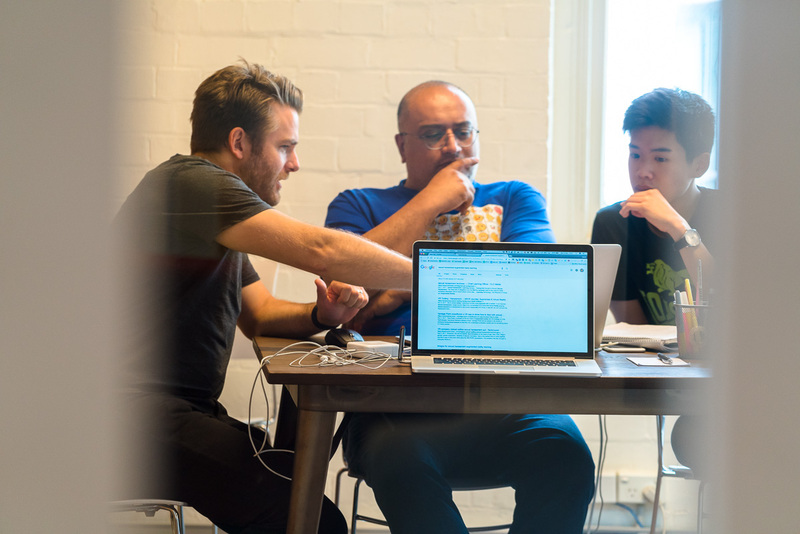 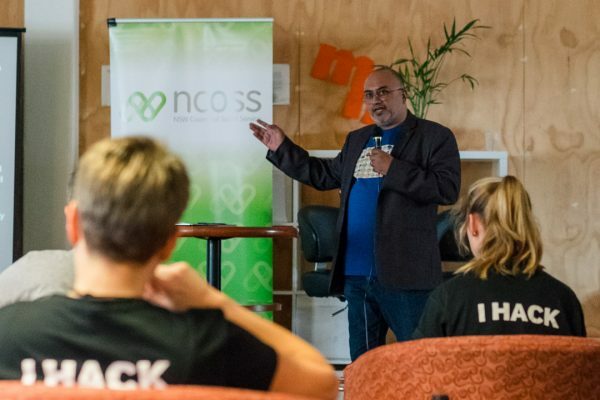 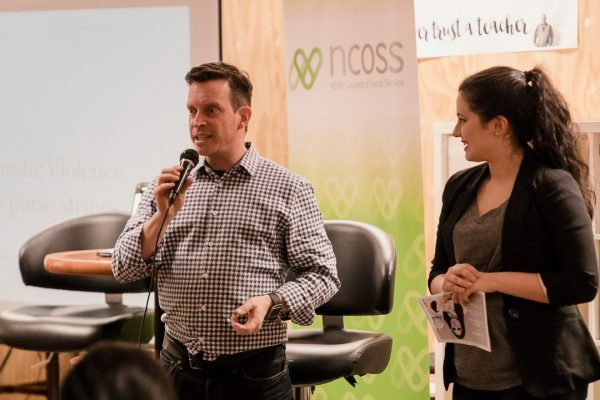 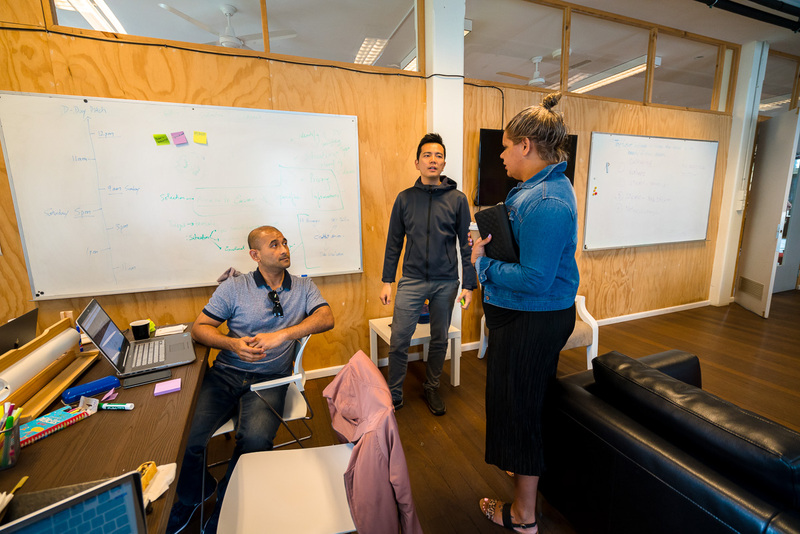 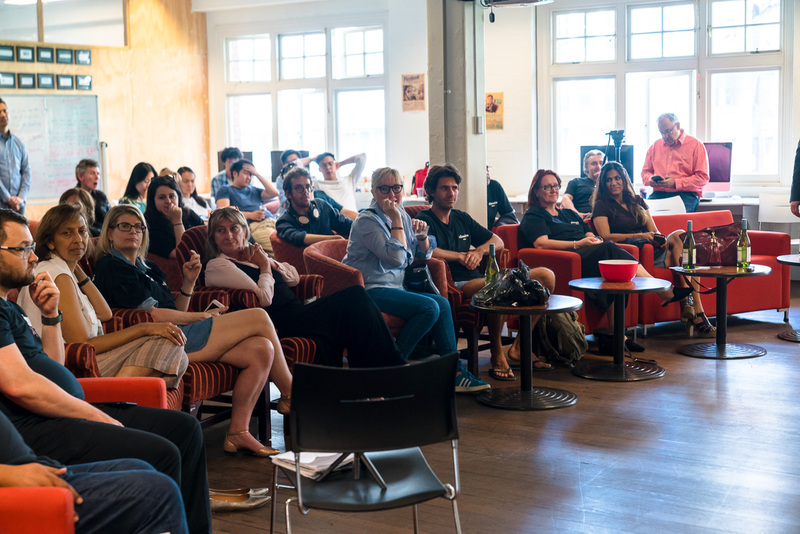 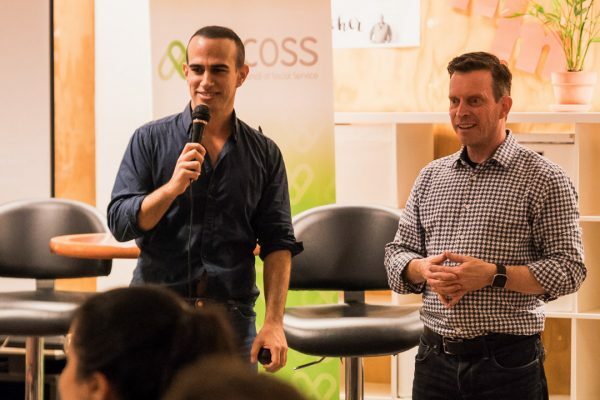 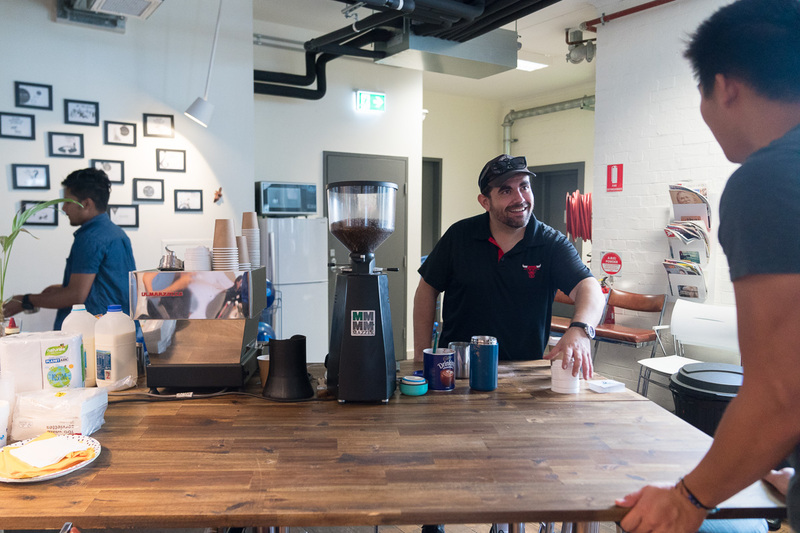 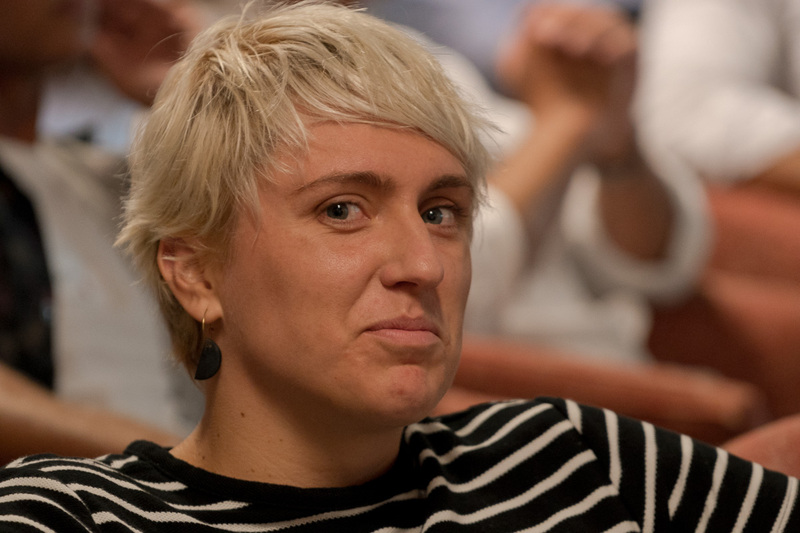 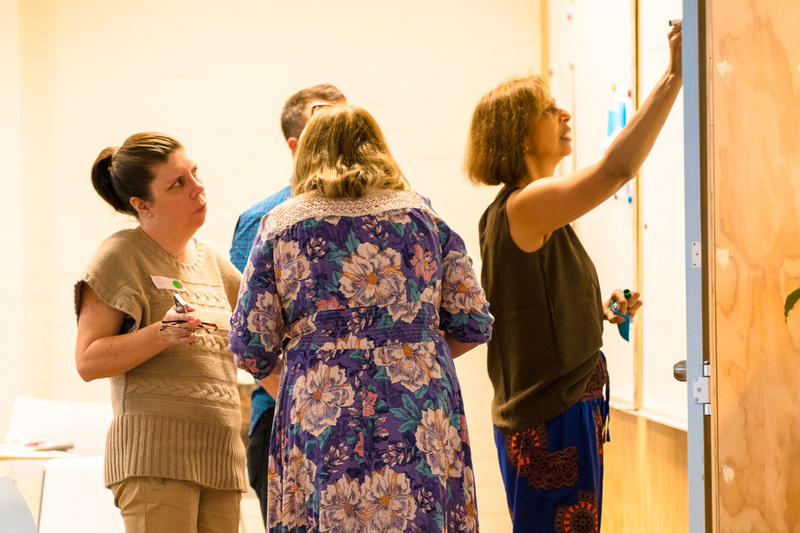 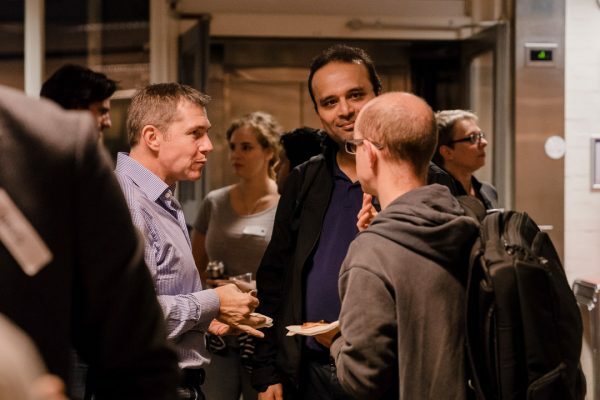 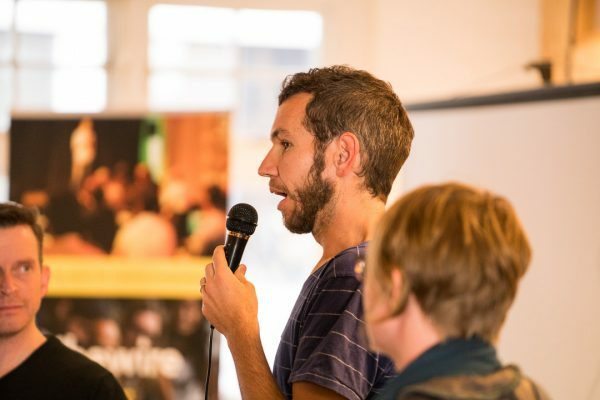 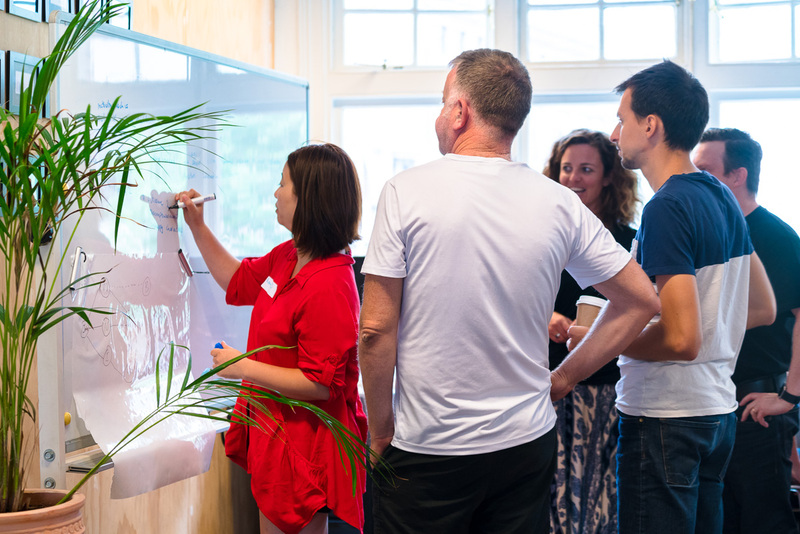 Ran Hack4Homelessness where we’re now supporting the winners create sustainable change. 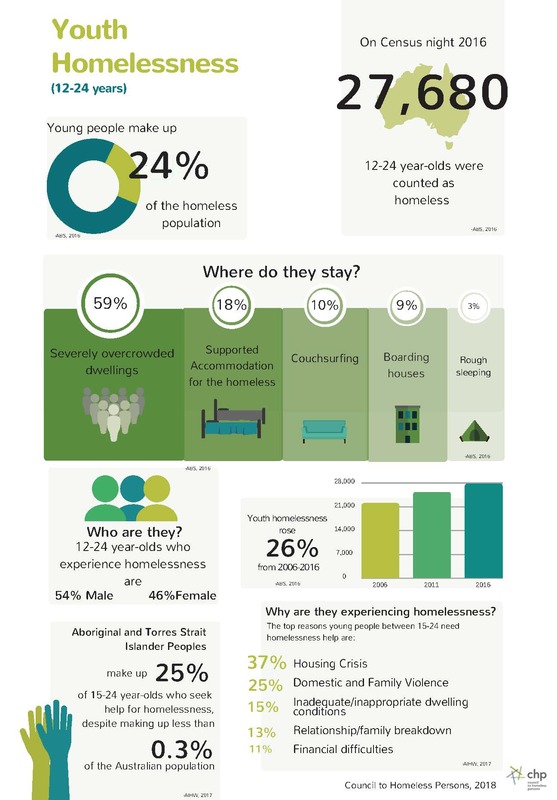 Full report is available here. 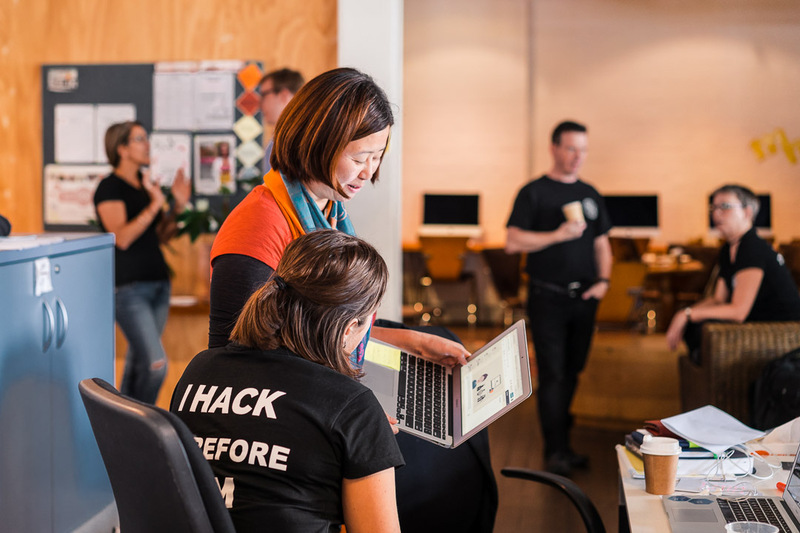 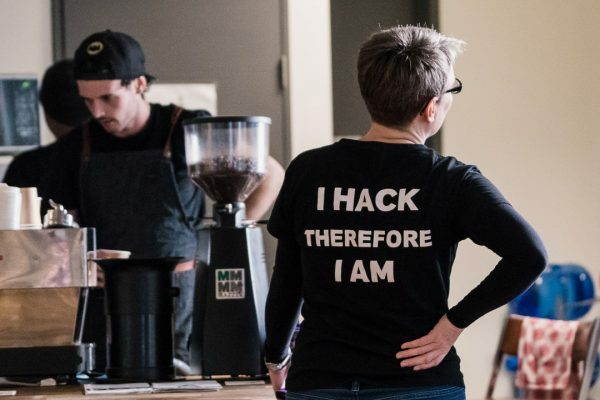 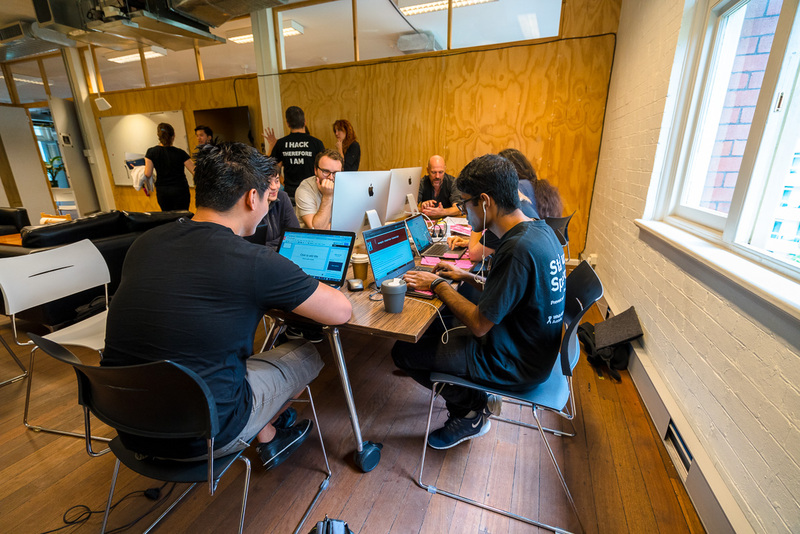 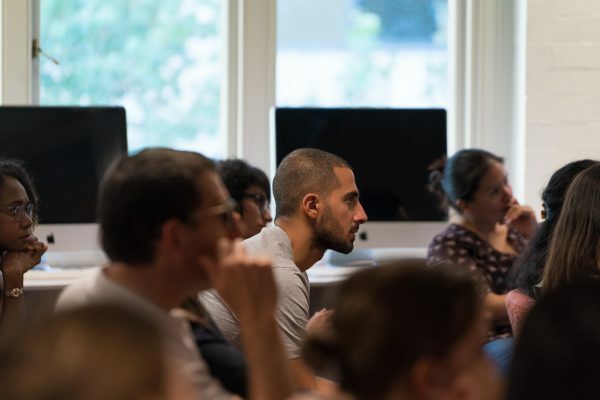 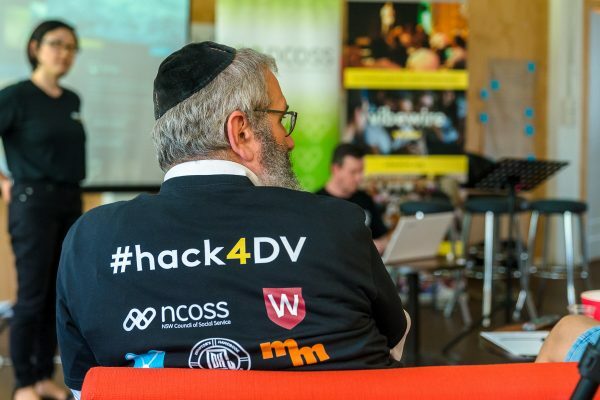 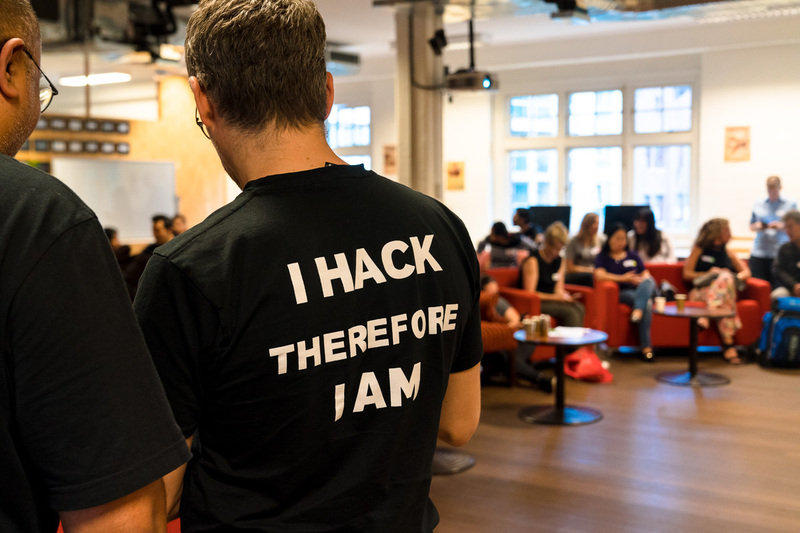 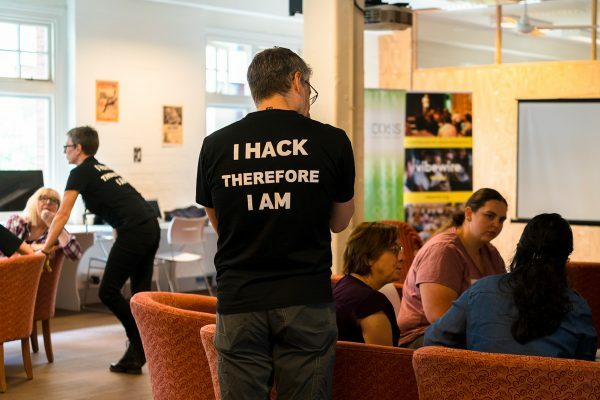 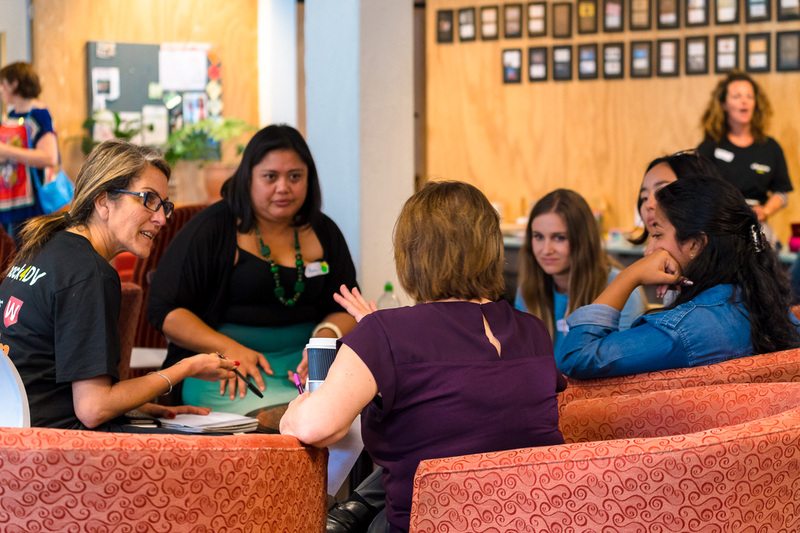 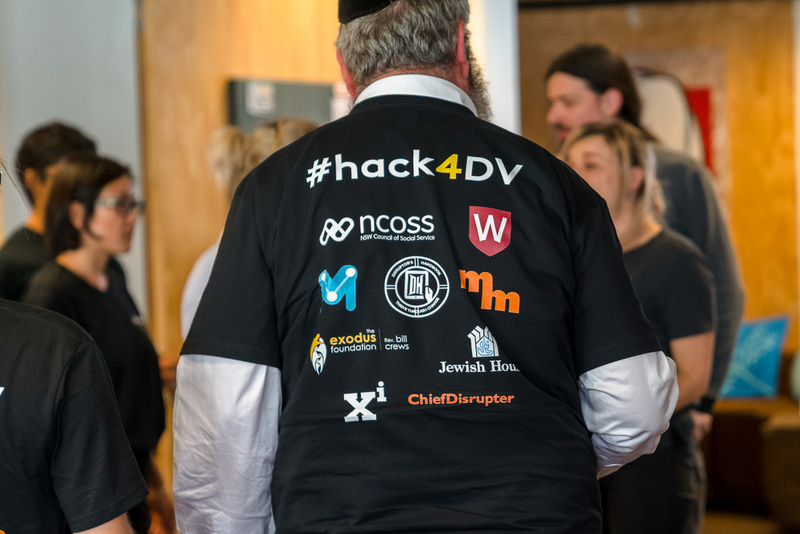 This Dec 8-10 we’ll be running Hack4Domestic Violence – register now, details are here. 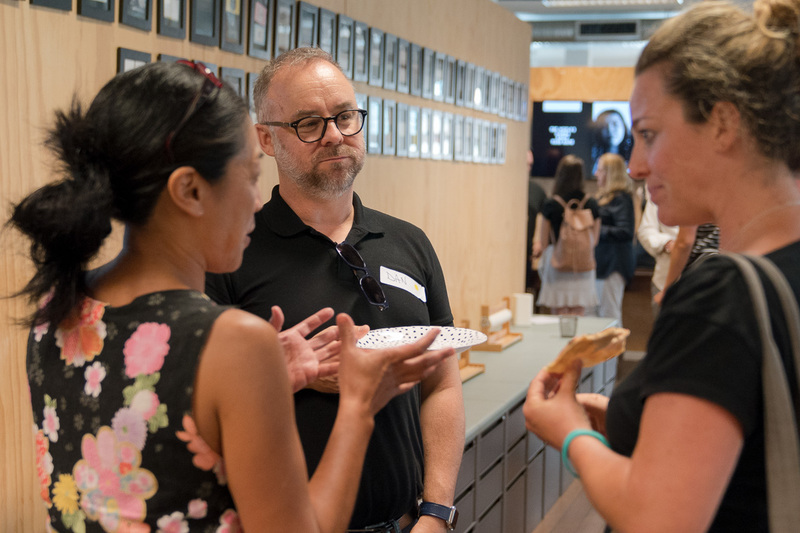 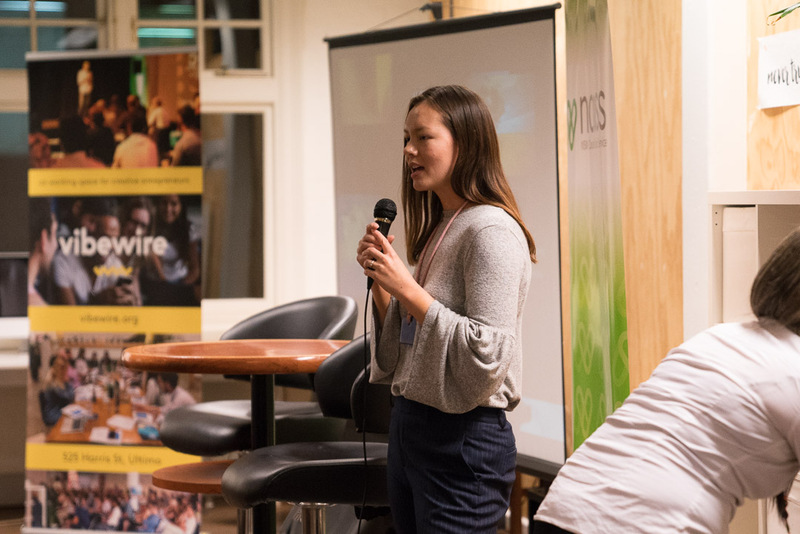 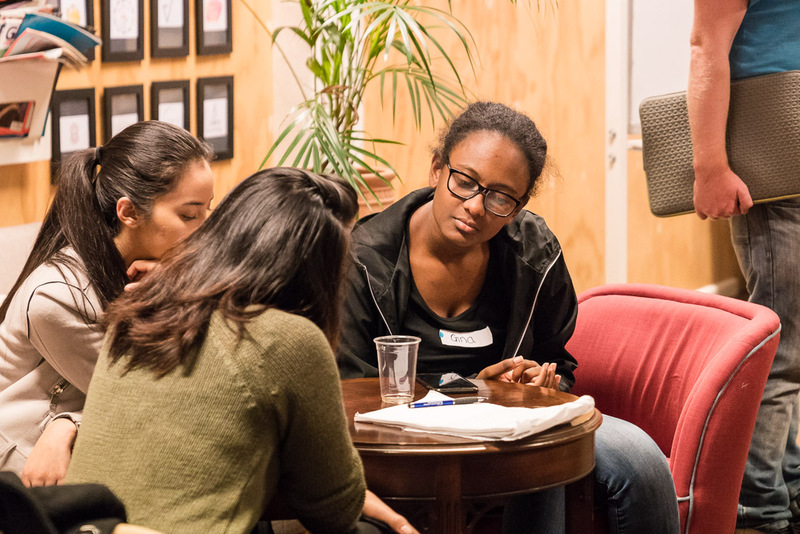 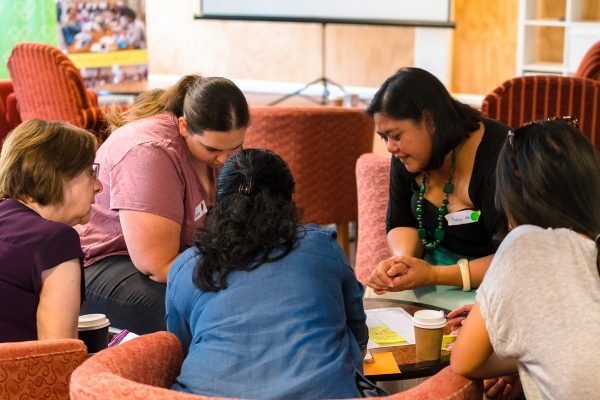 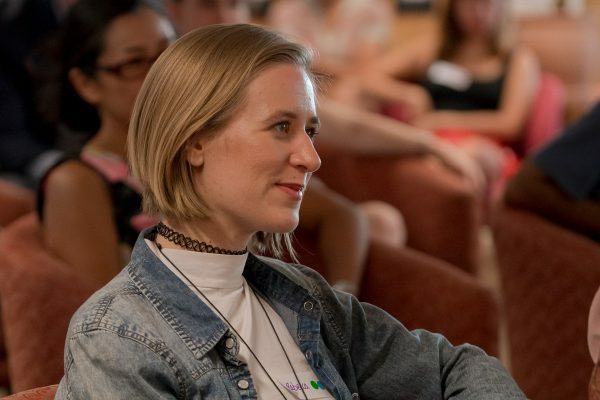 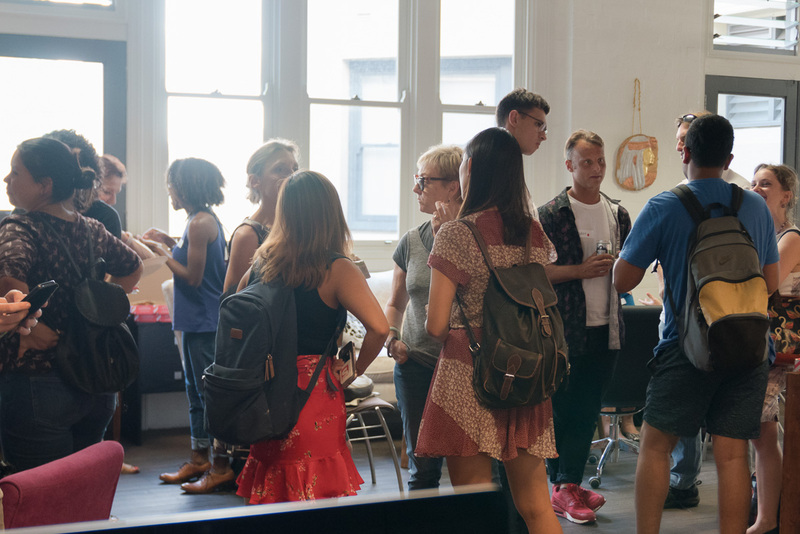 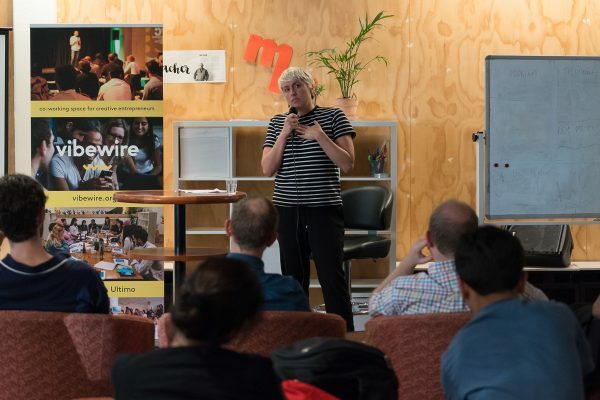 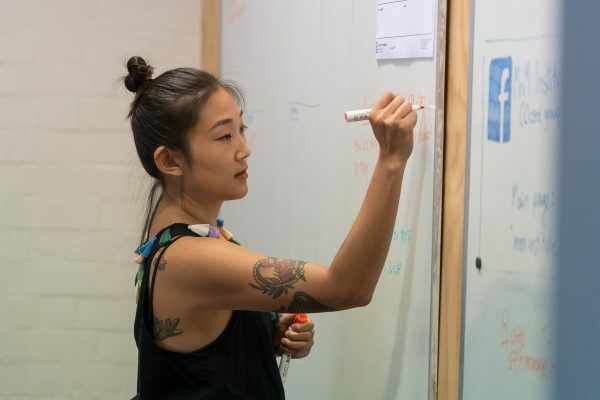 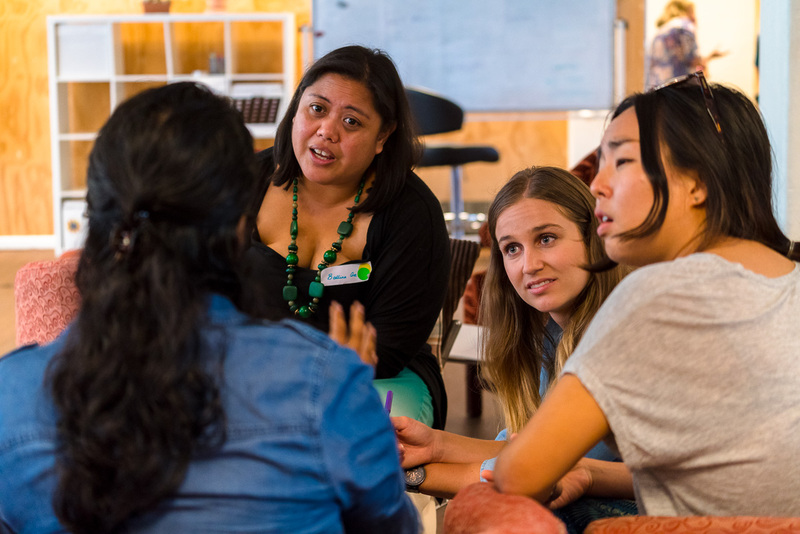 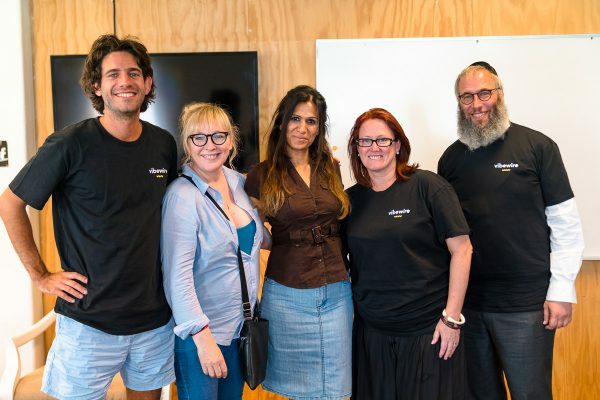 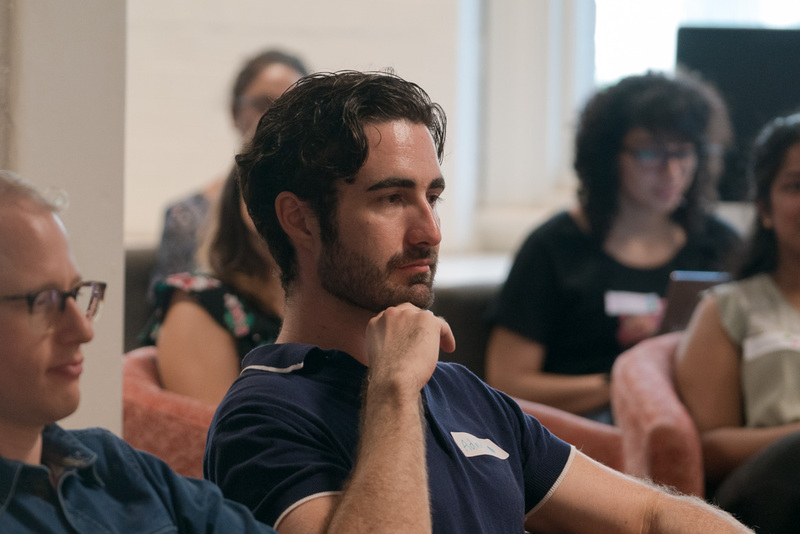 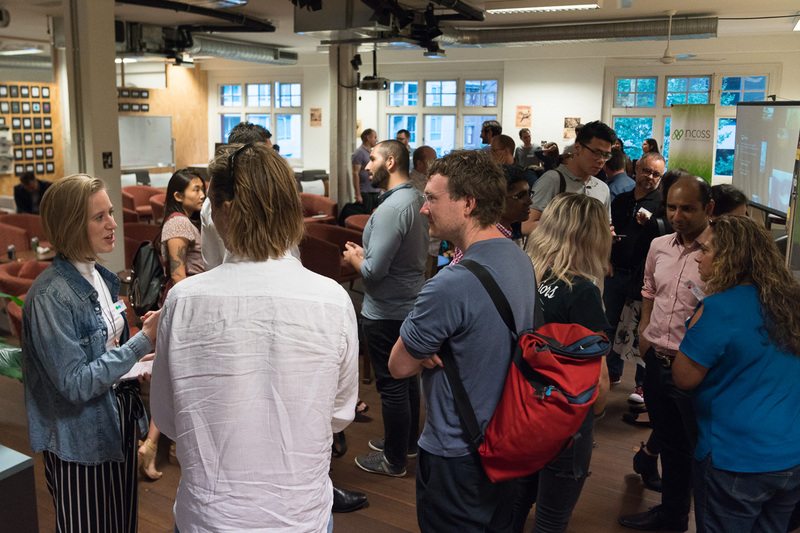 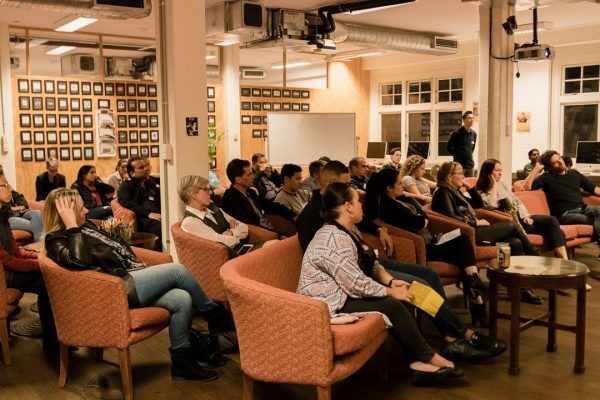 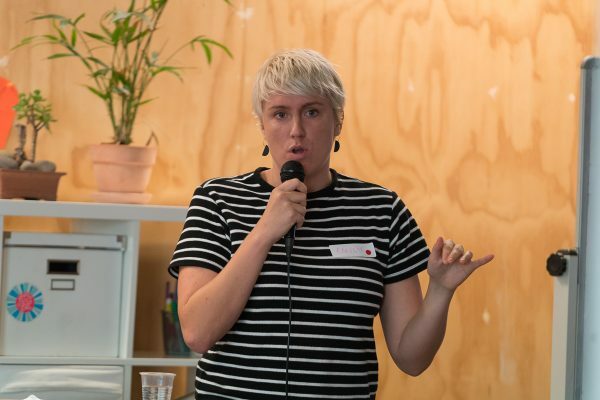 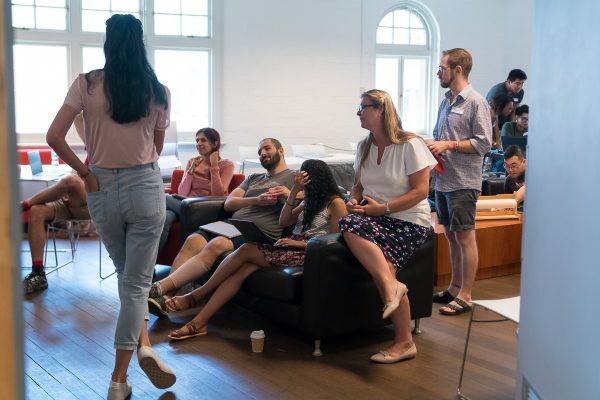 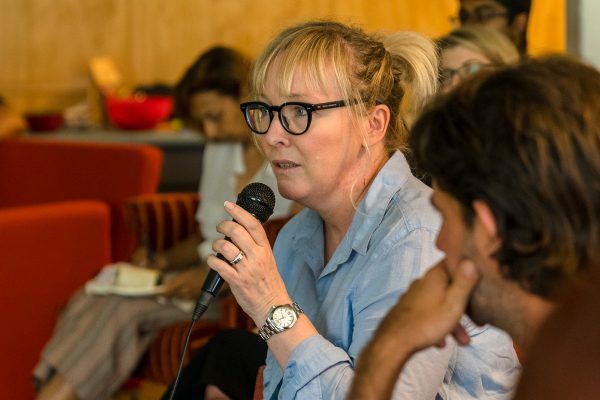 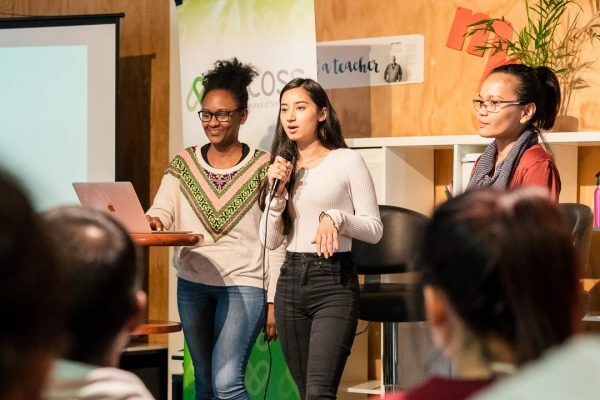 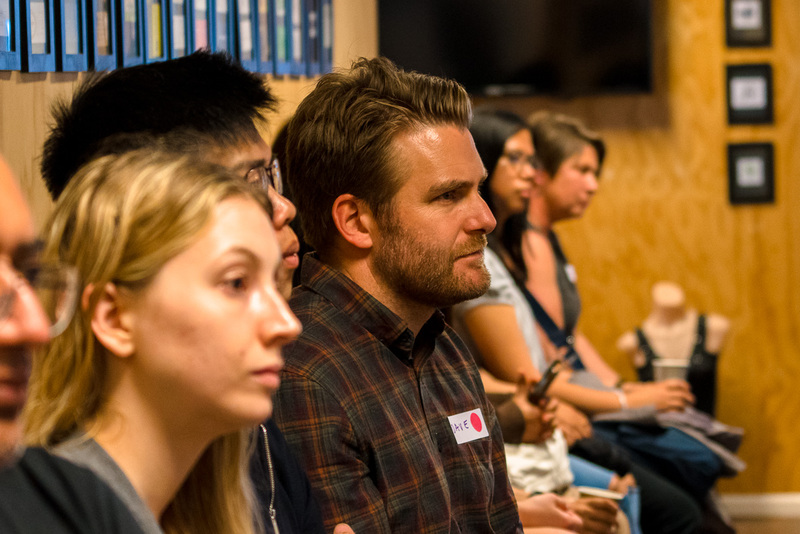 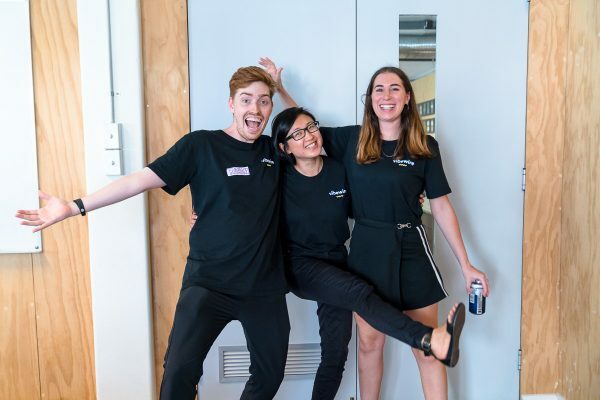 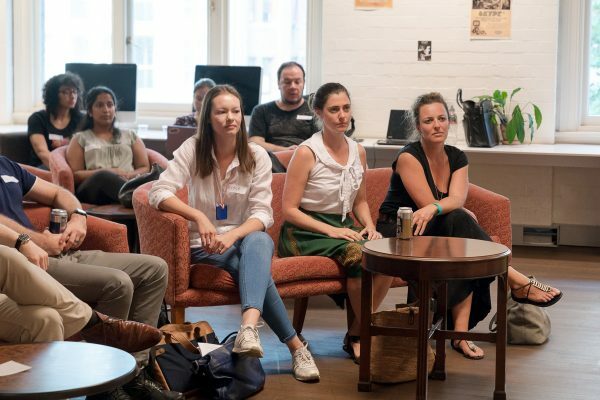 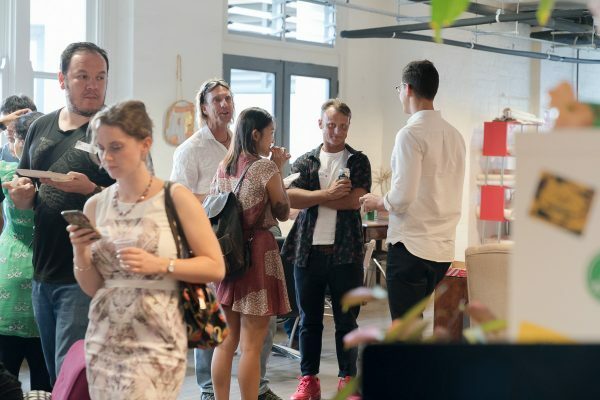 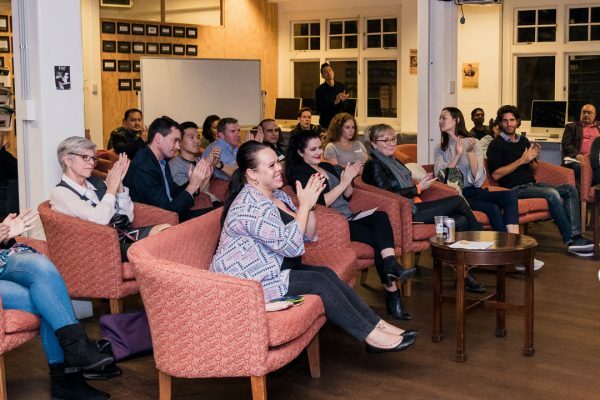 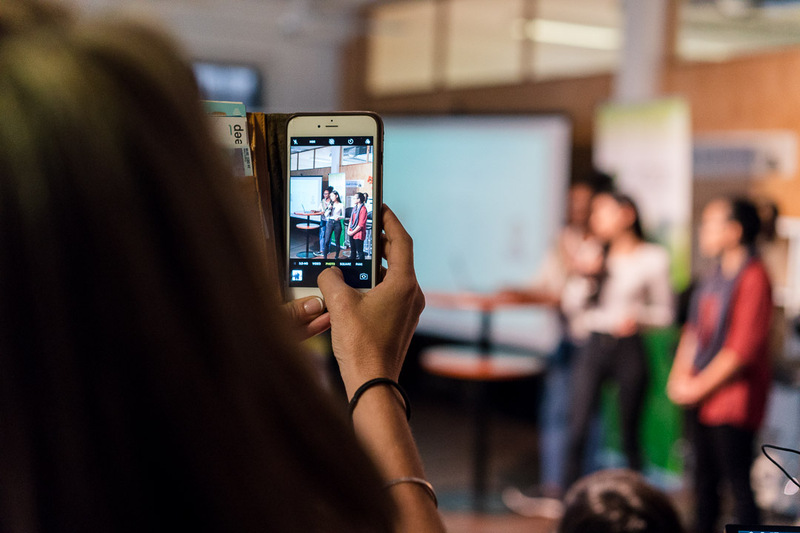 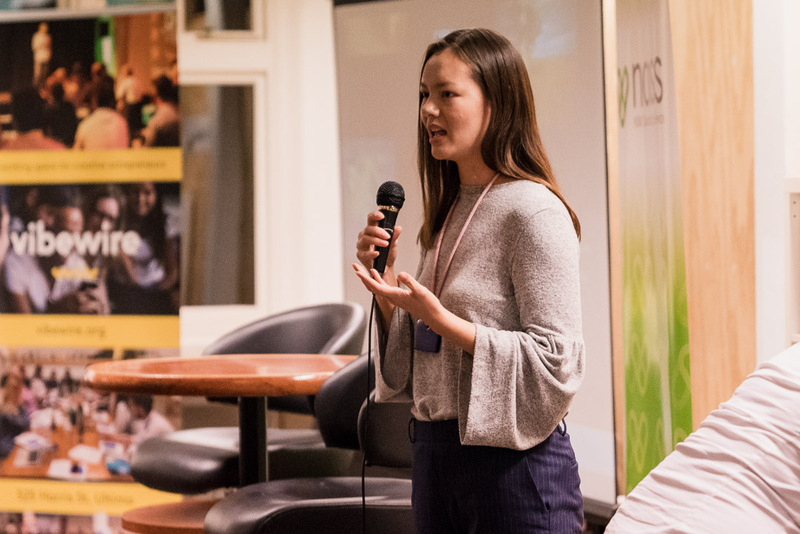 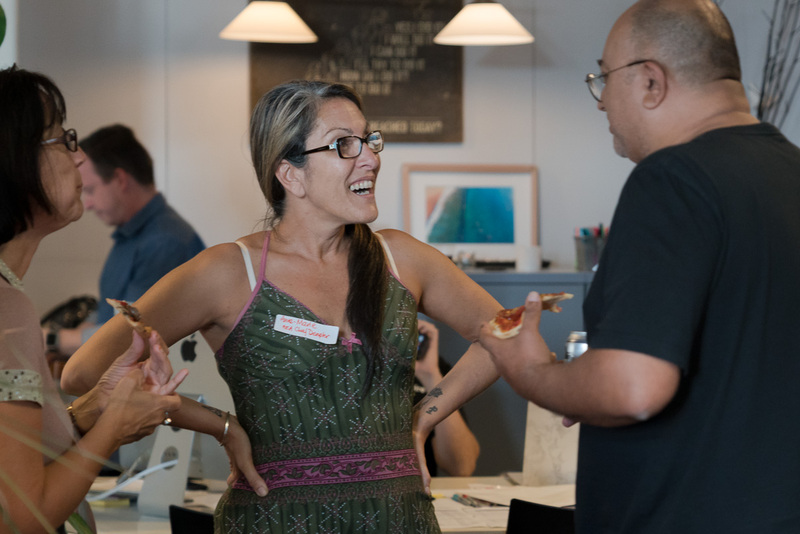 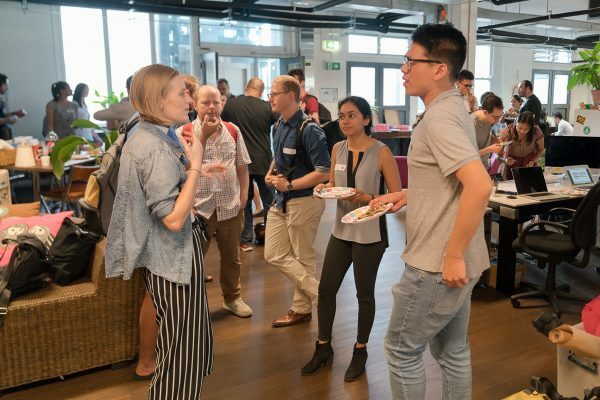 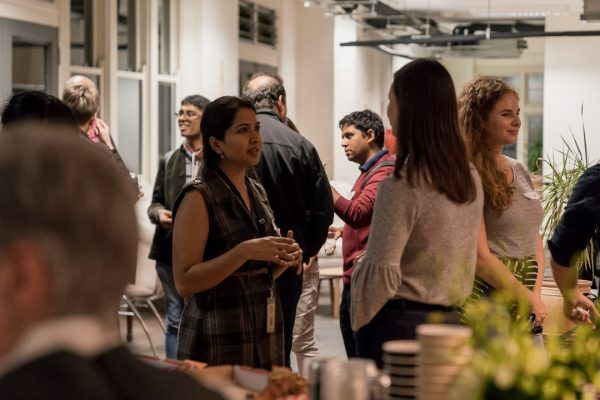 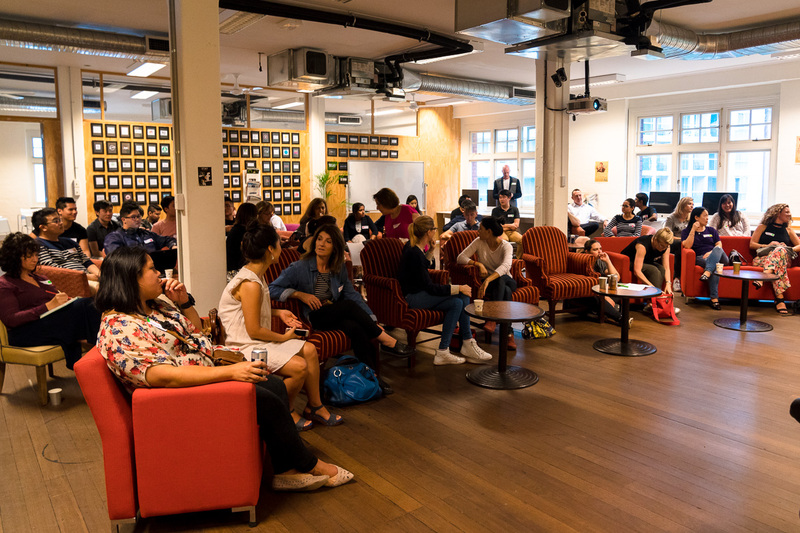 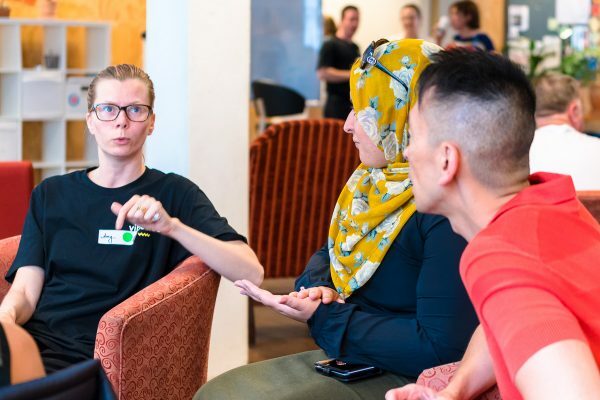 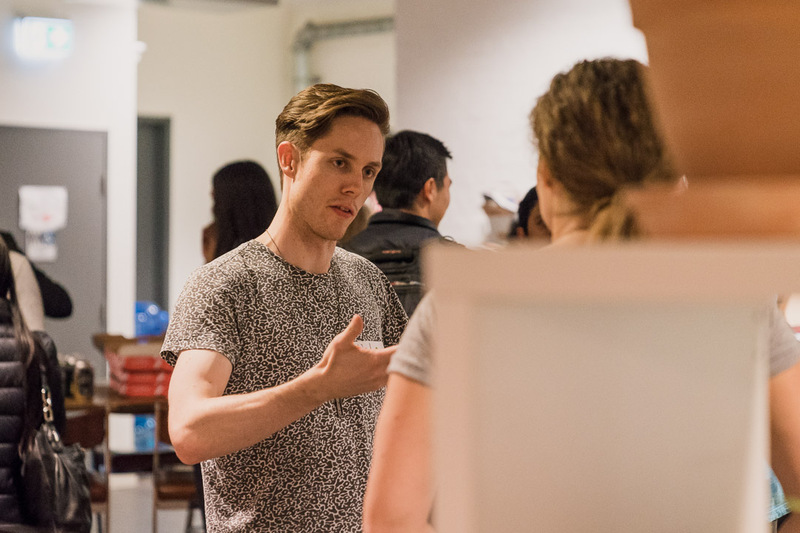 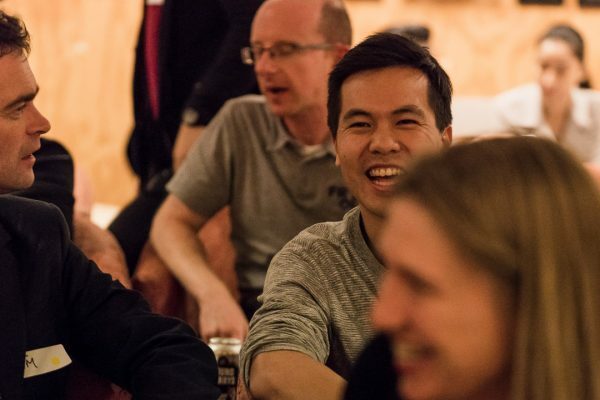 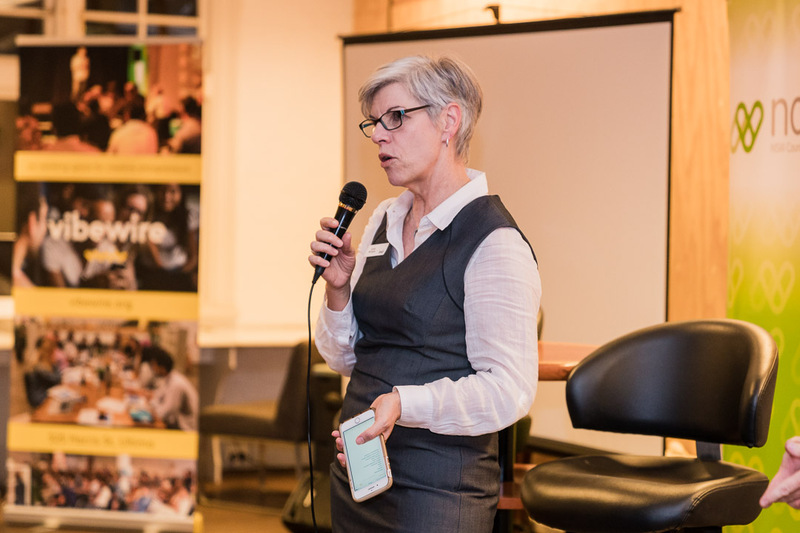 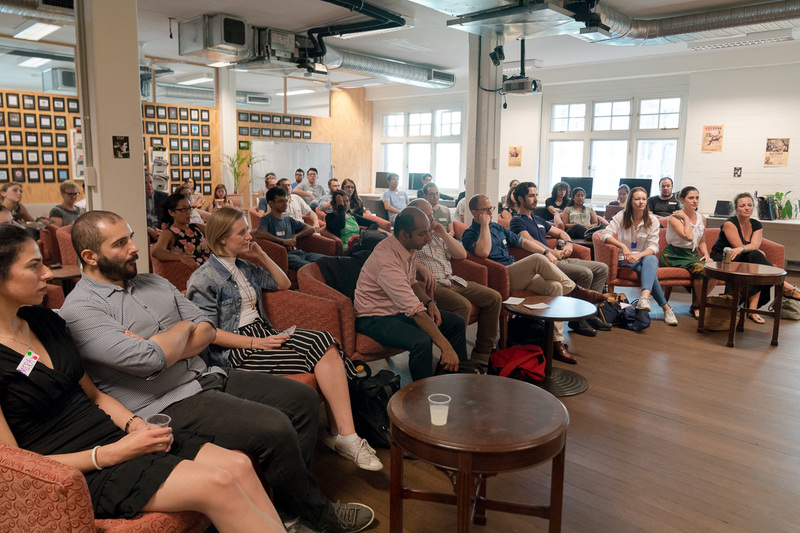 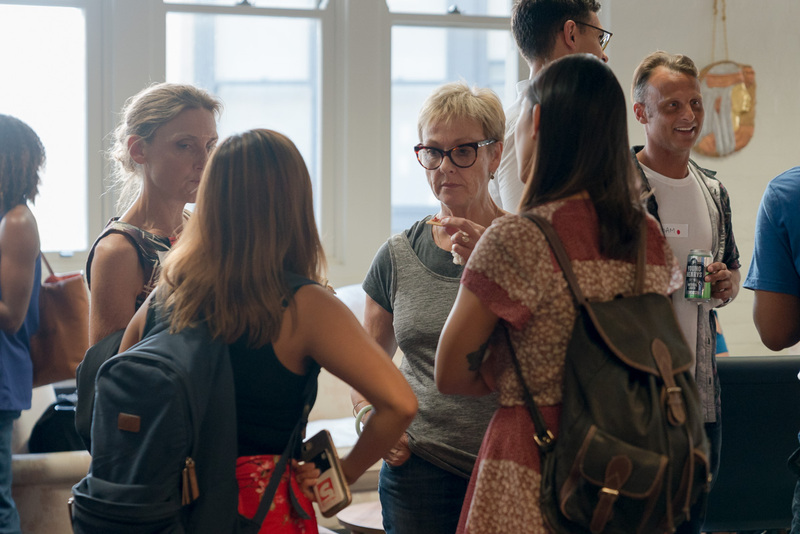 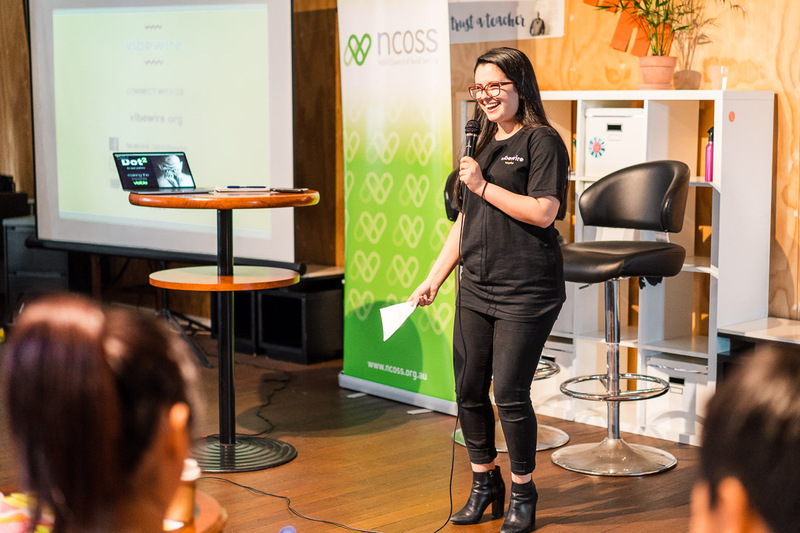 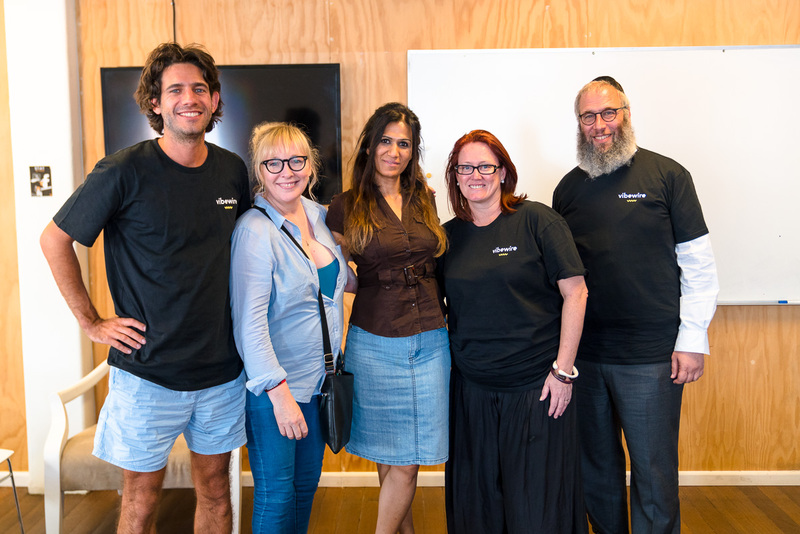 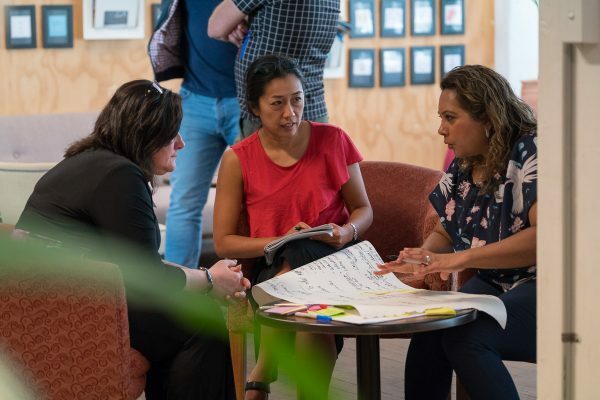 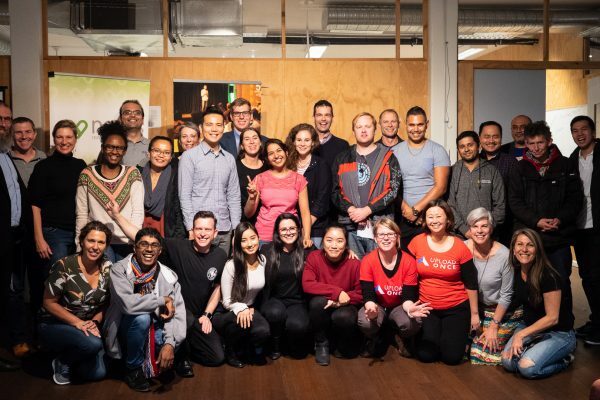 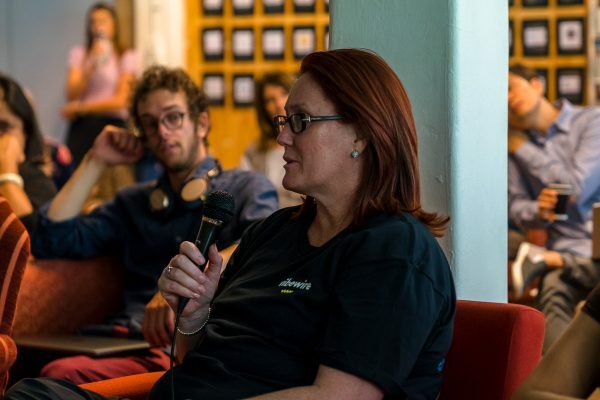 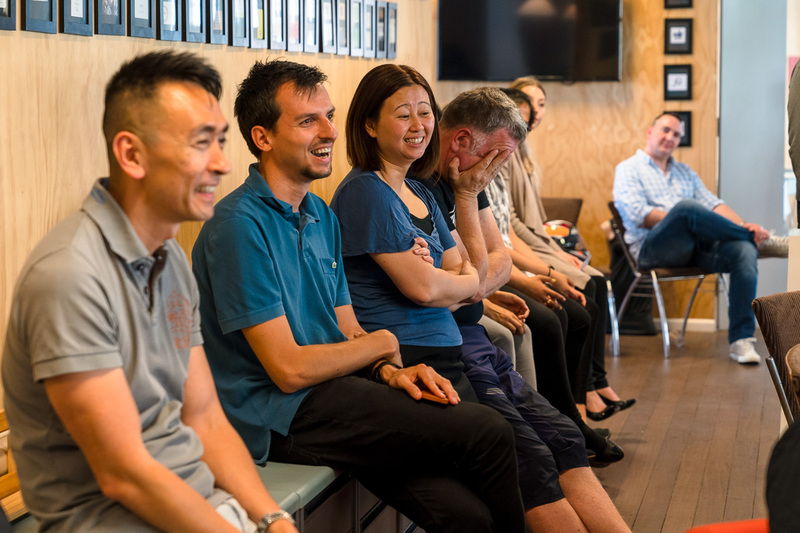 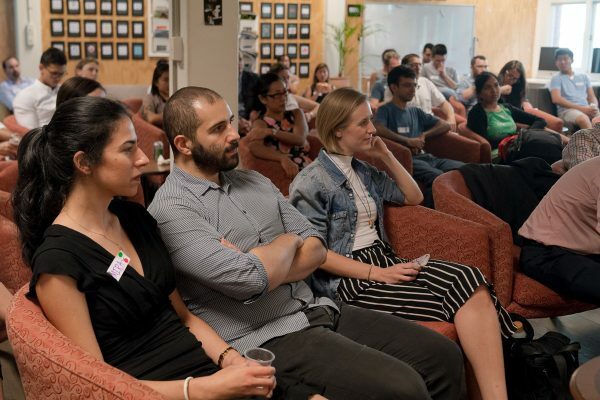 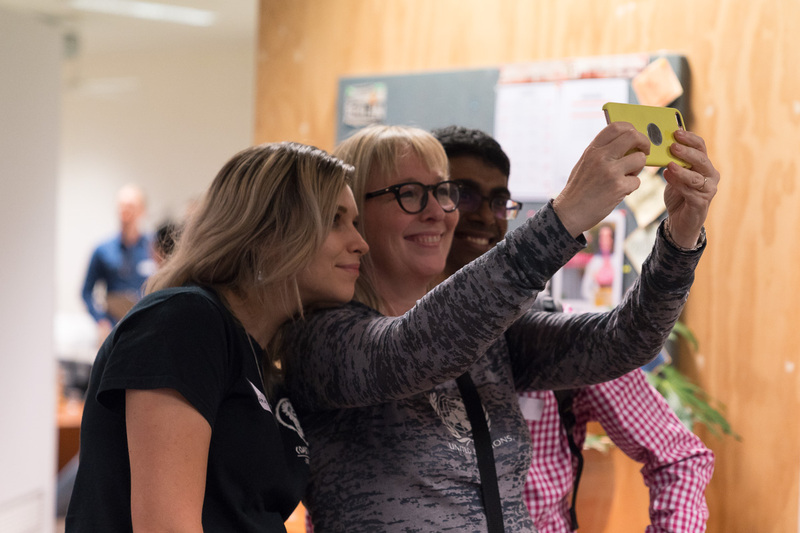 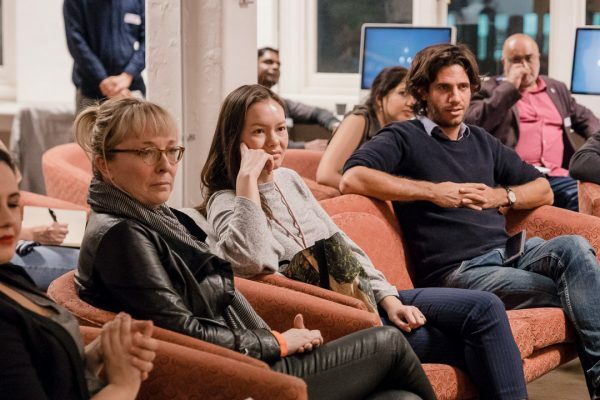 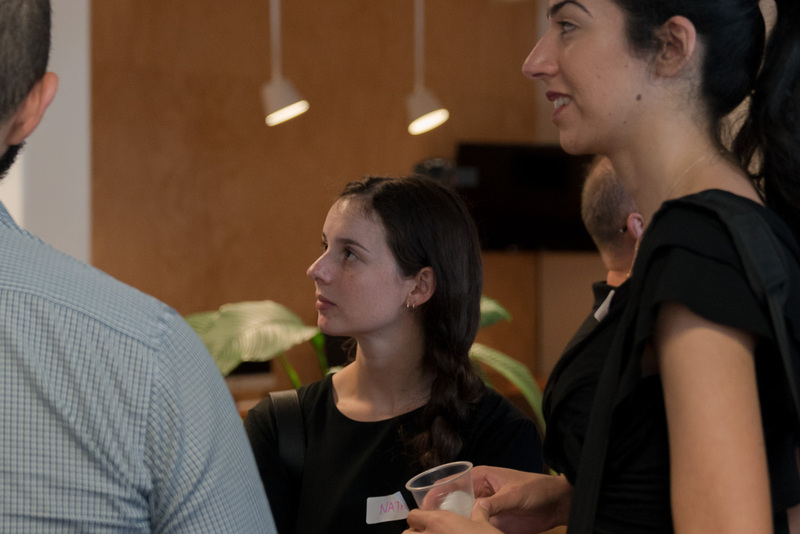 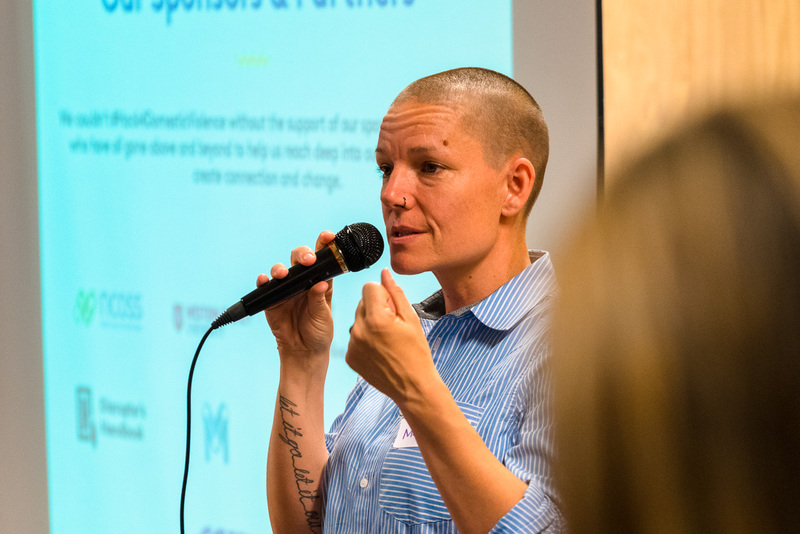 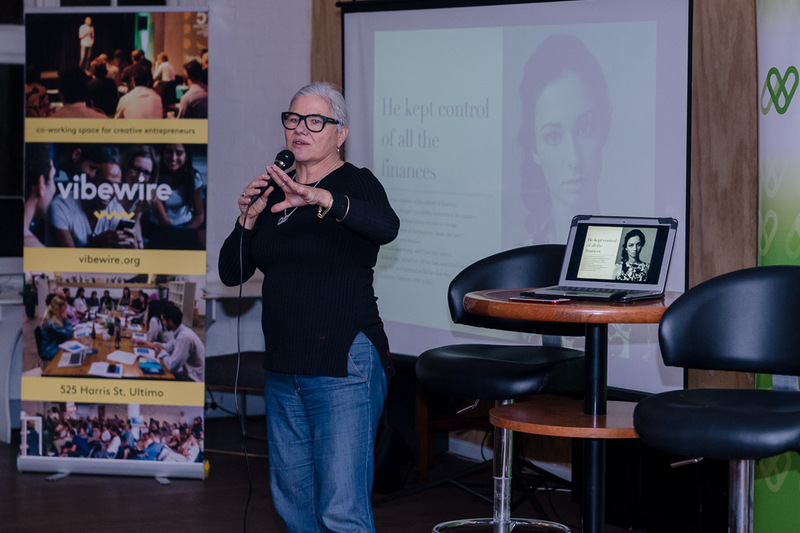 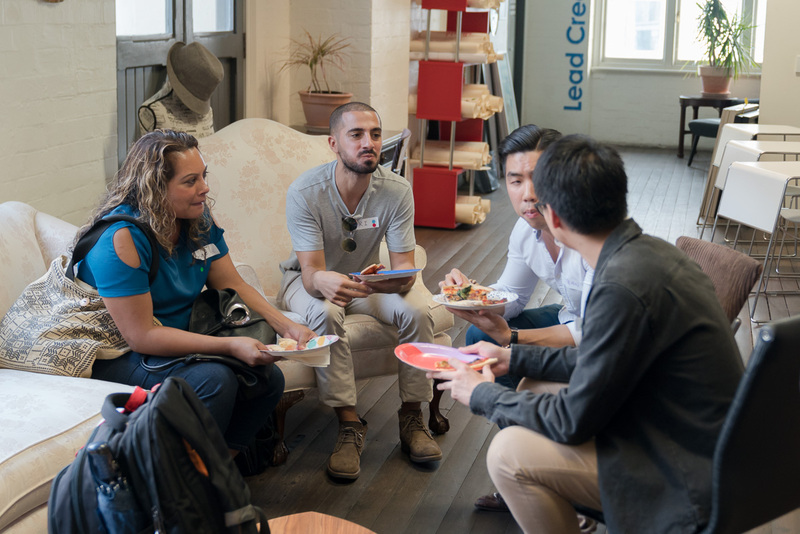 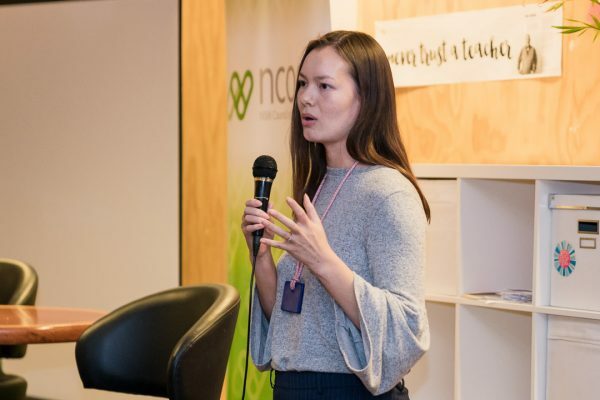 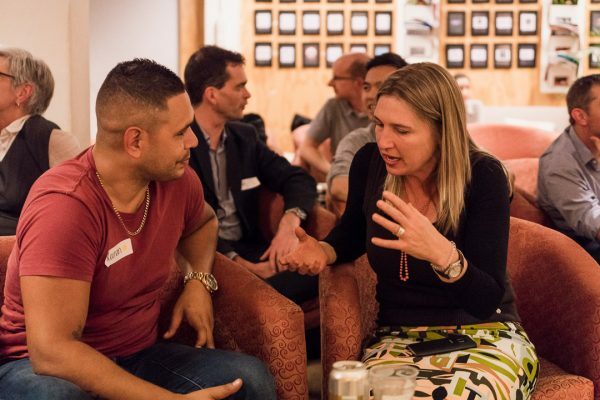 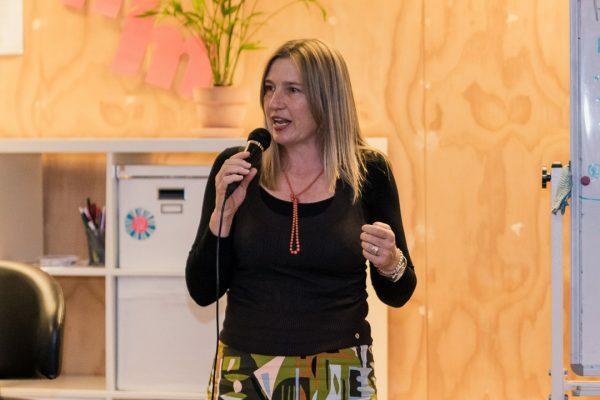 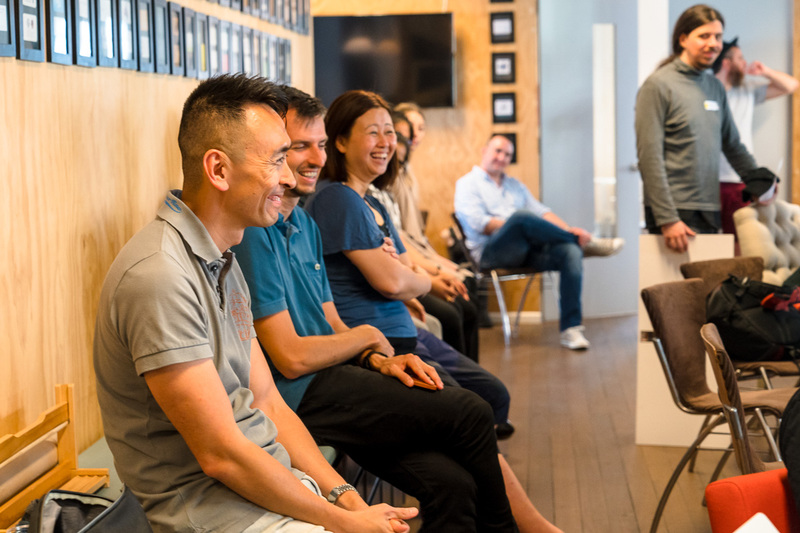 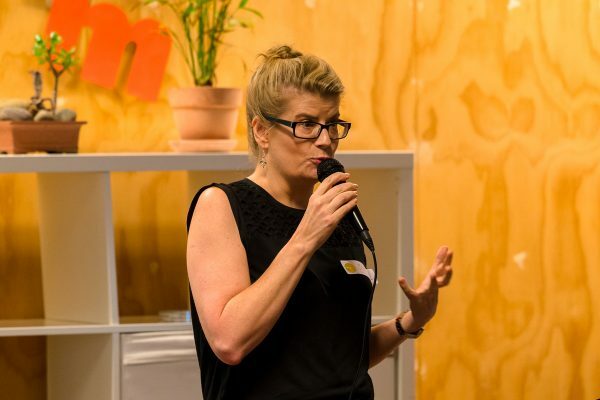 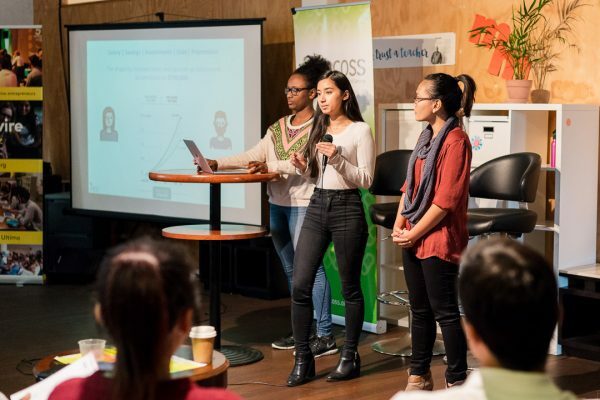 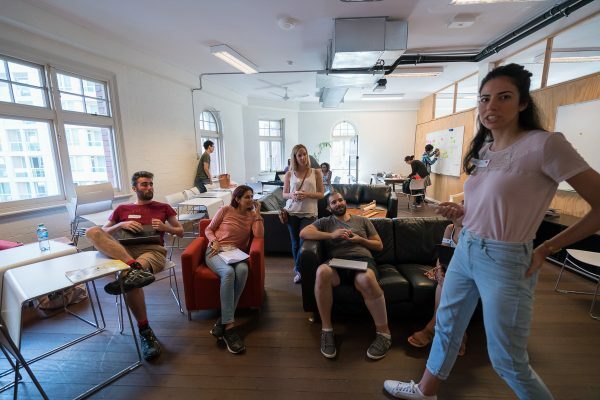 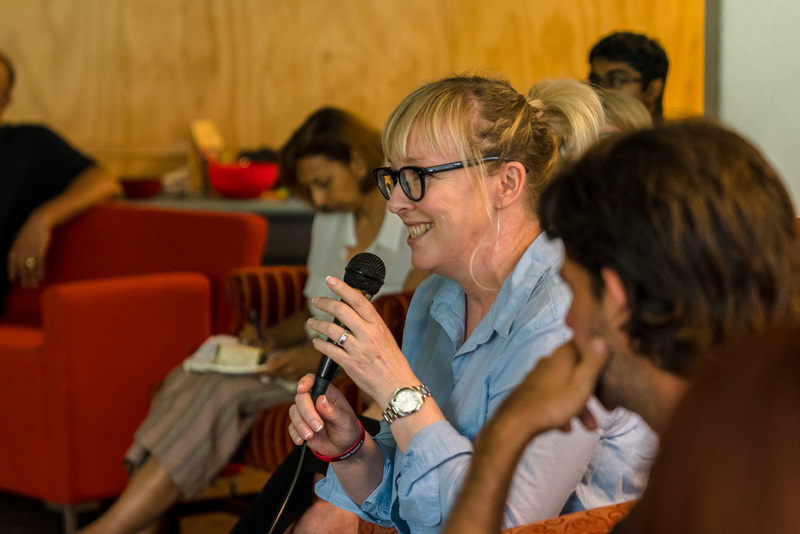 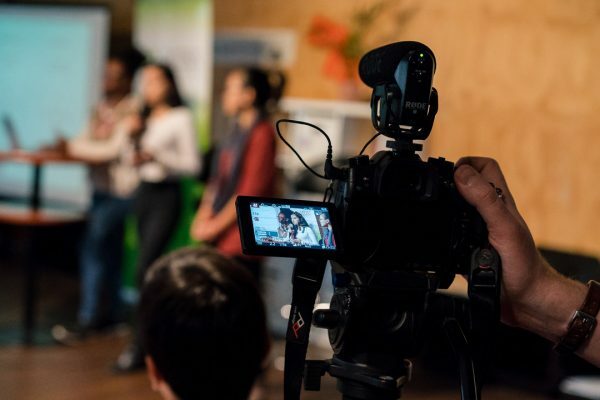 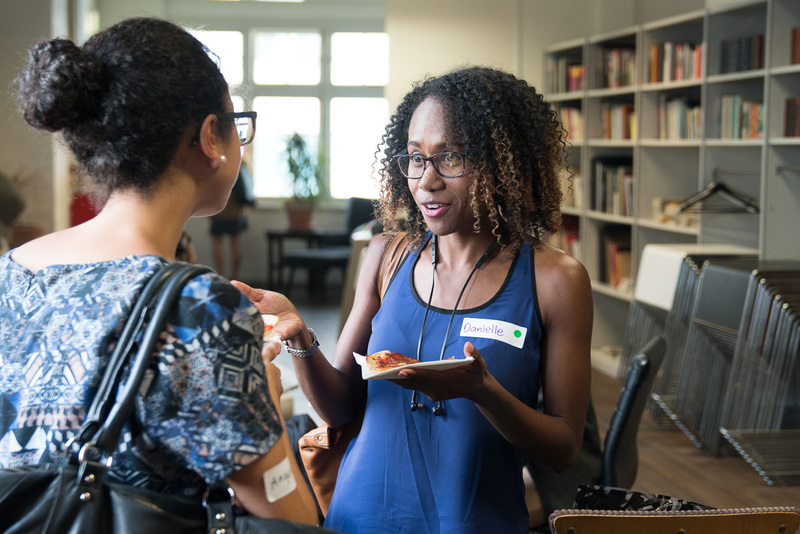 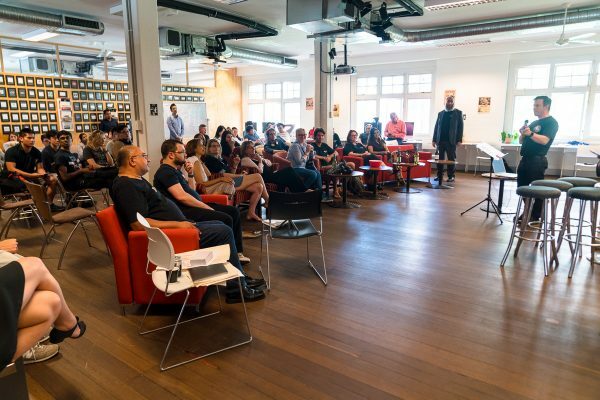 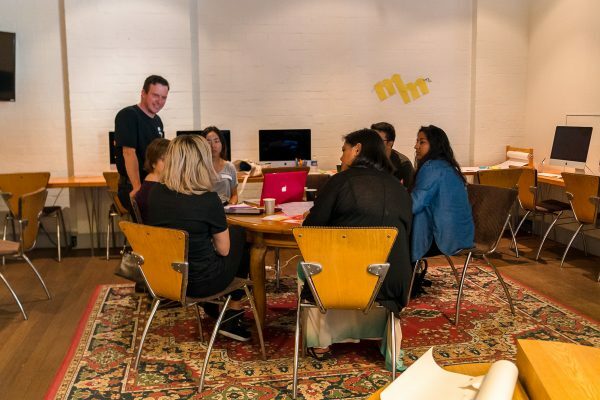 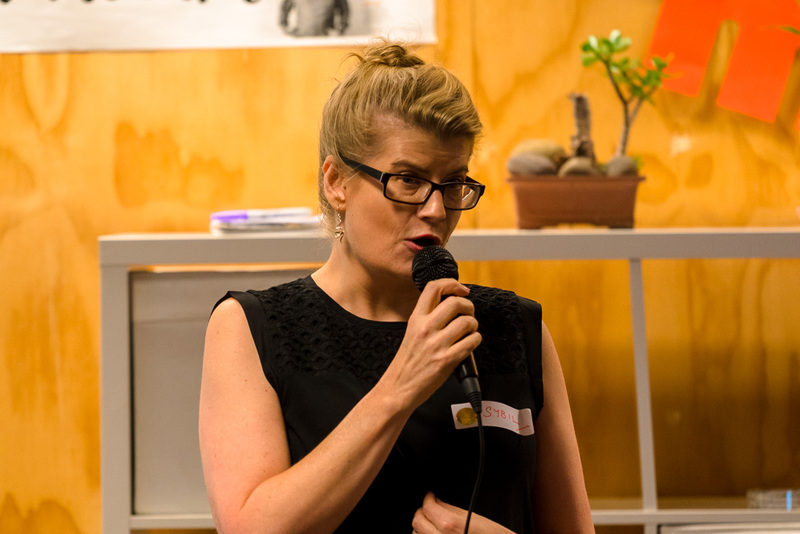 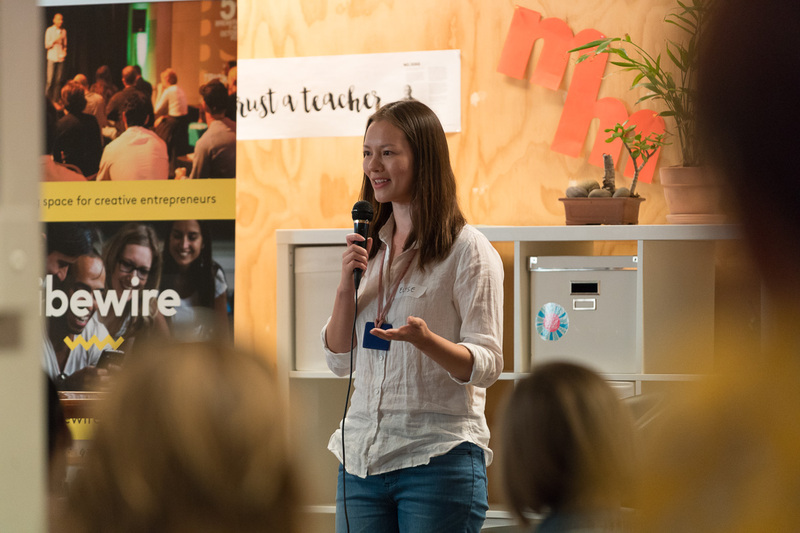 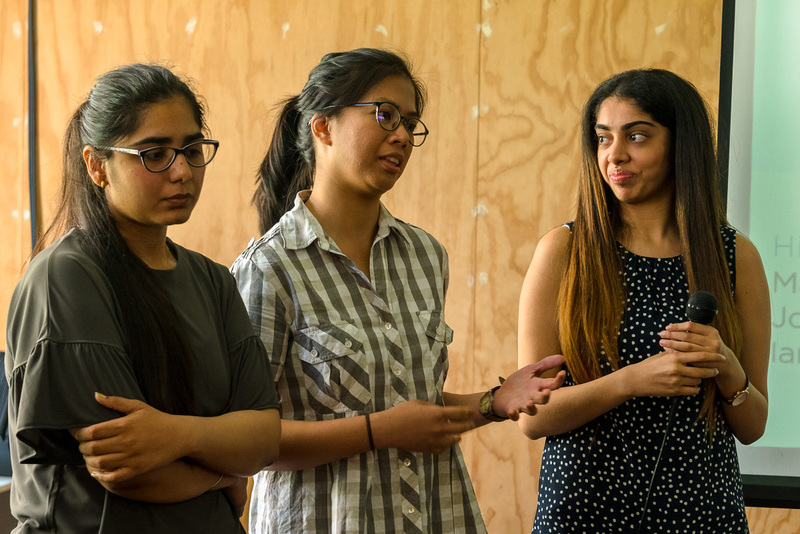 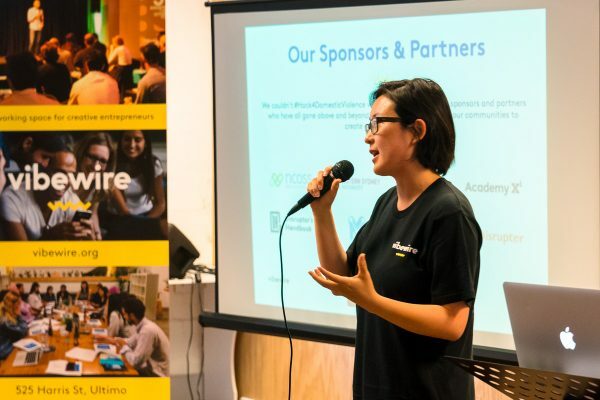 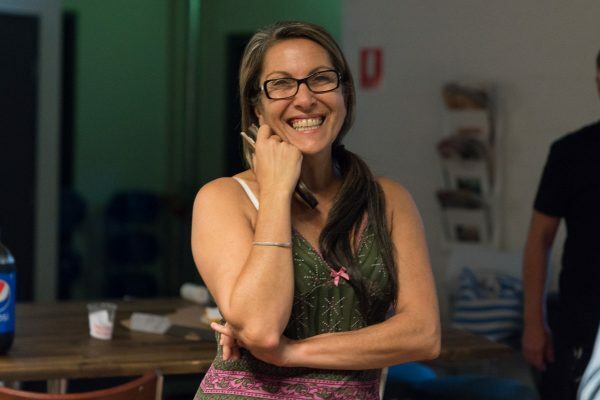 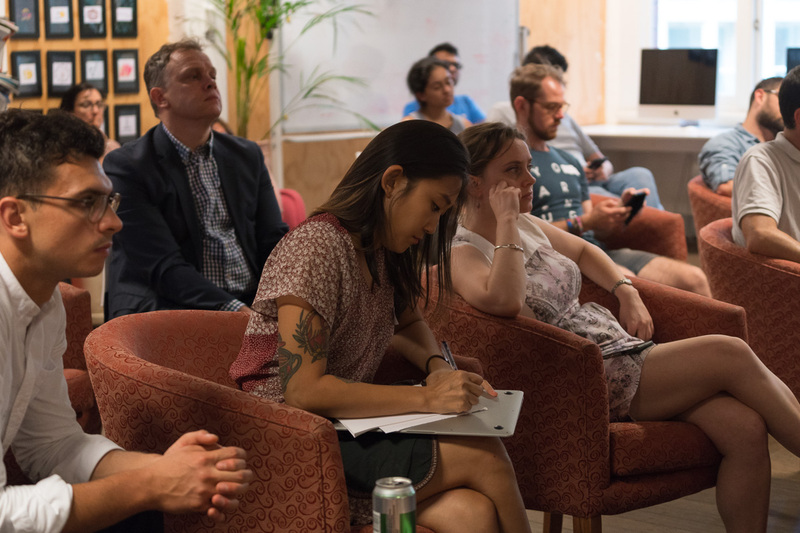 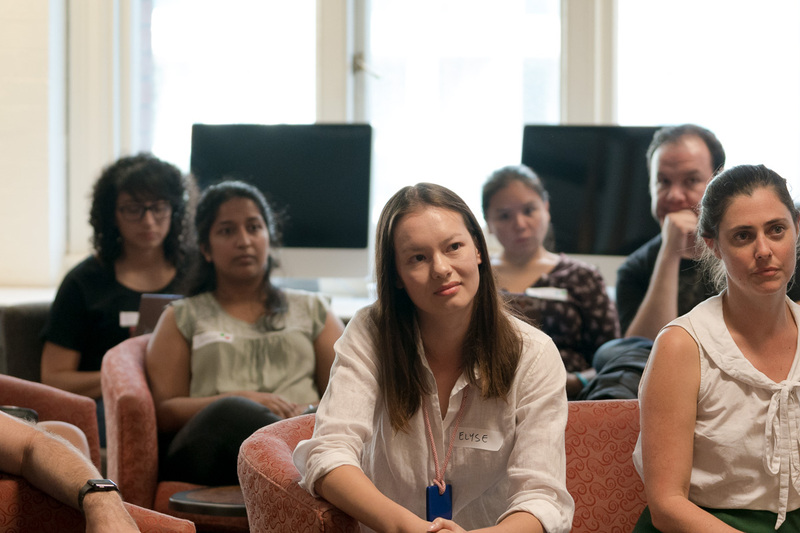 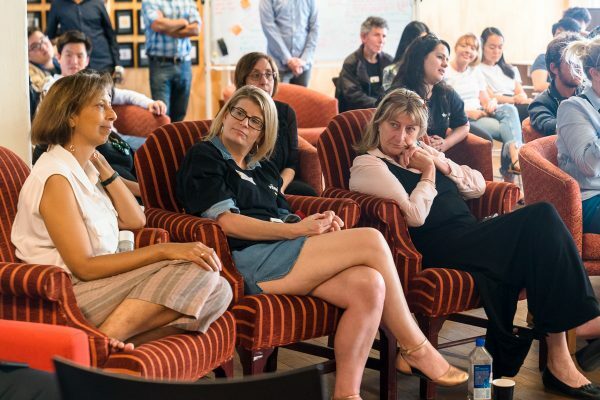 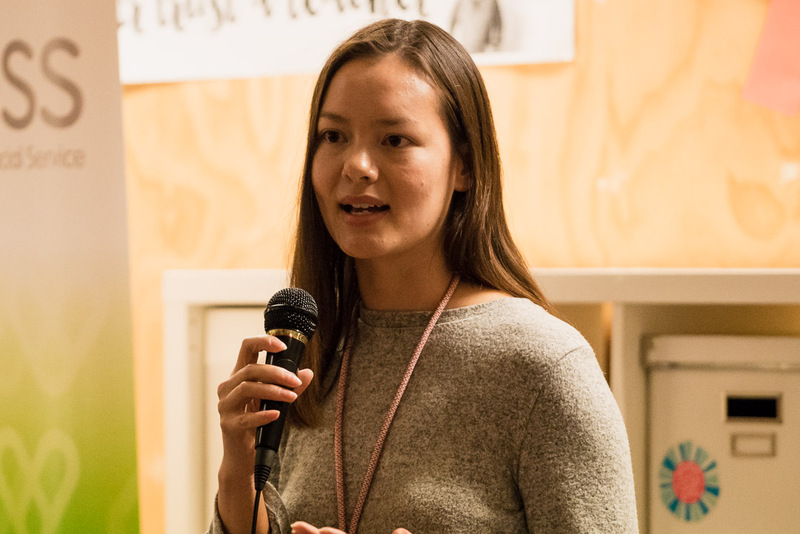 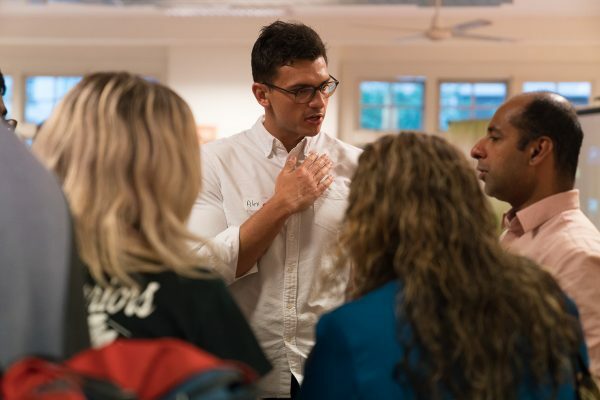 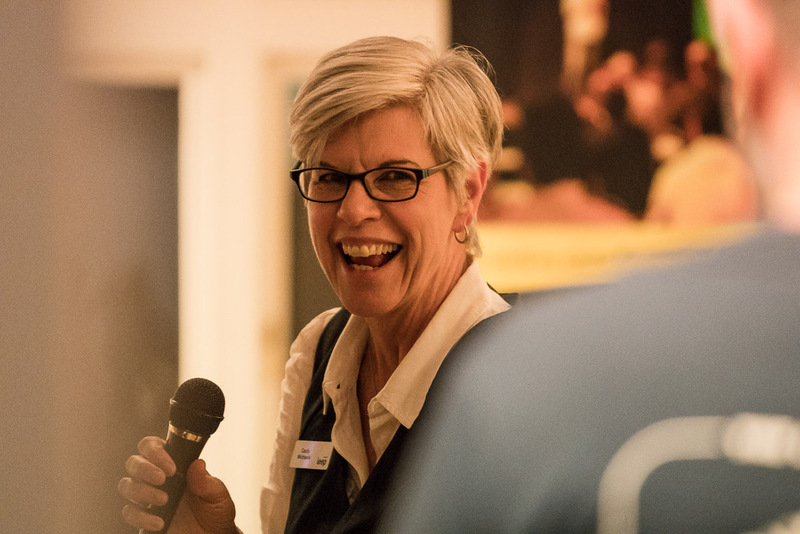 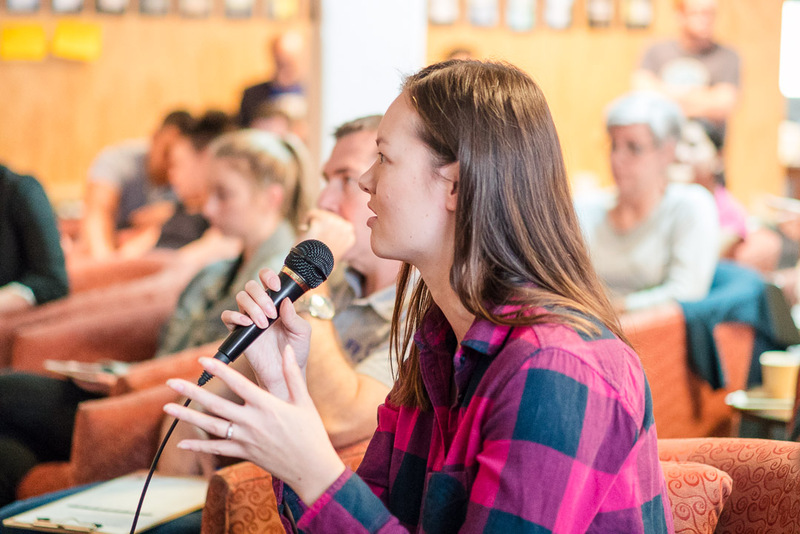 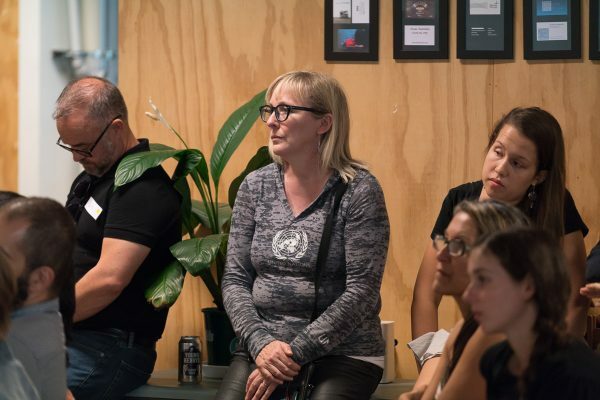 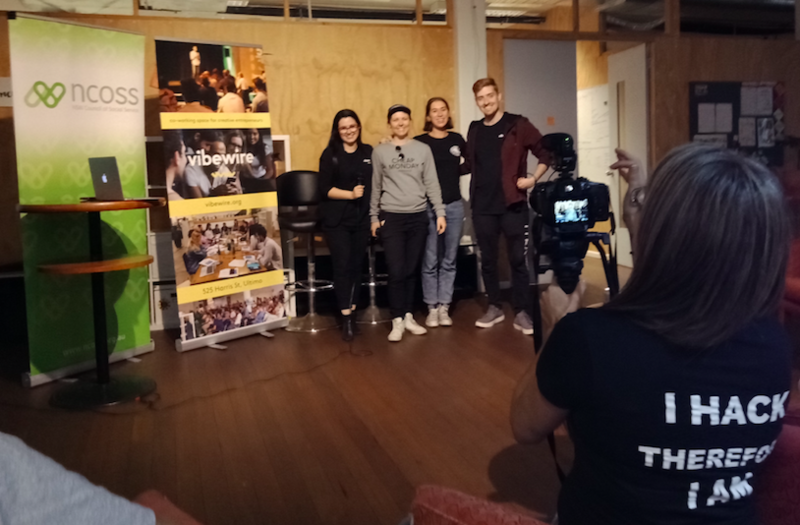 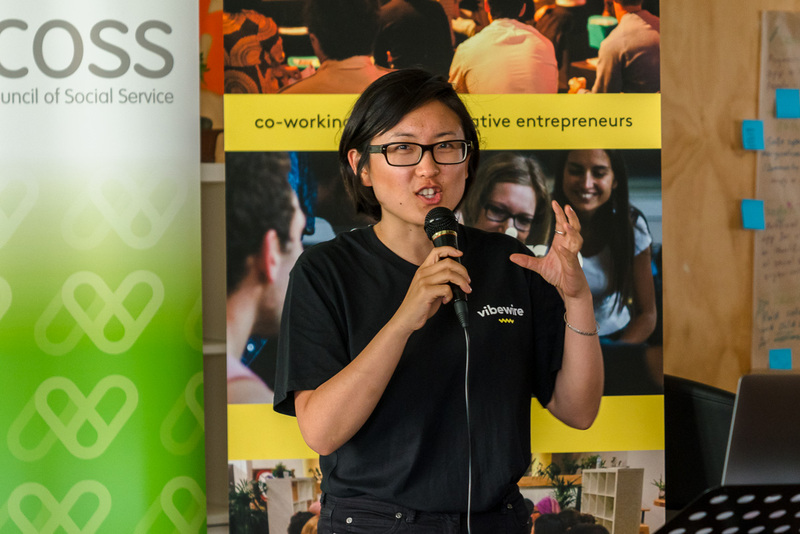 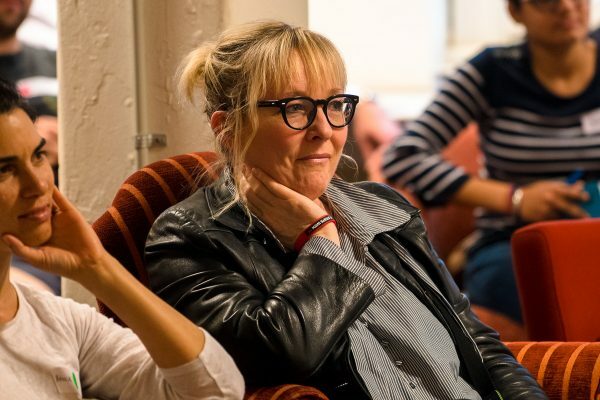 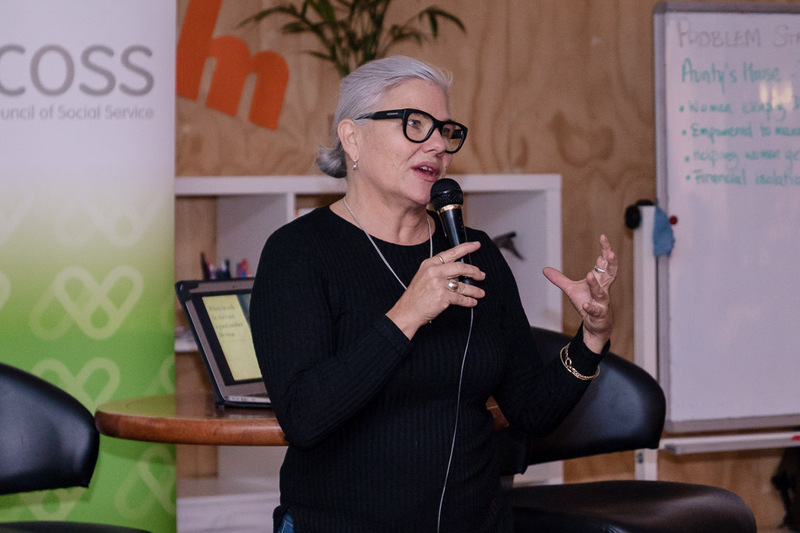 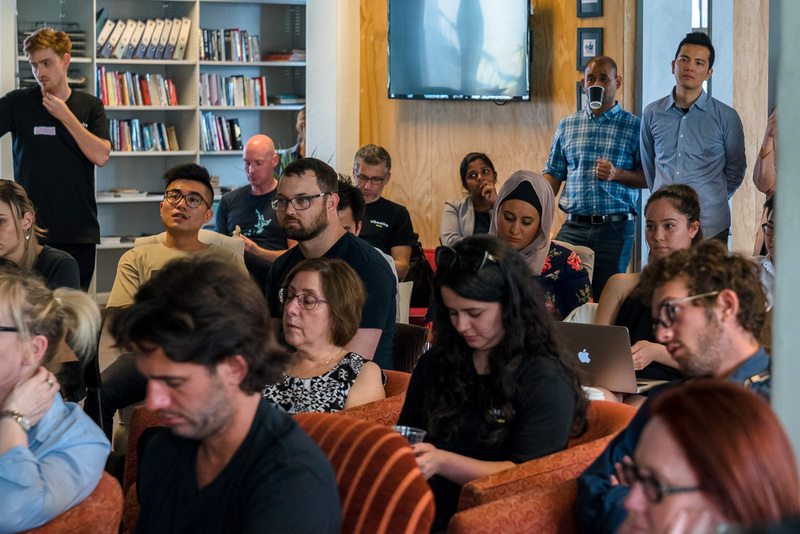 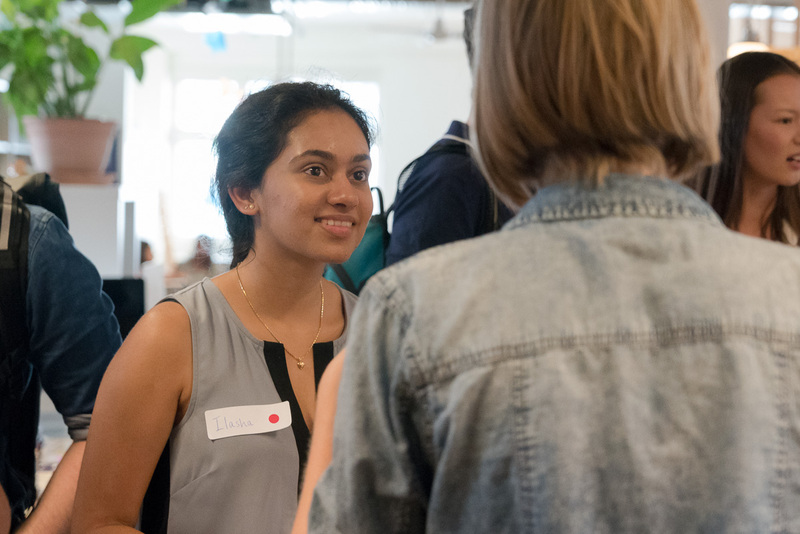 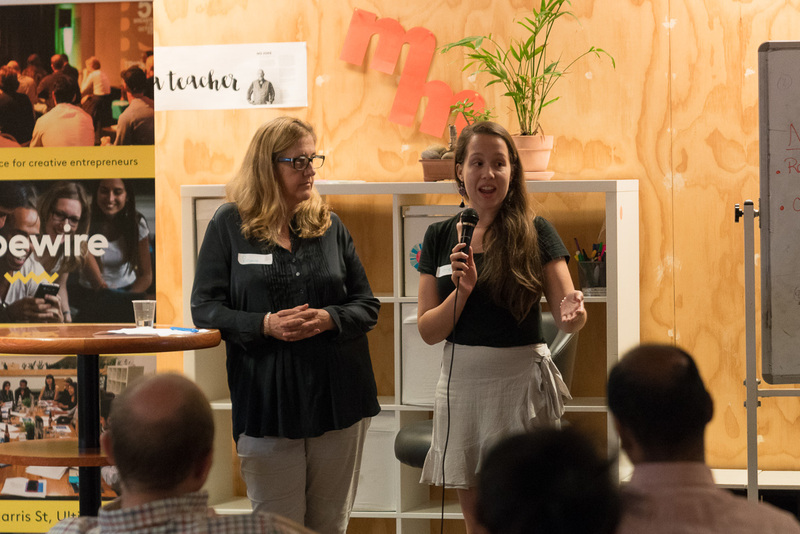 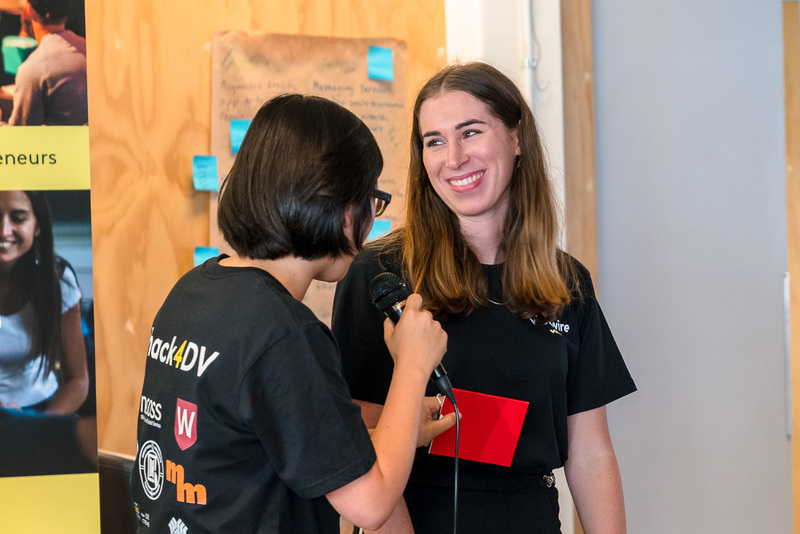 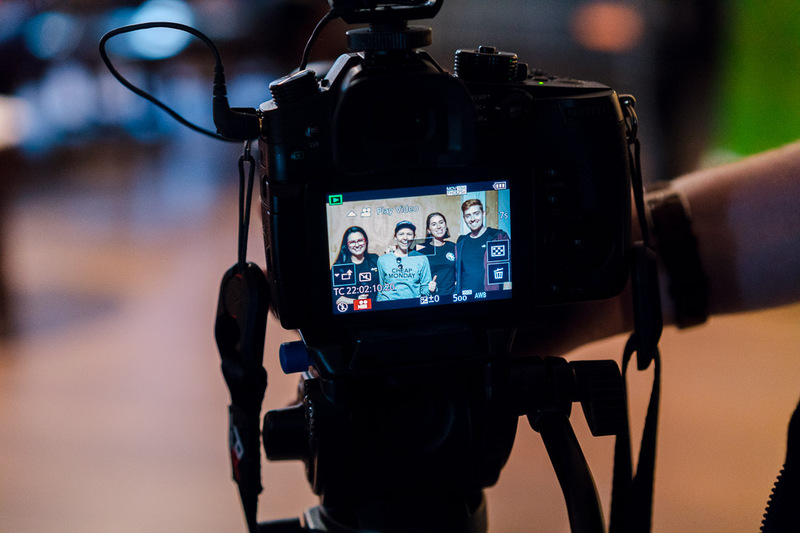 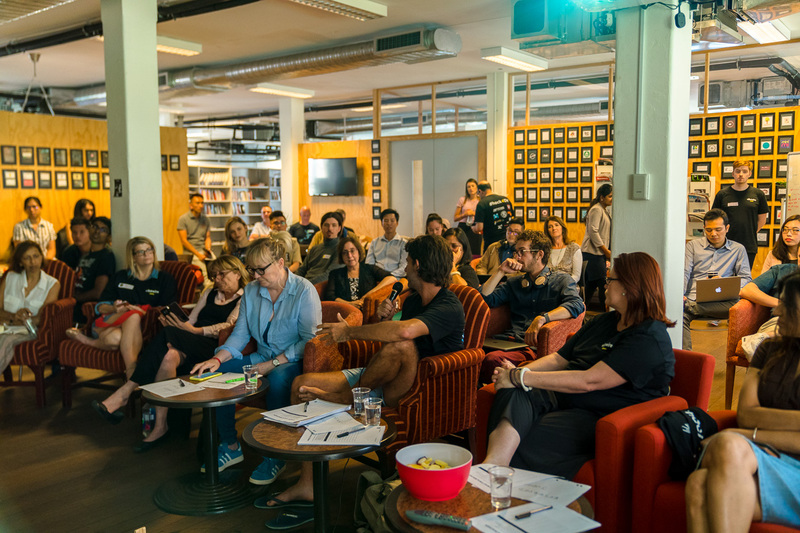 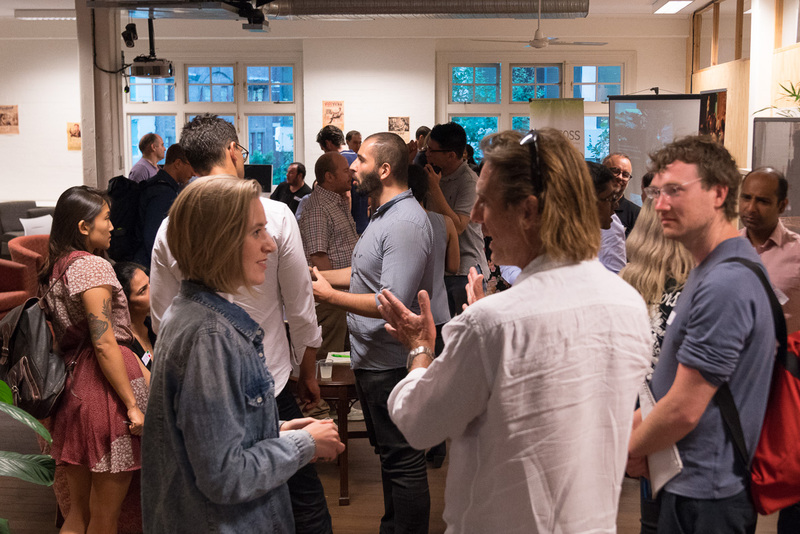 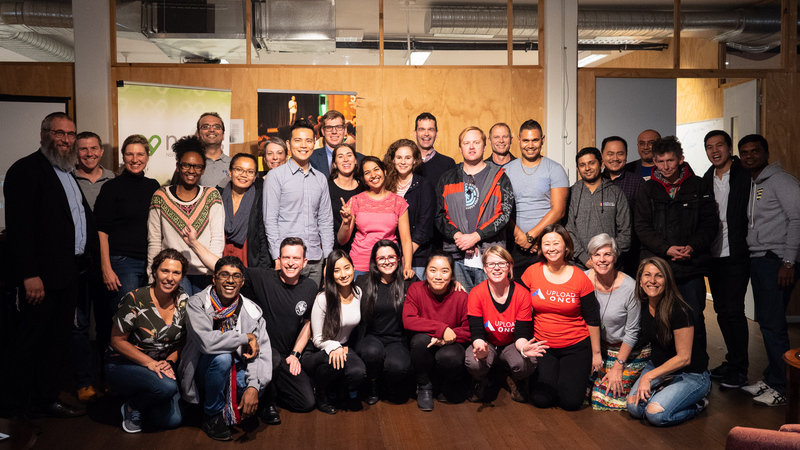 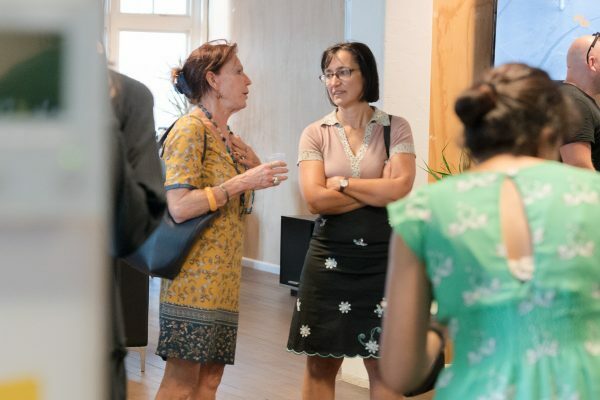 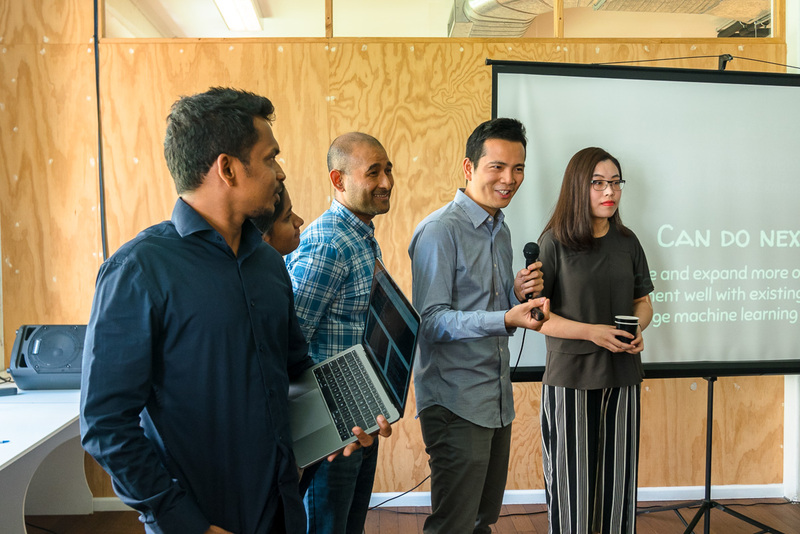 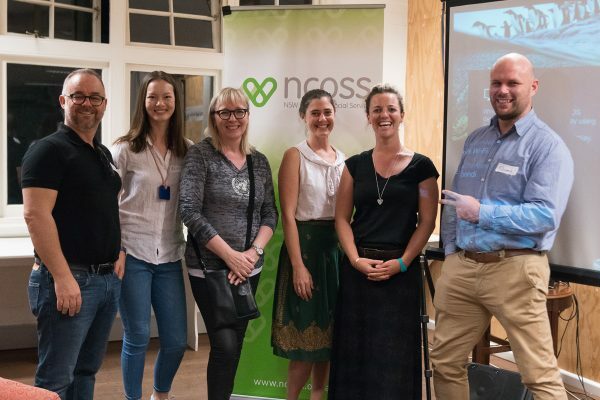 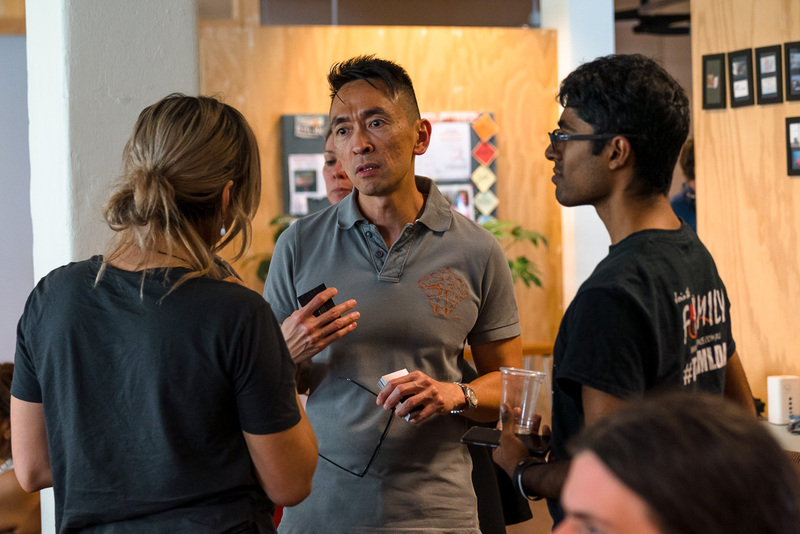 Collaborated with our wider tech/ creative arts community by running Geek Girl Dinners on how to negotiate change and our Vivid 2017 Program – Pitch The Future where we had 4 national finalists pitch their businesses on how to make technology more human. 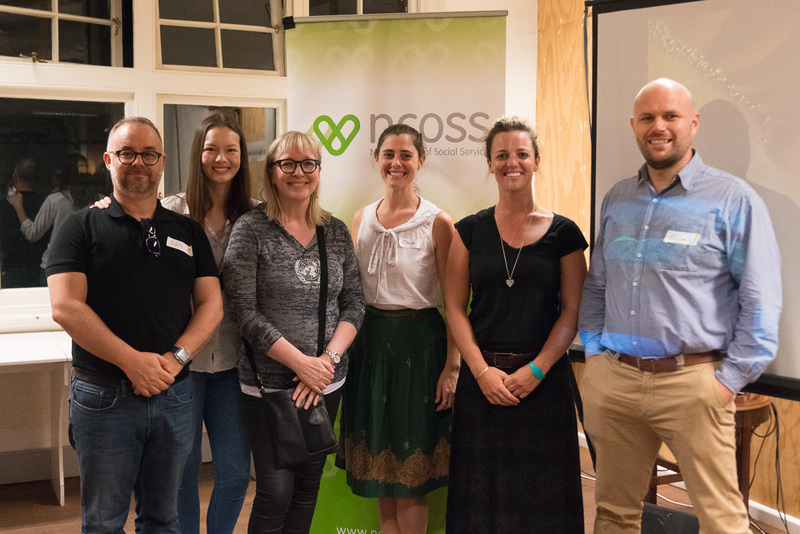 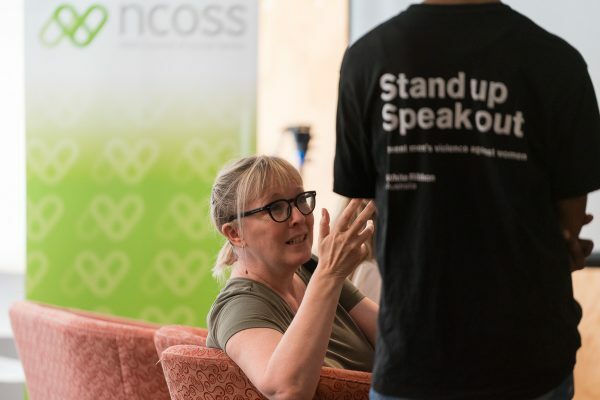 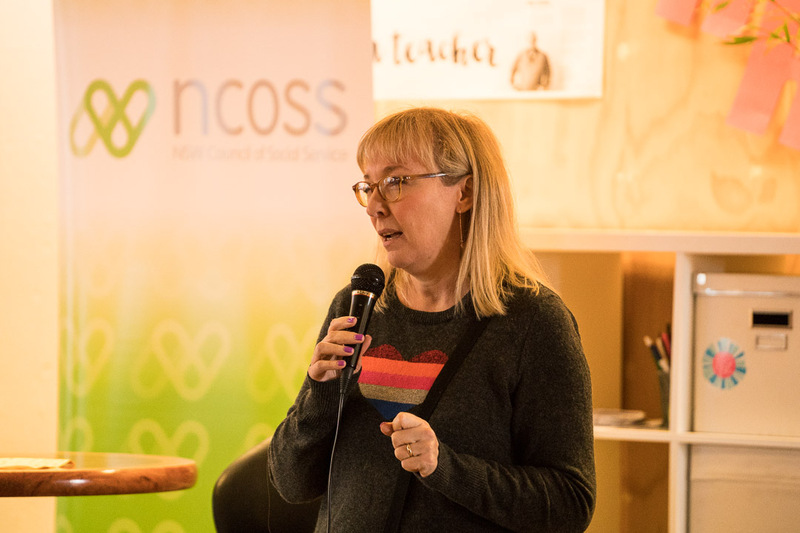 Thank you to all our Community; Partners; the Board – Gavin Heaton, Leya Reid, Anne-Marie Elias; my wonderful Team – Shannon Bourke, Rowan Devereux and Sophie Saville; and my partner SOAPBOX Coach – Neil Gomez. 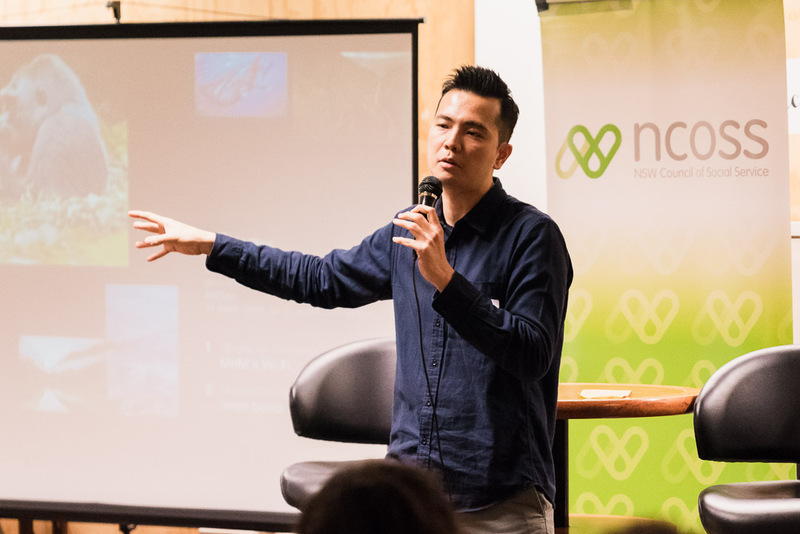 Without your energy and hard work, ideas just stay ideas. 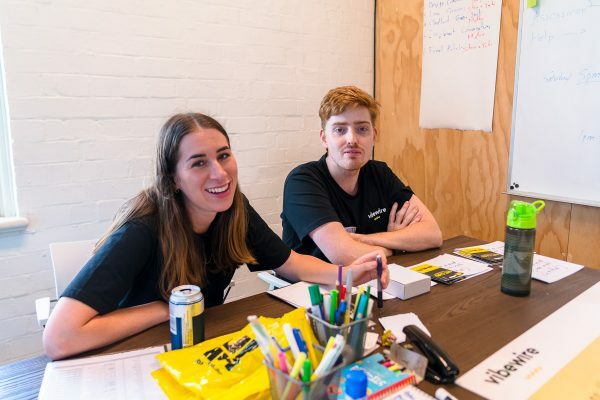 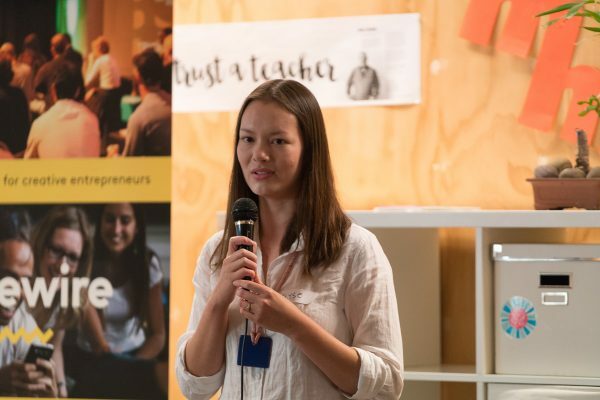 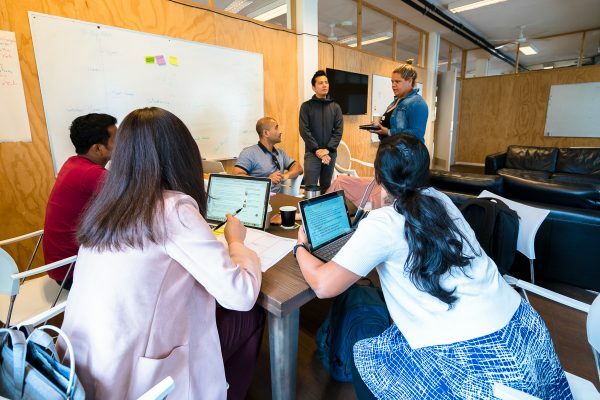 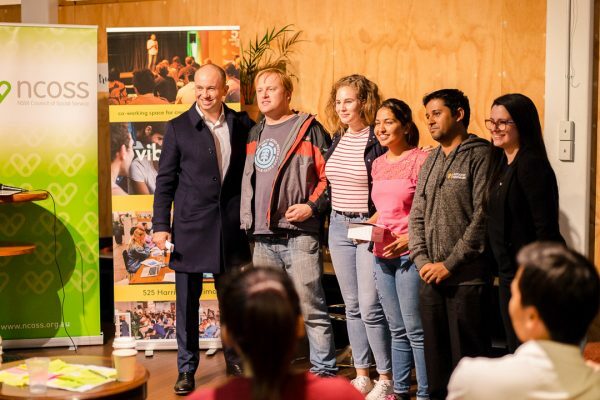 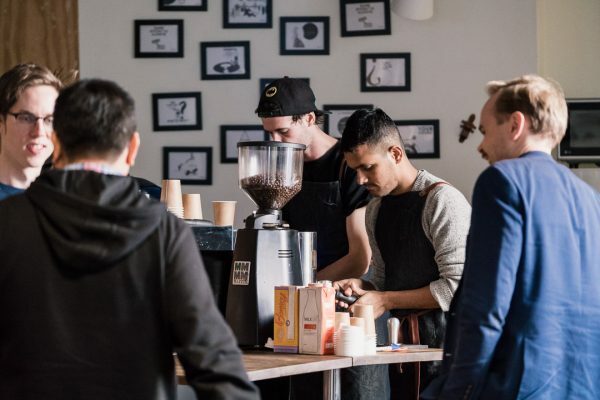 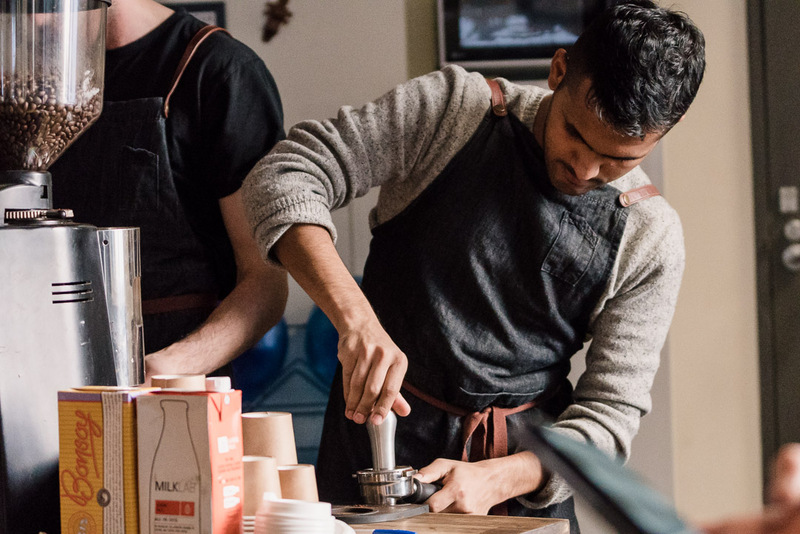 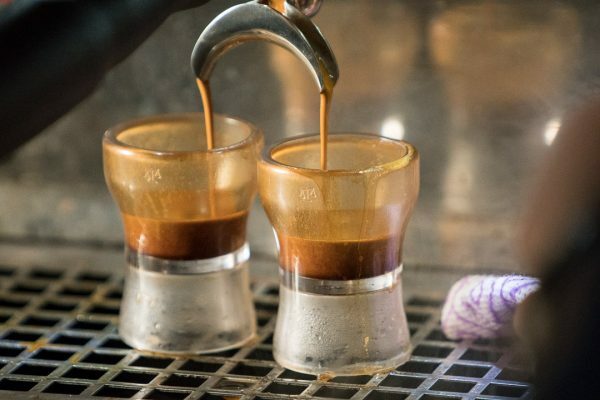 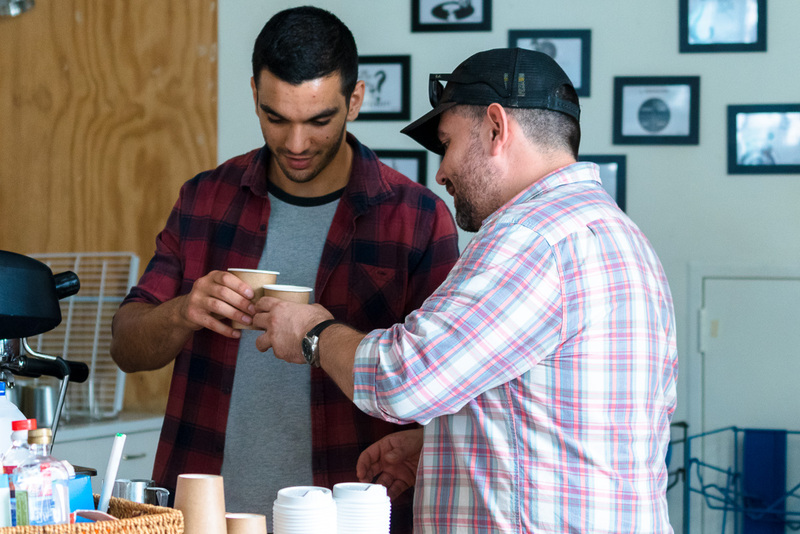 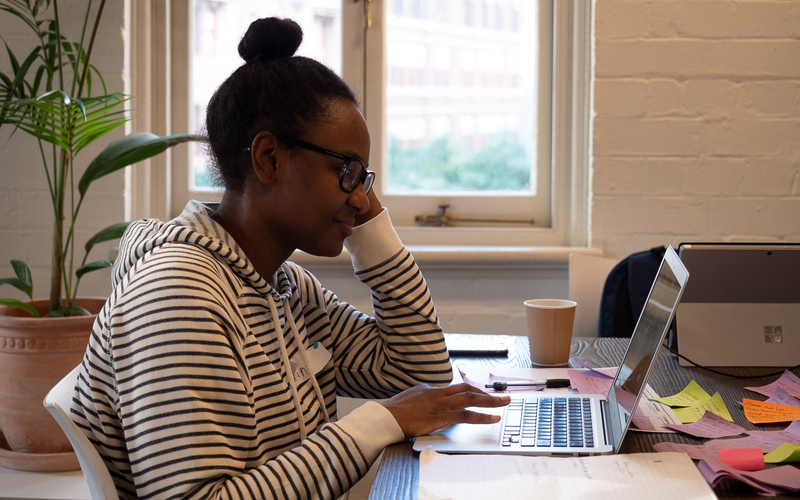 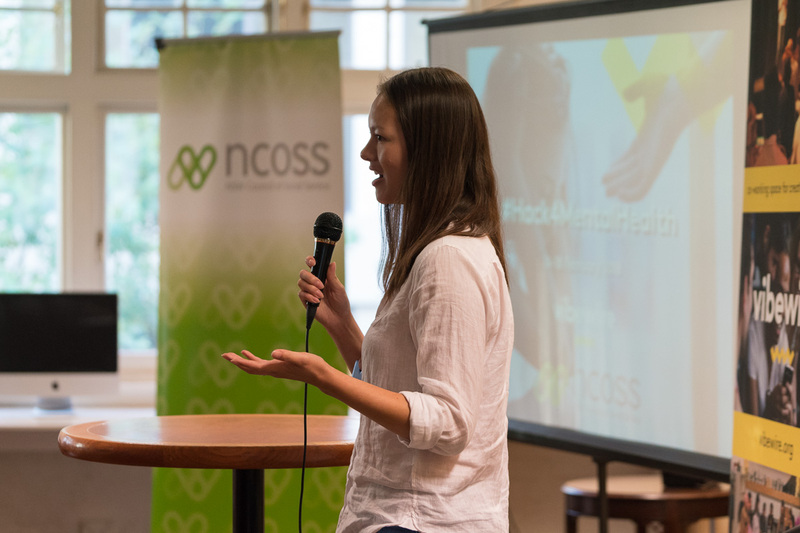 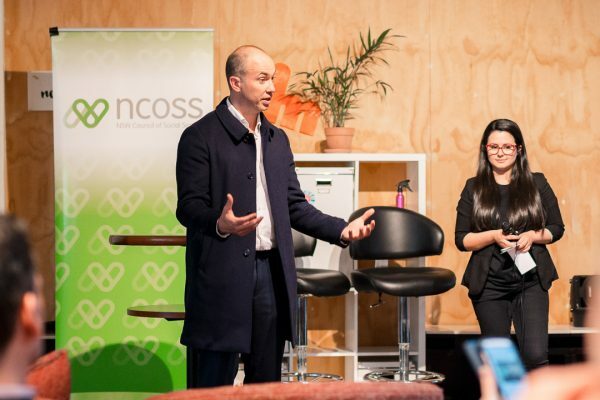 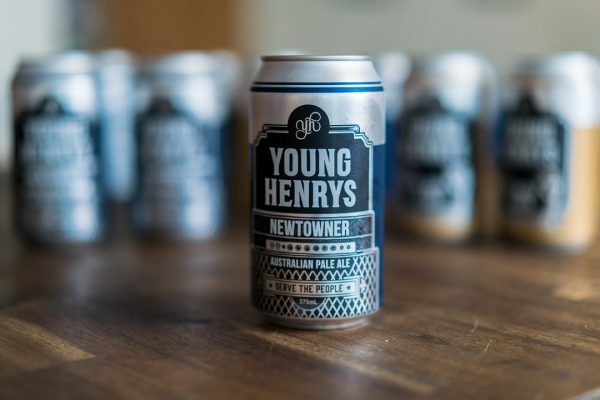 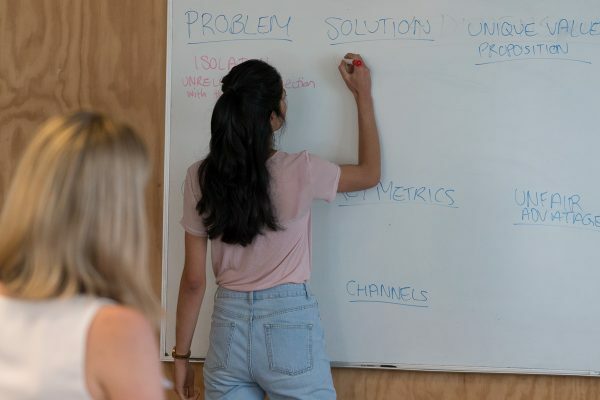 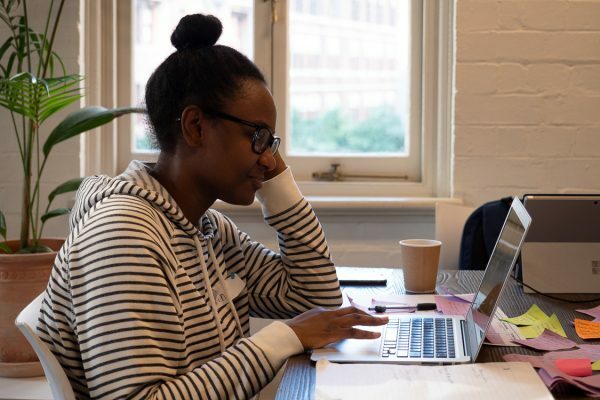 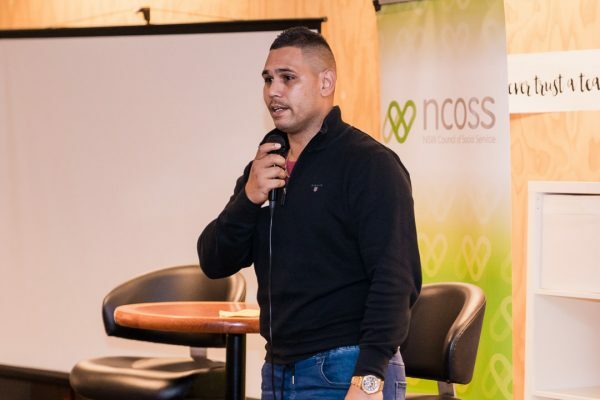 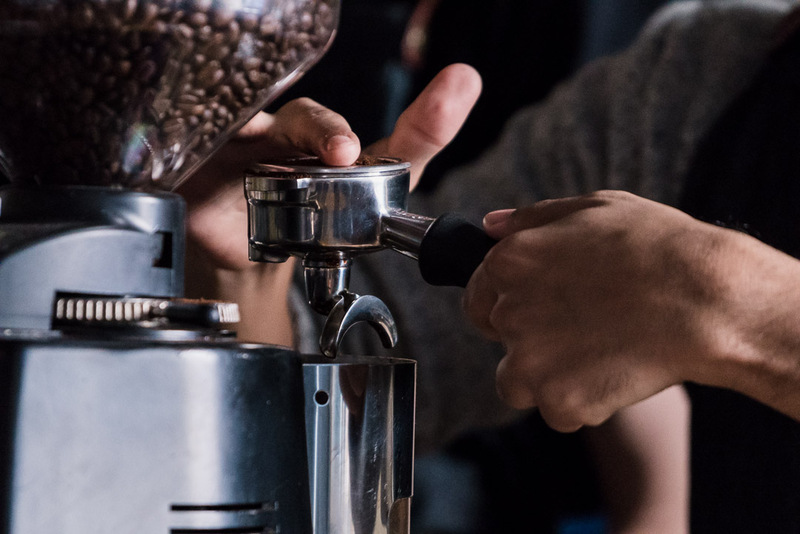 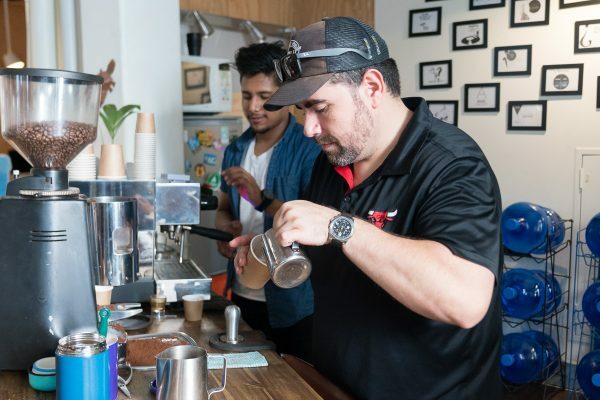 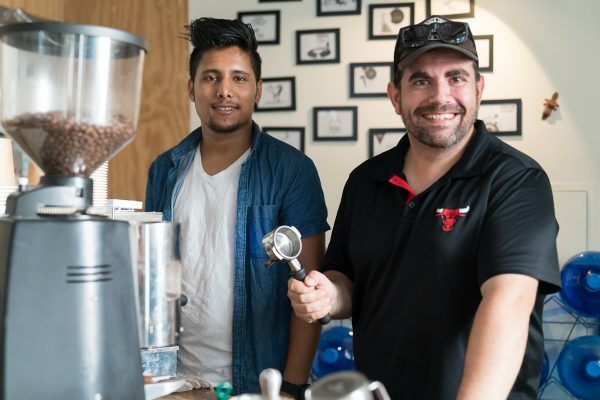 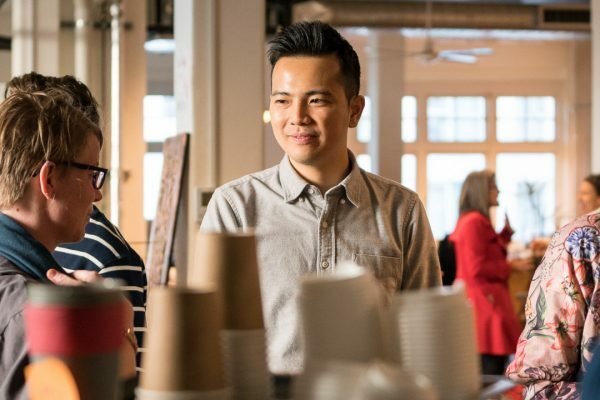 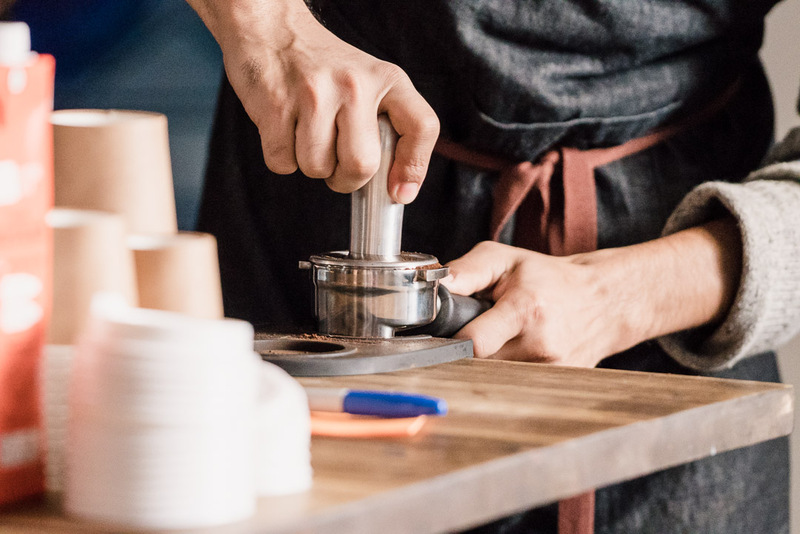 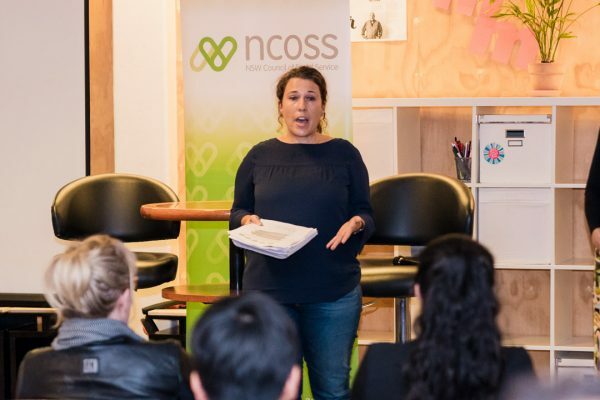 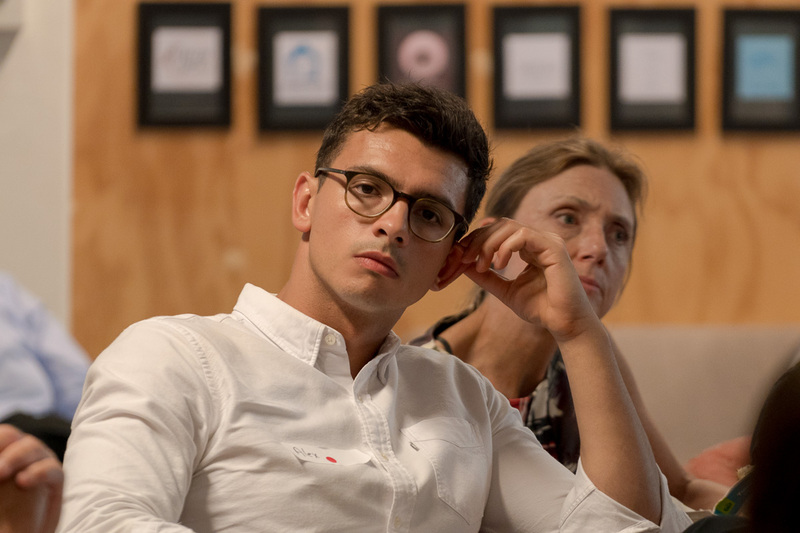 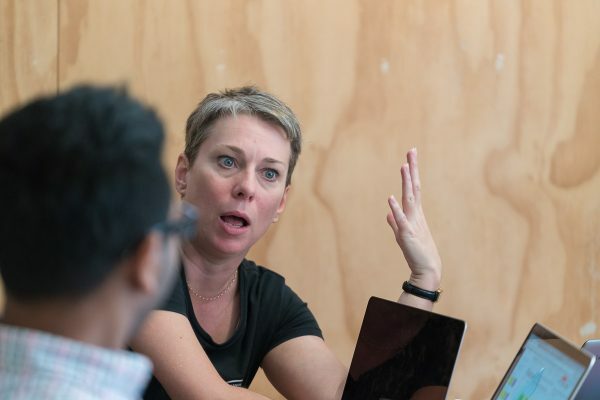 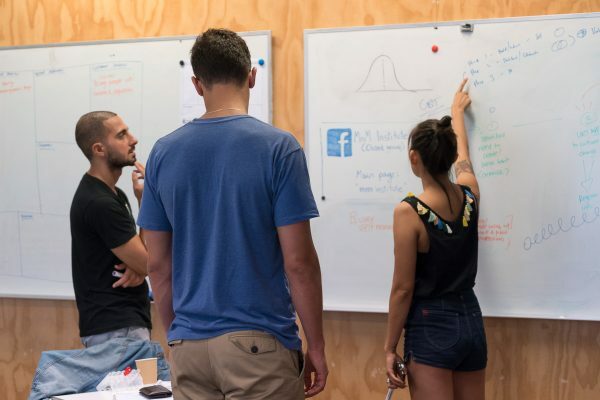 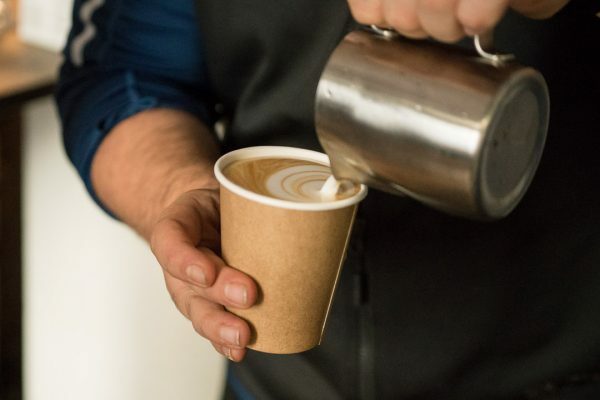 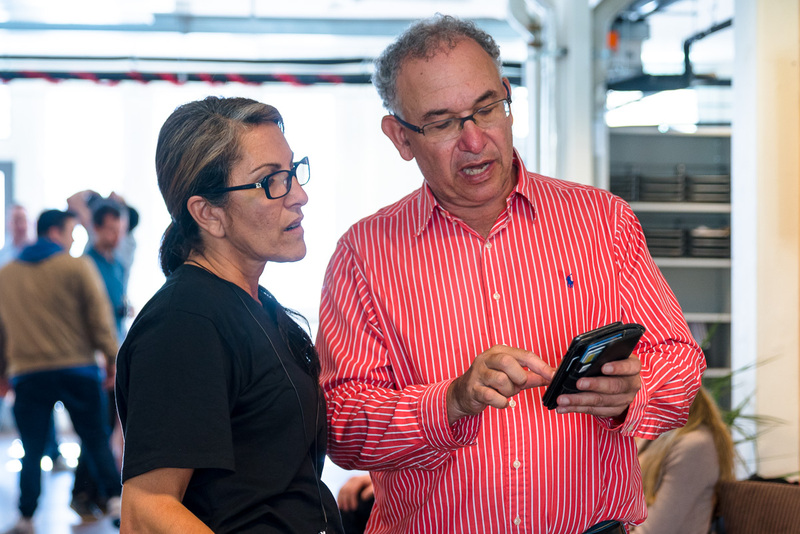 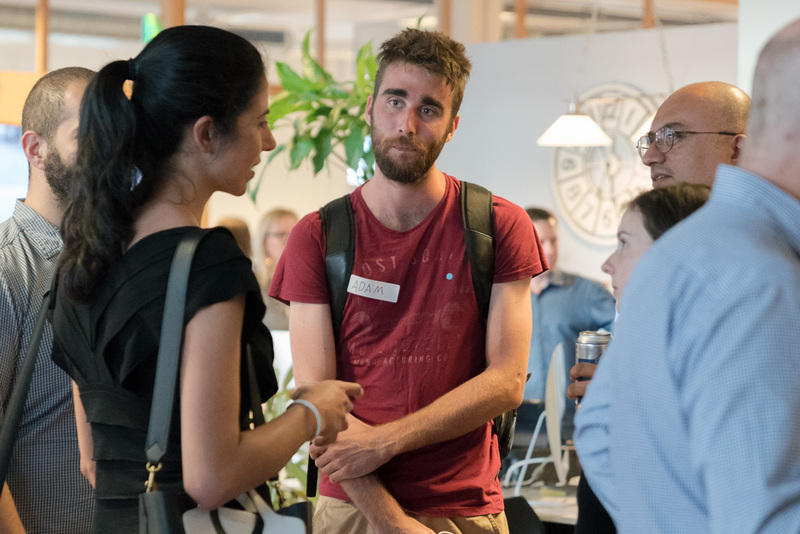 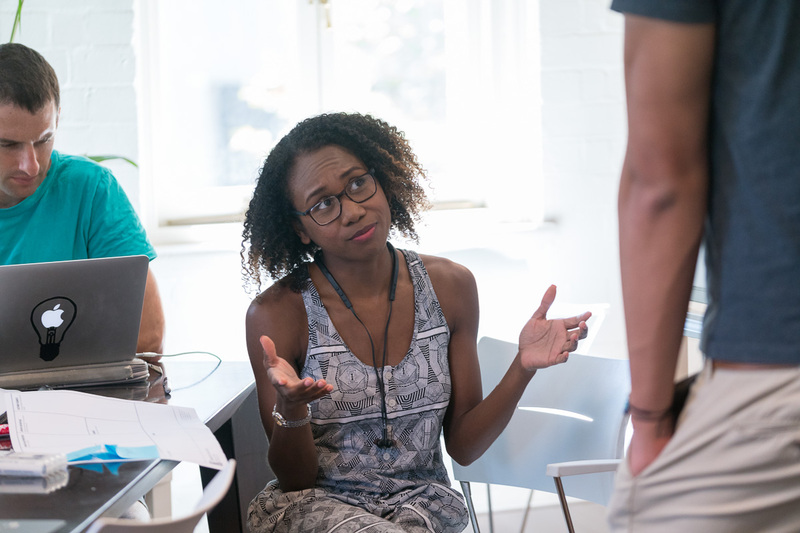 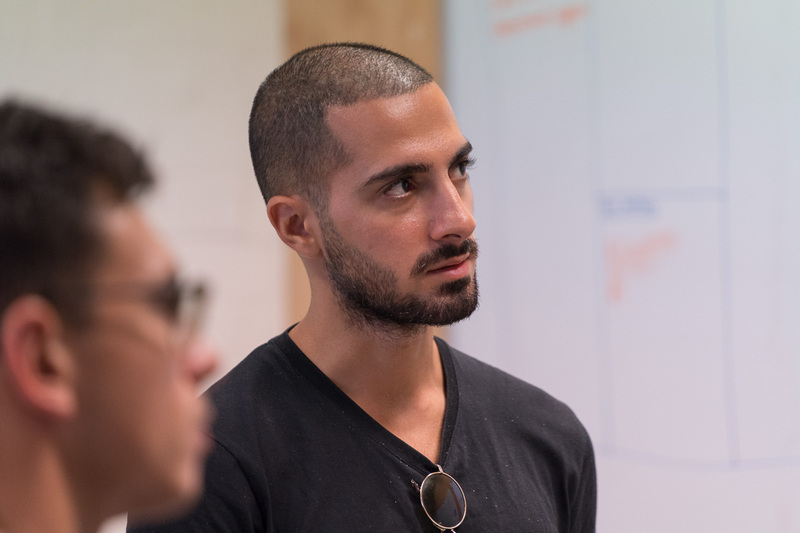 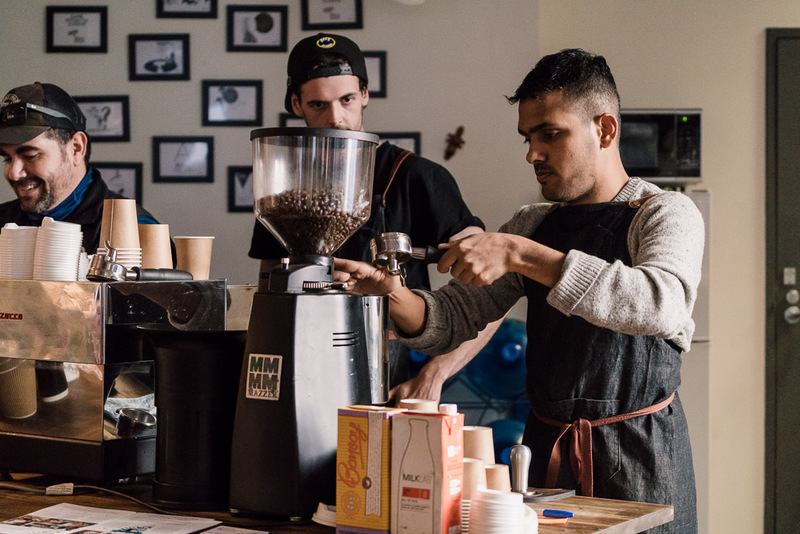 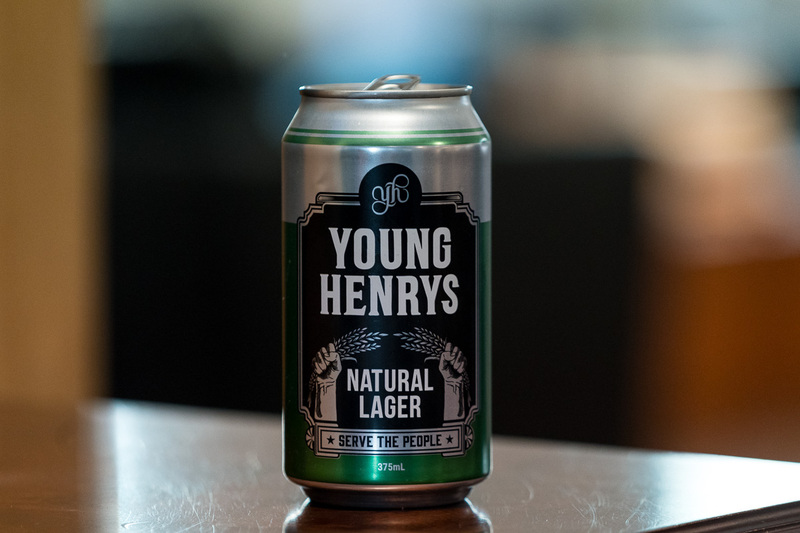 We’ve given young people a platform to fail fast and risk free, challenge their ability to enterprise and help solve for some of the most difficult social issues in Australia. 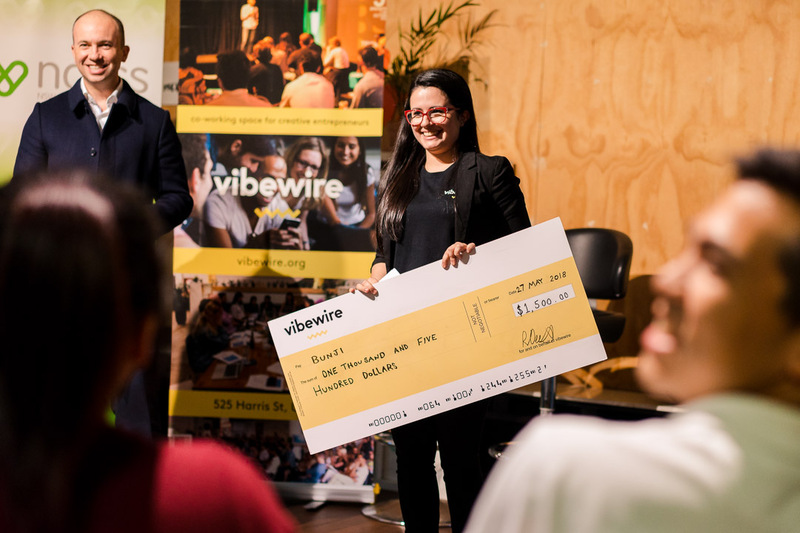 I’m really proud of everything we’ve achieved together. 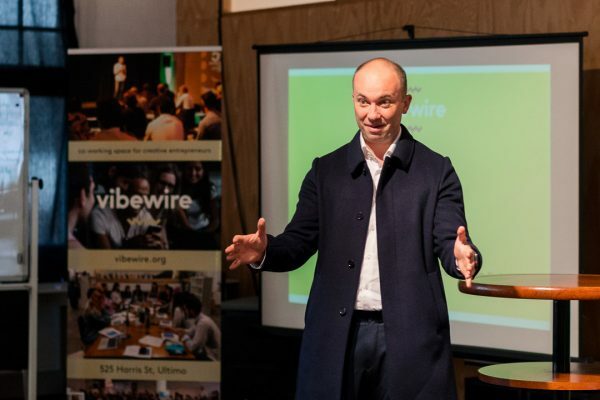 Now that Vibewire is thriving – I’ve decided to take on a new opportunity in the United States to scale a new business venture and will be relocating to the west coast. 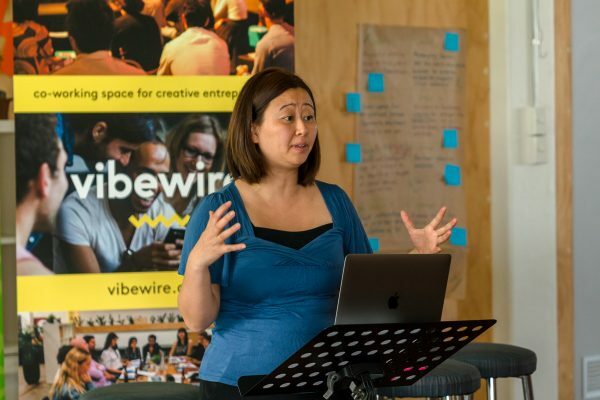 My last day at Vibewire will be 1 December 2017. 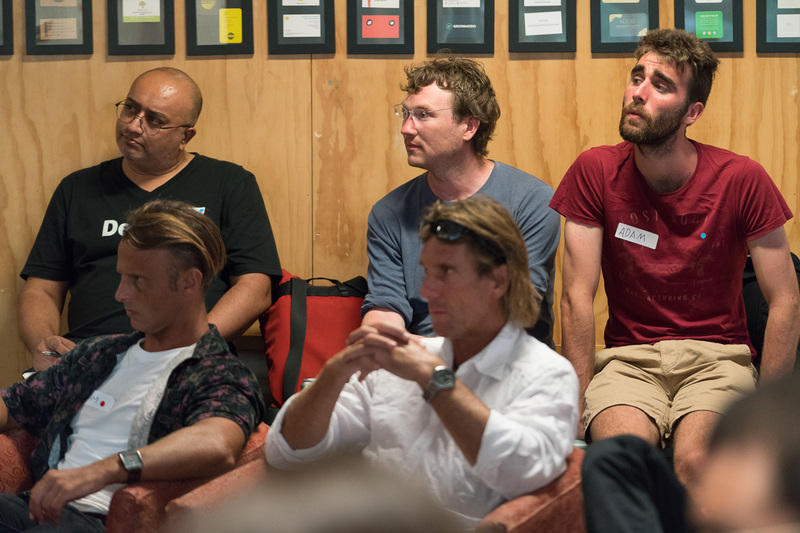 The Board will update on the new leadership team early 2018. 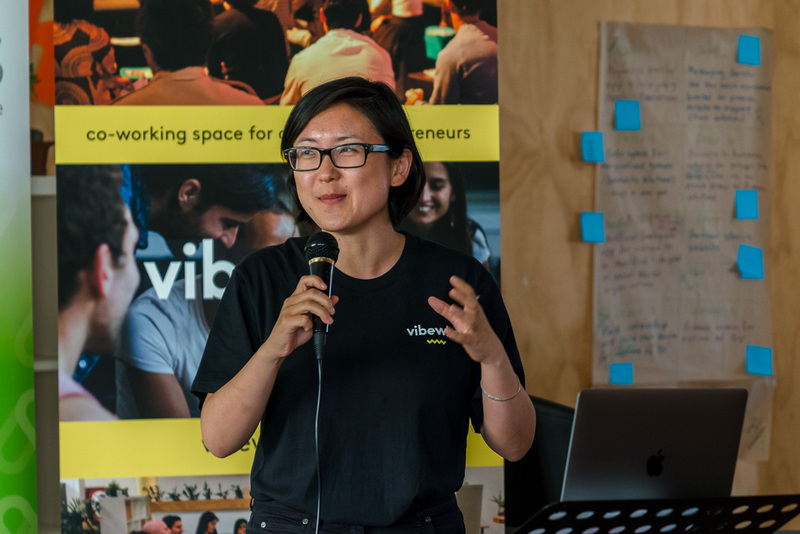 Though I’m sad to leave, I’m looking forward to see what’s in store for Vibewire and the Australian change maker community in 2018. 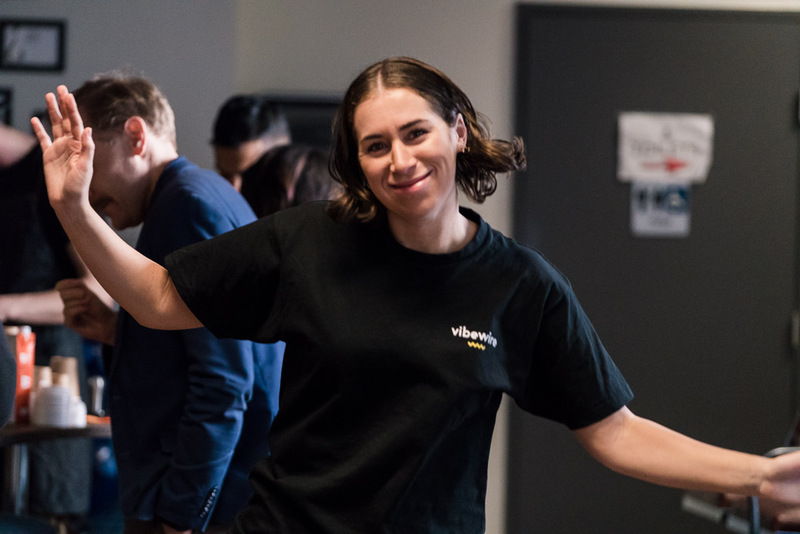 It’s an exciting time to be alive so remember to be brave, try new things and make sure your choices reflect your hopes and not your fears! 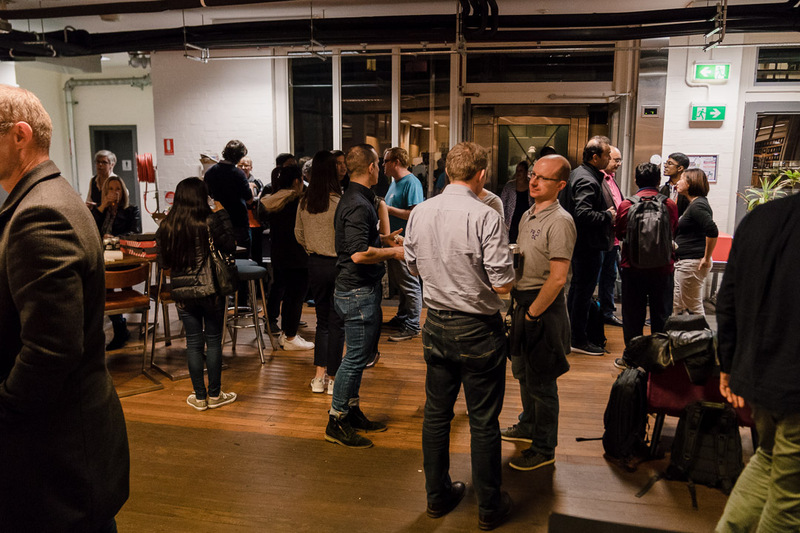 Hope to see you at our Christmas Party on 14 Dec!